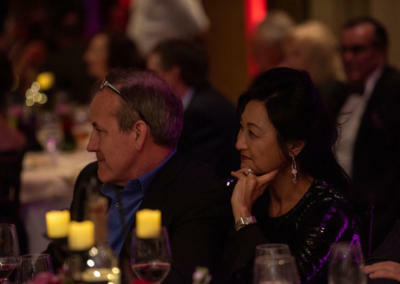 Thanks to everyone who joined us for this spectacular evening to experience fine wine and gourmet dining on March 10, 2019. 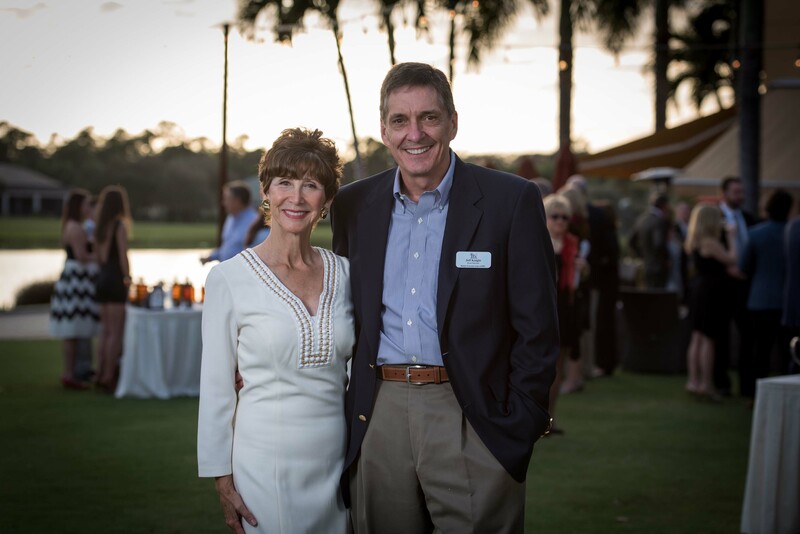 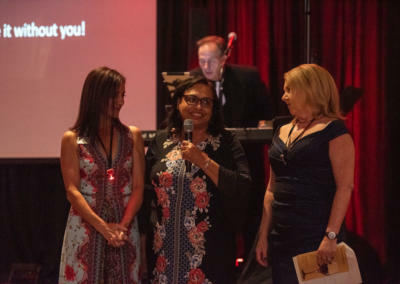 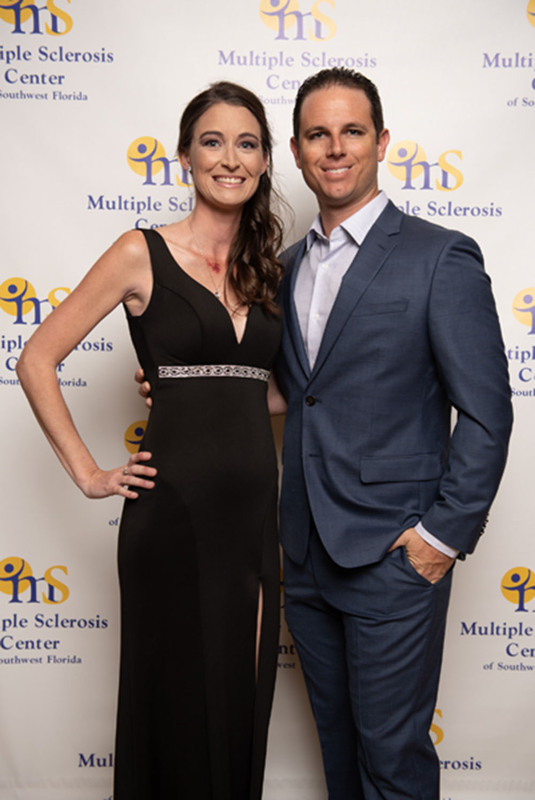 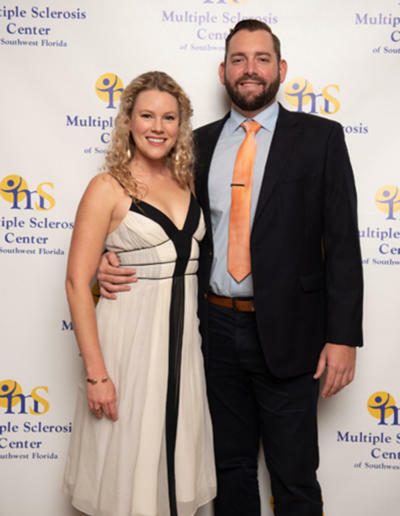 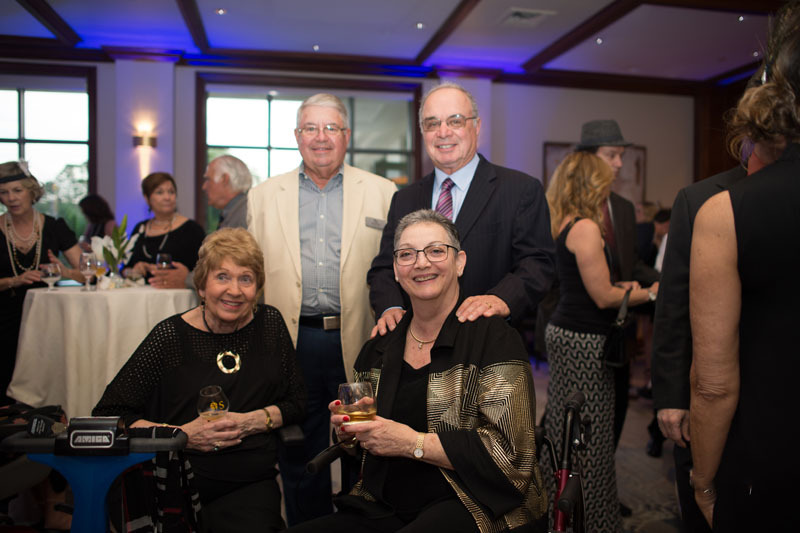 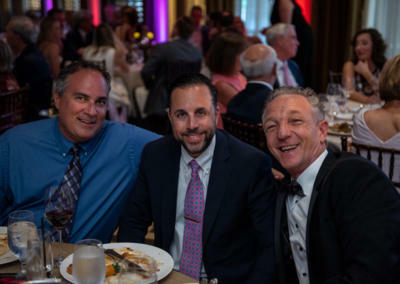 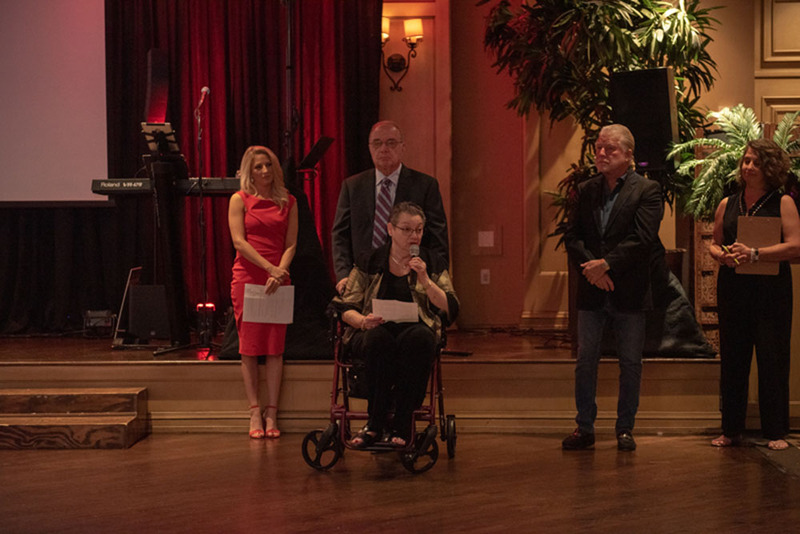 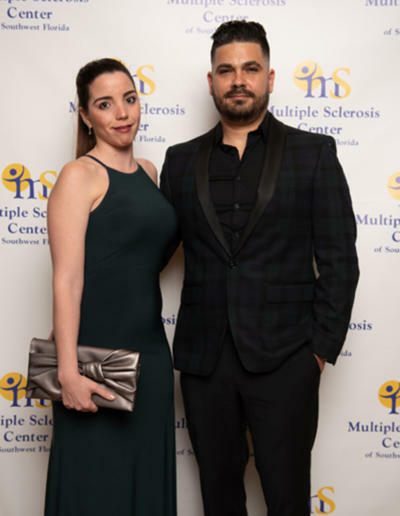 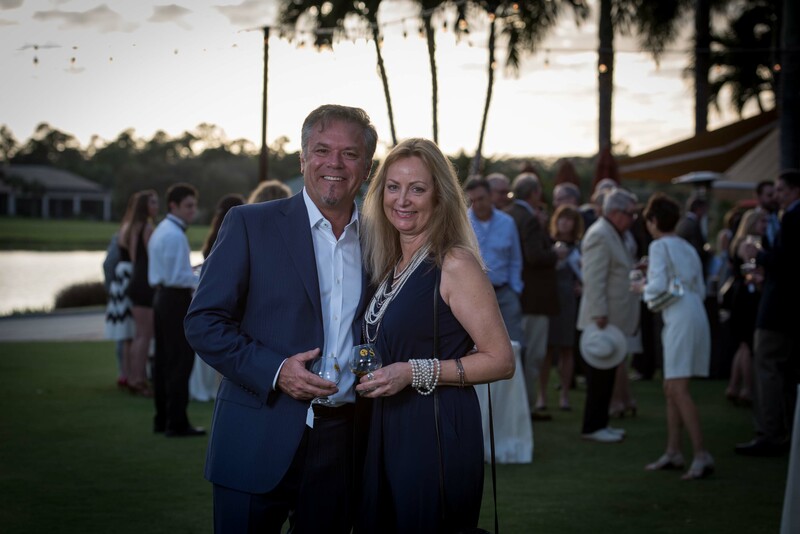 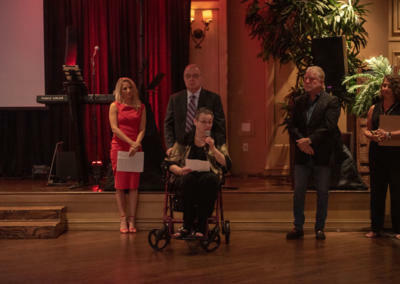 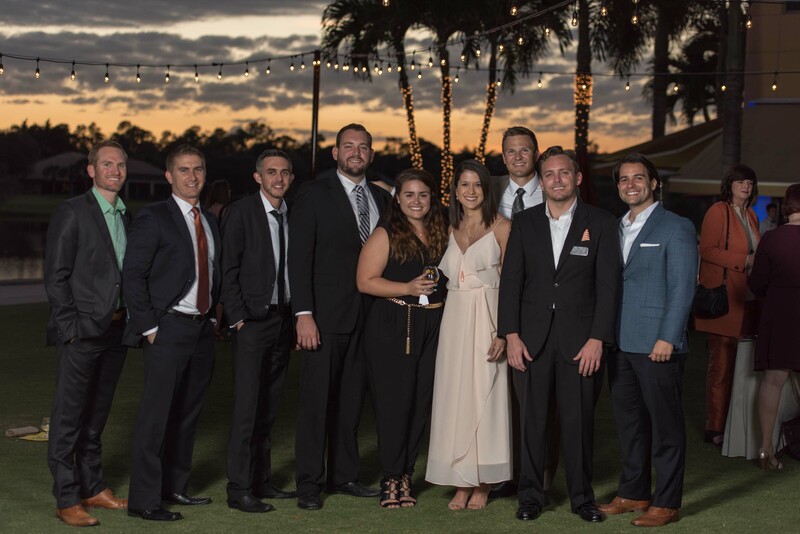 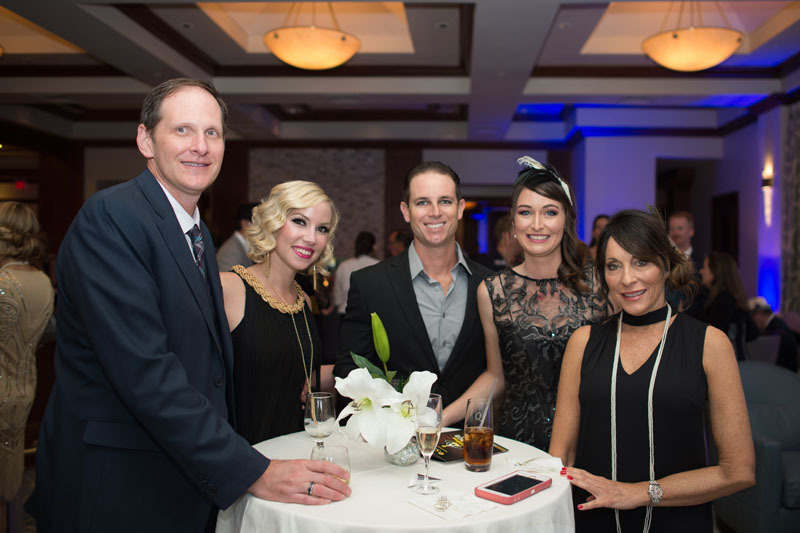 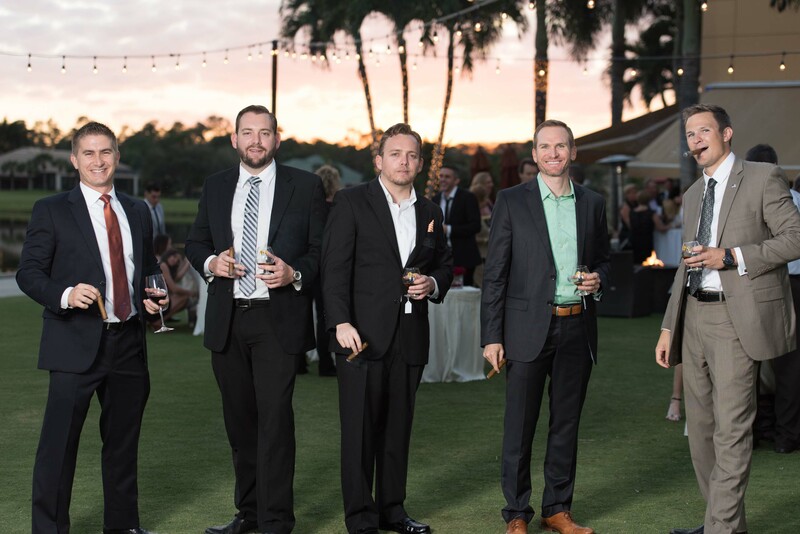 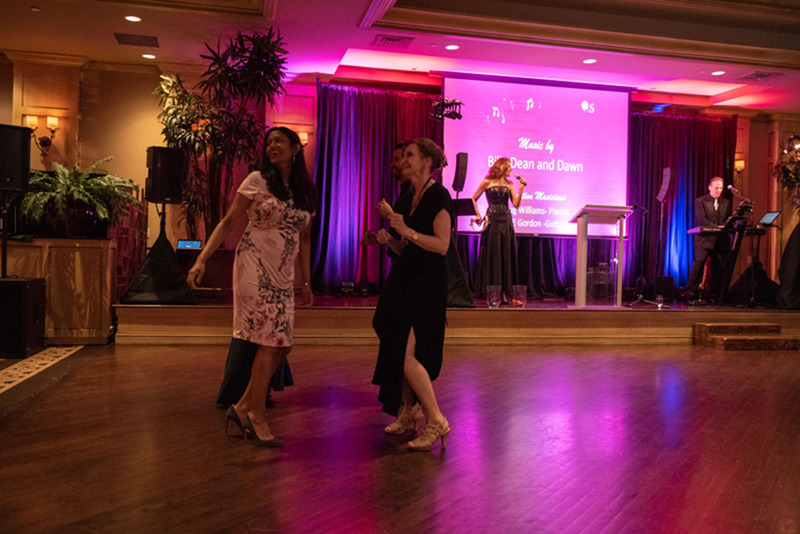 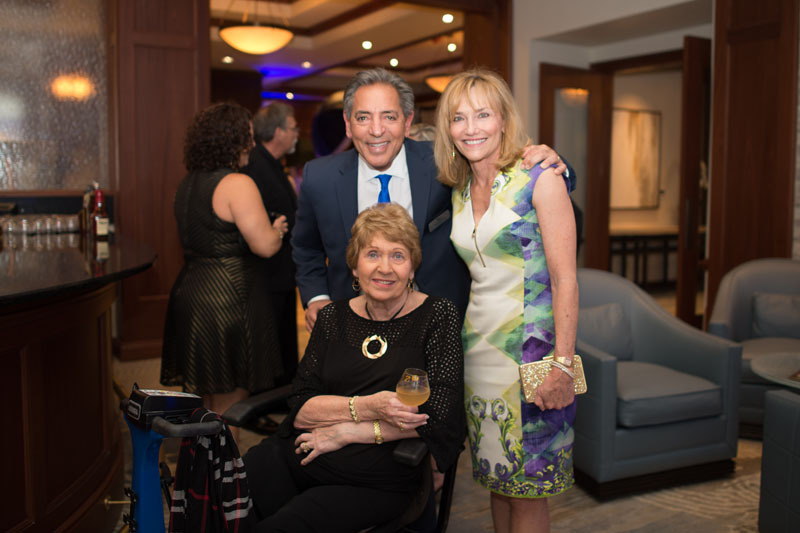 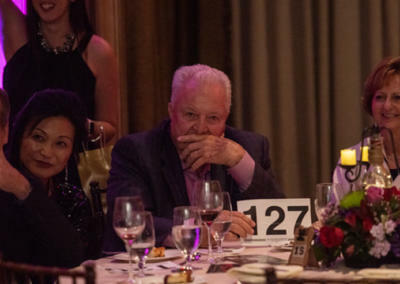 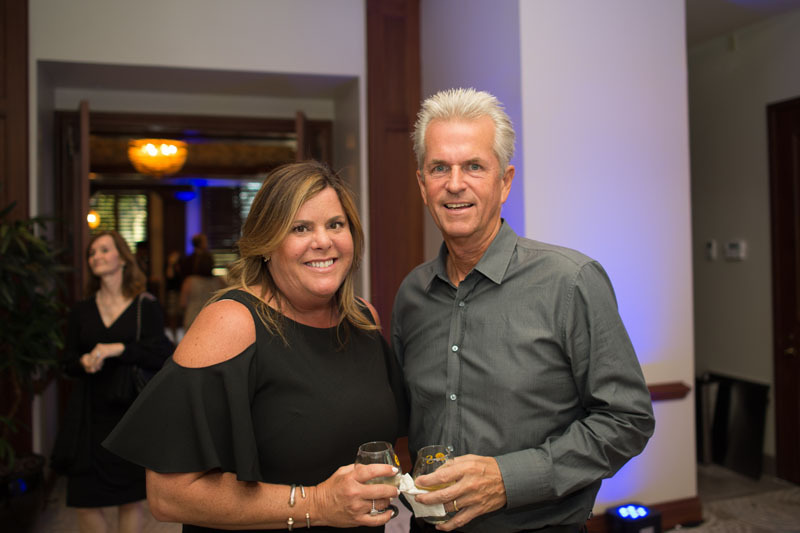 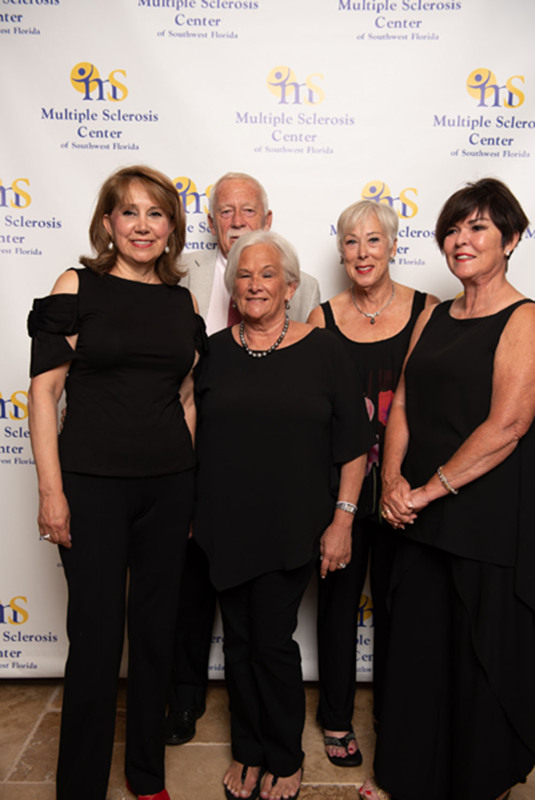 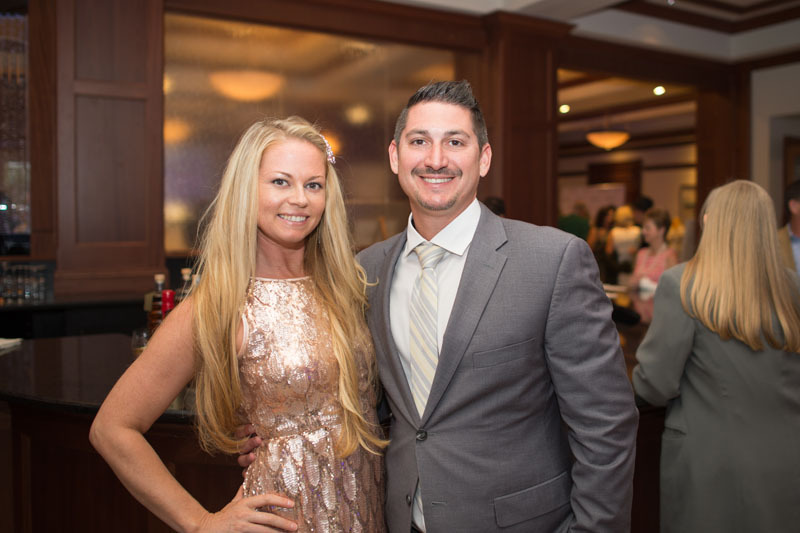 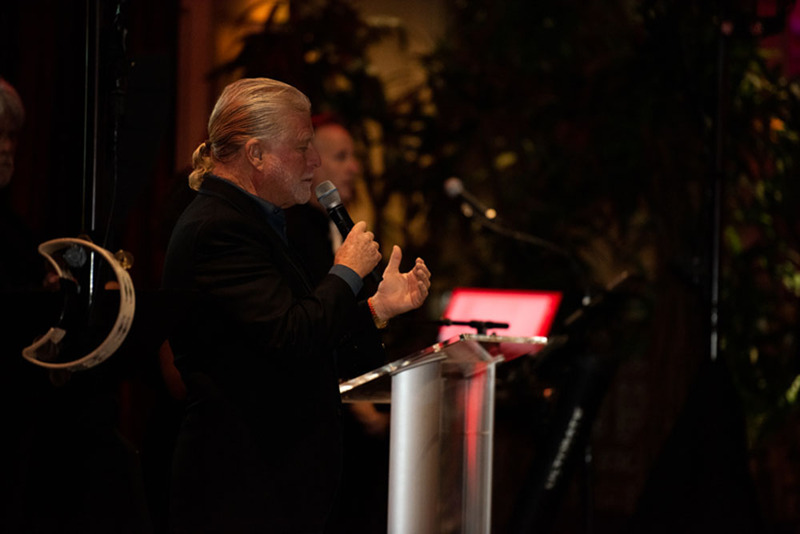 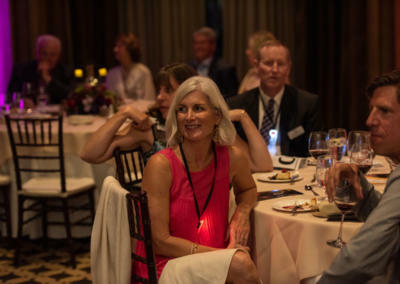 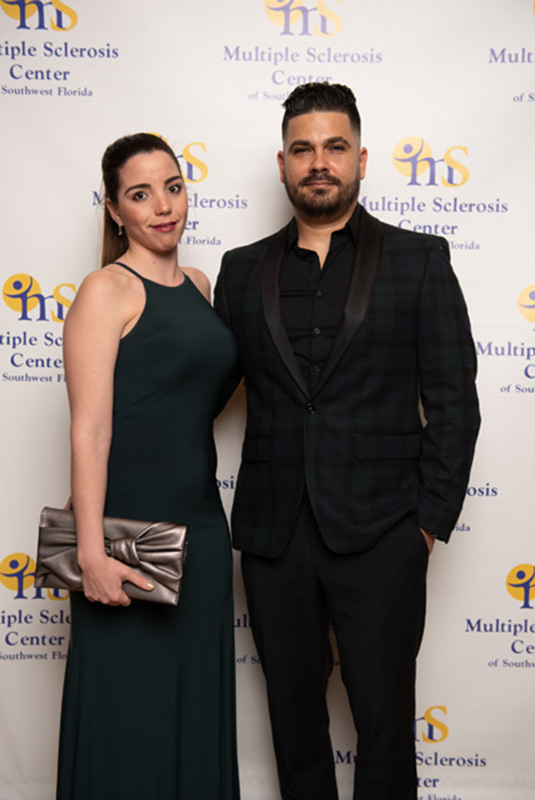 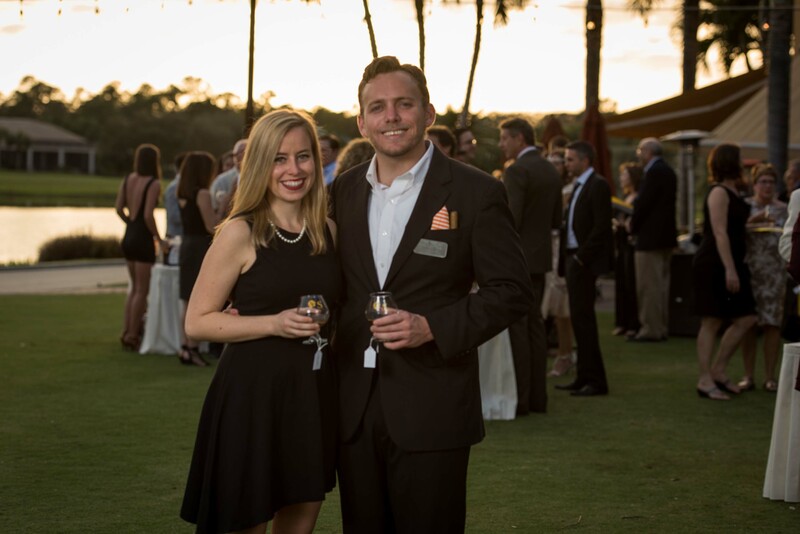 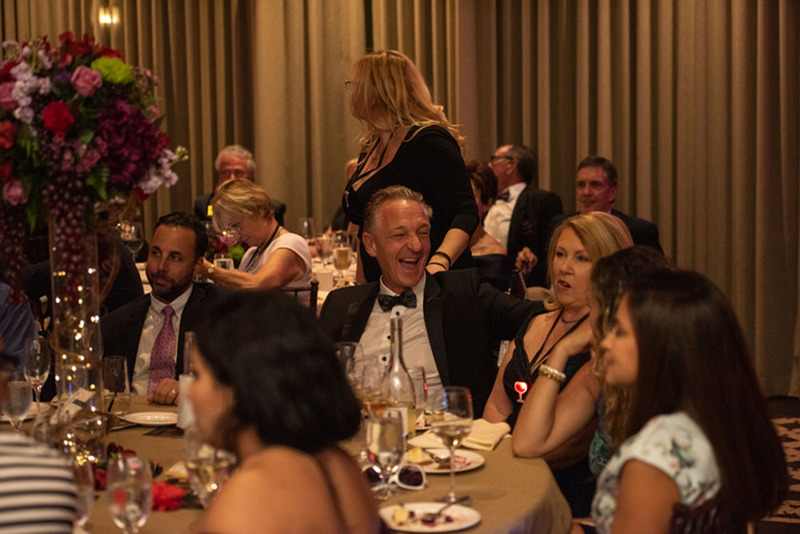 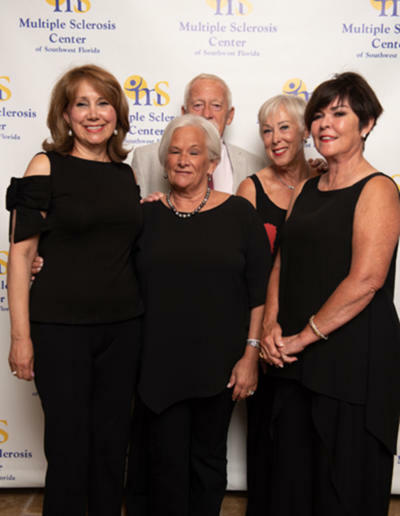 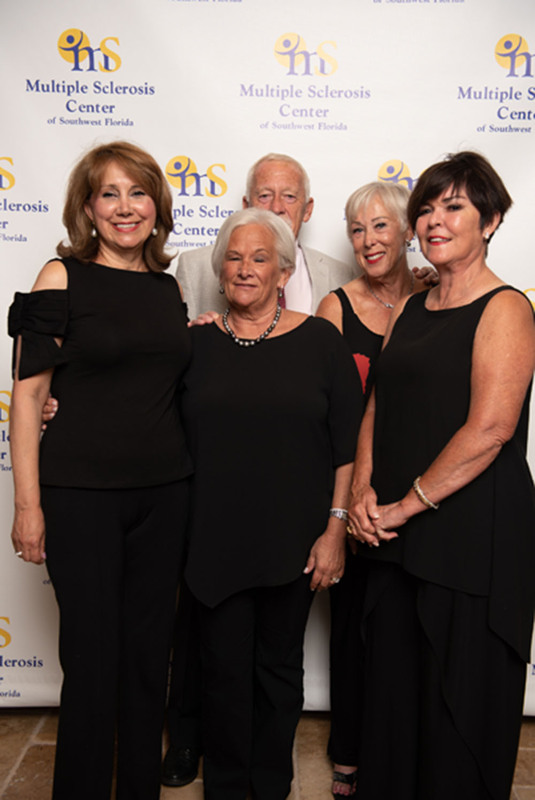 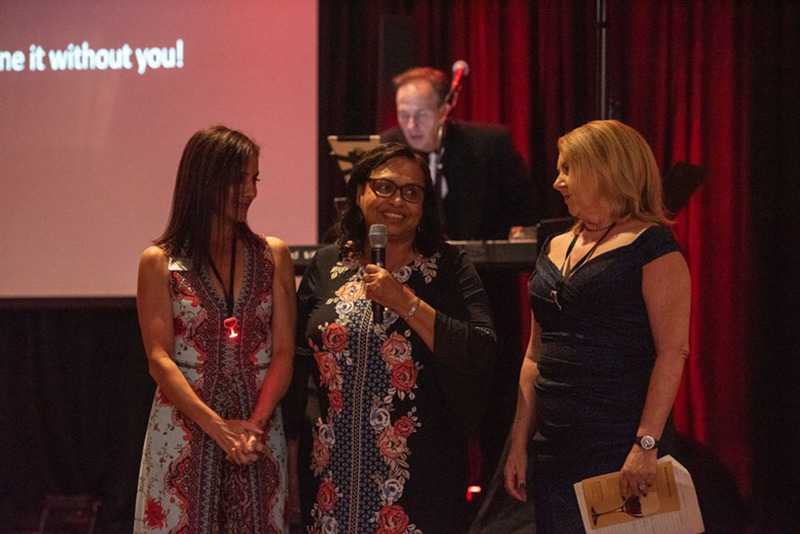 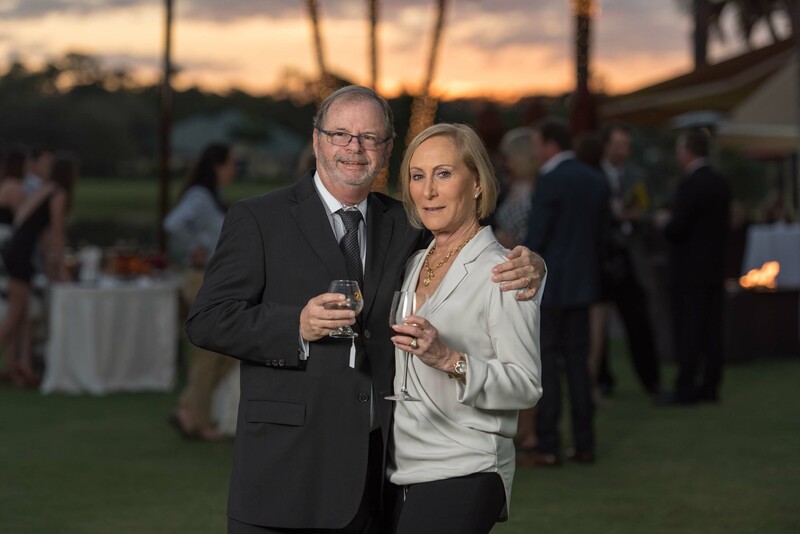 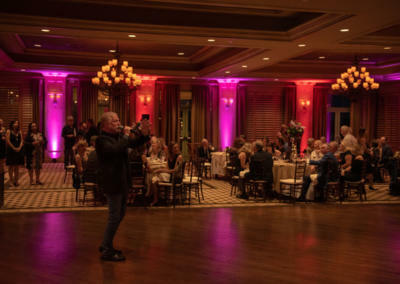 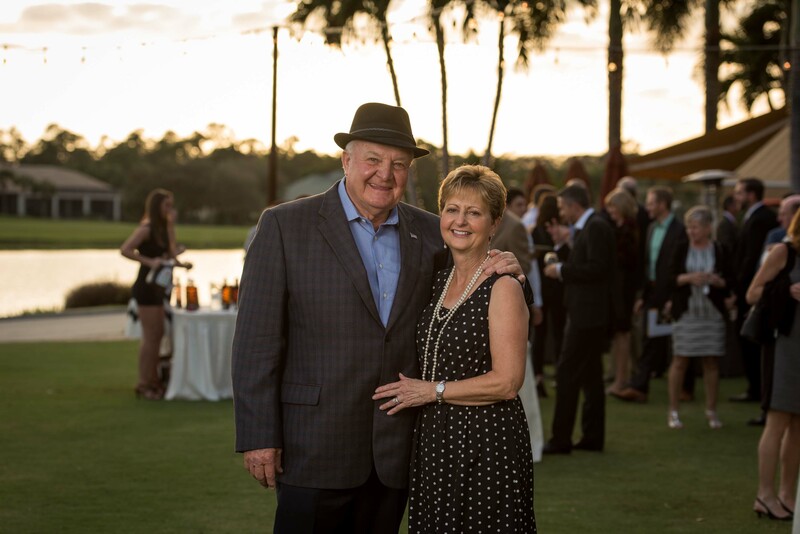 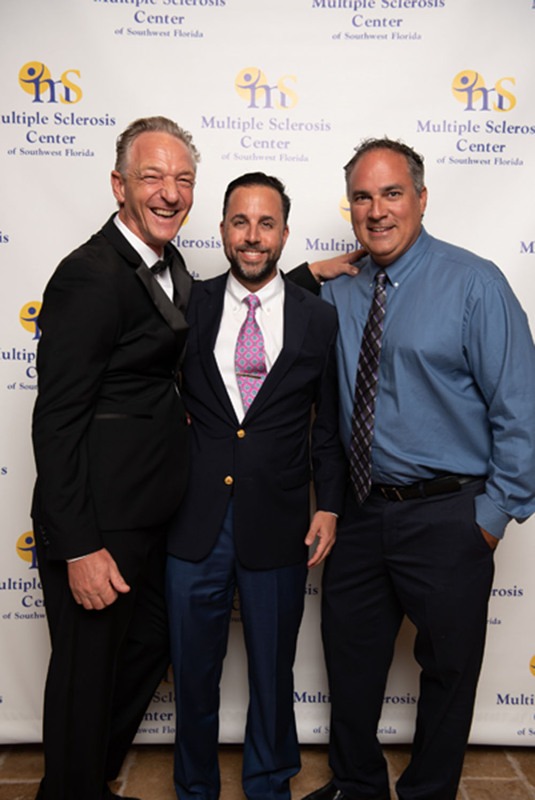 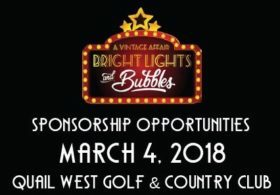 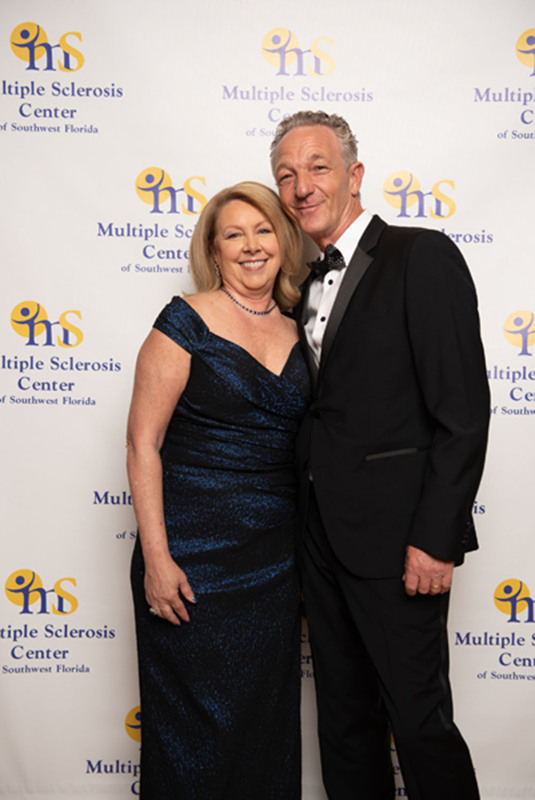 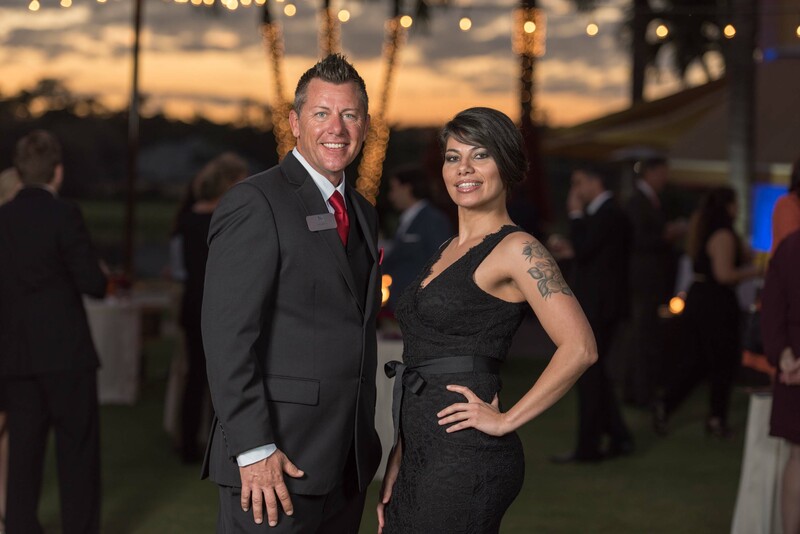 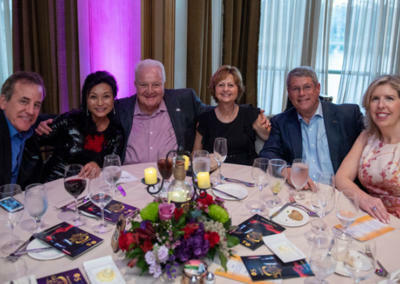 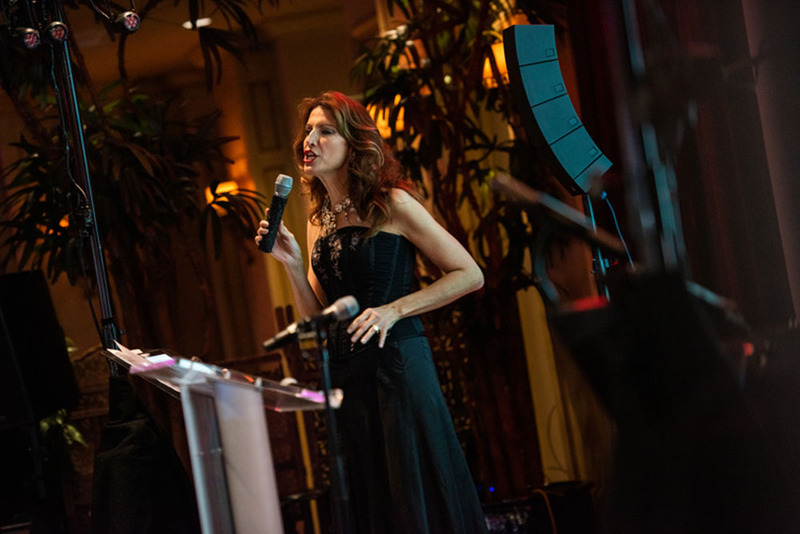 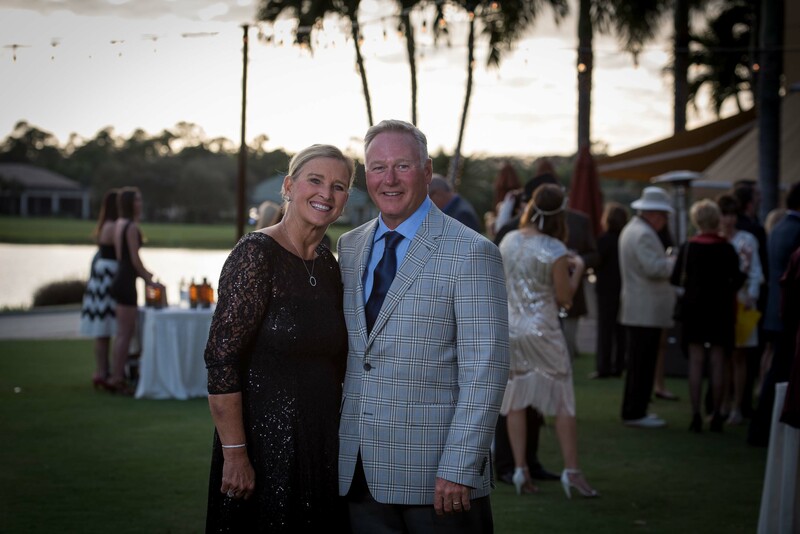 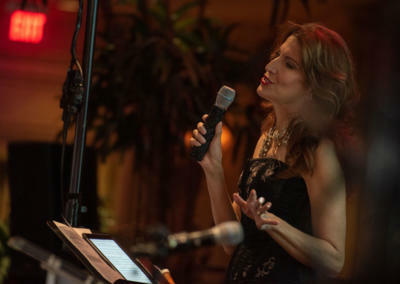 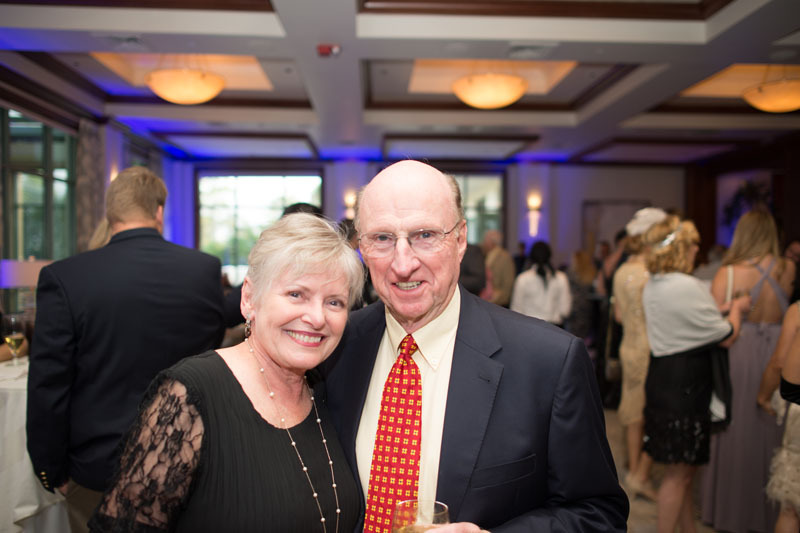 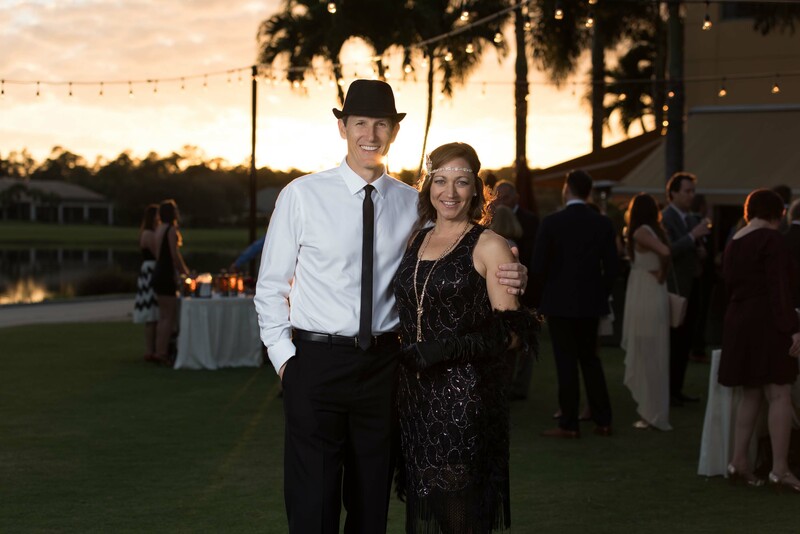 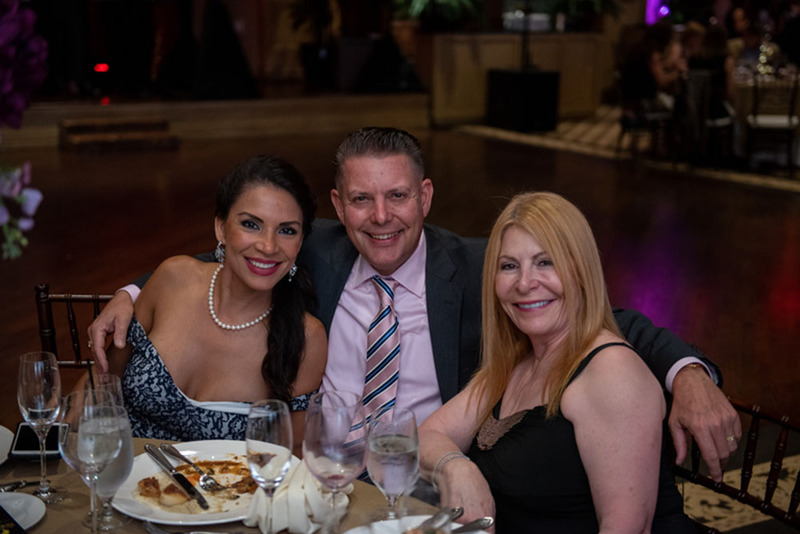 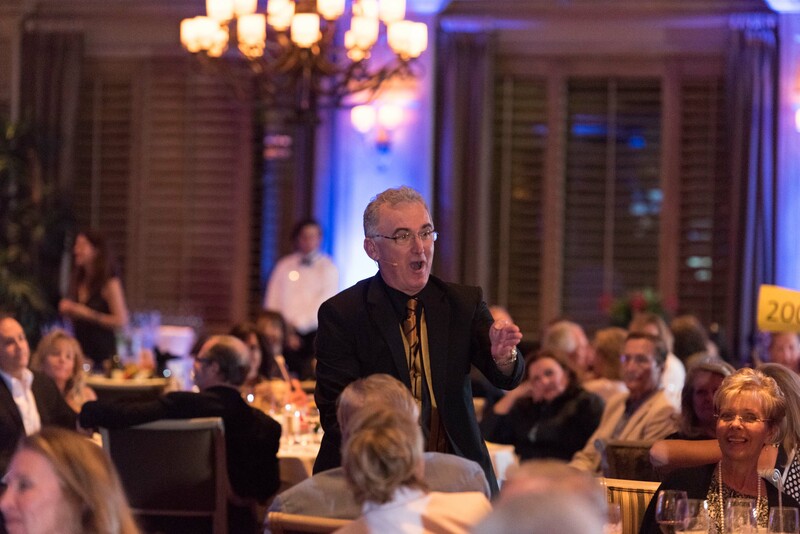 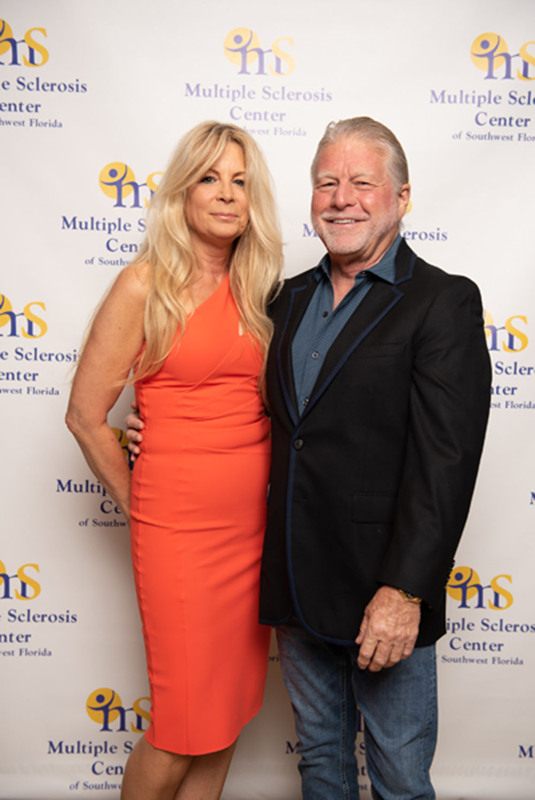 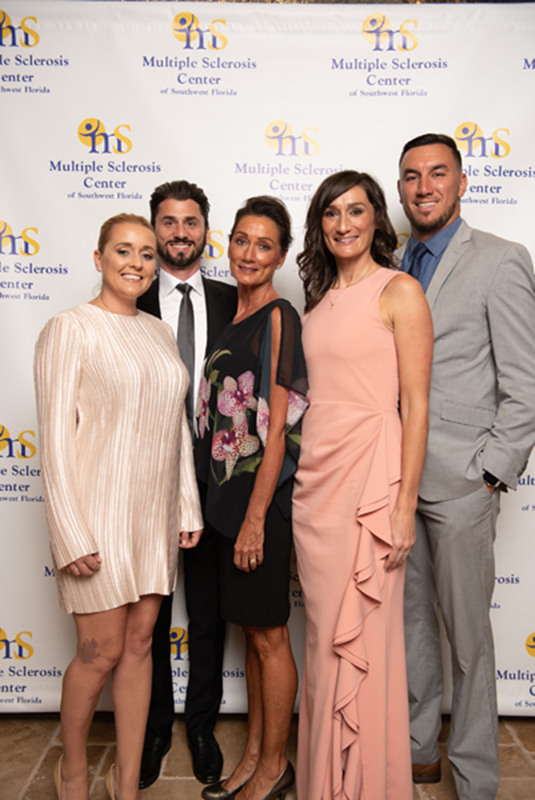 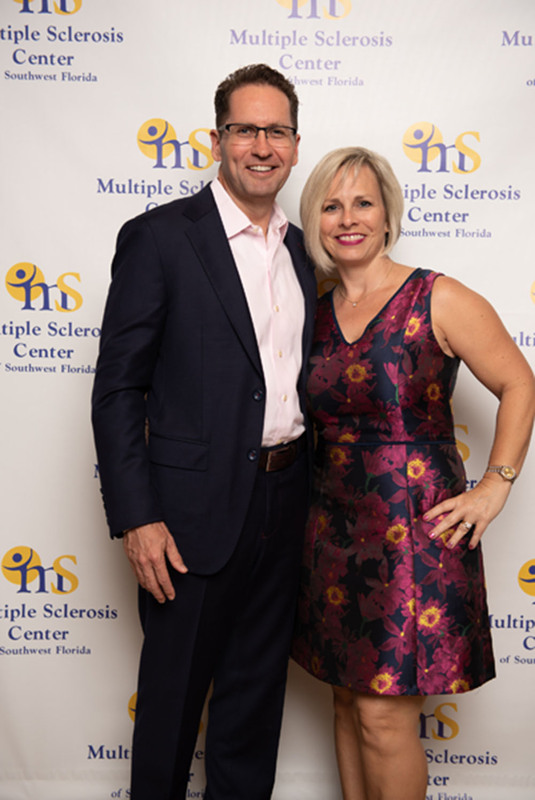 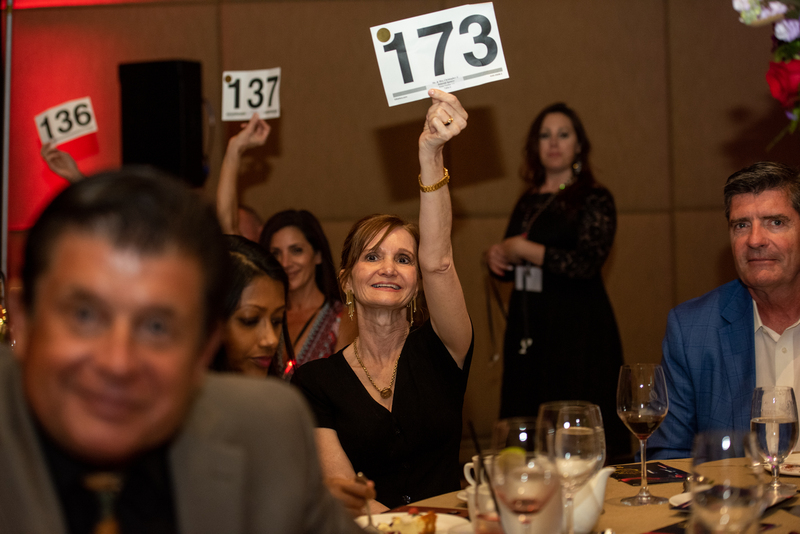 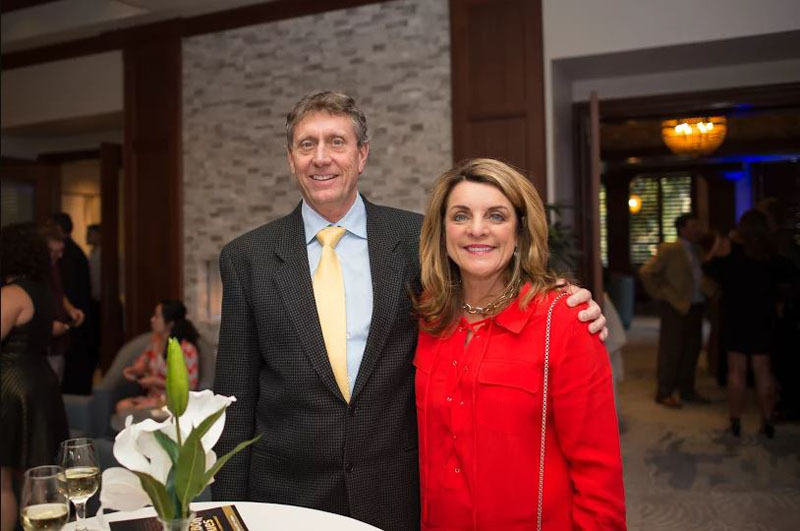 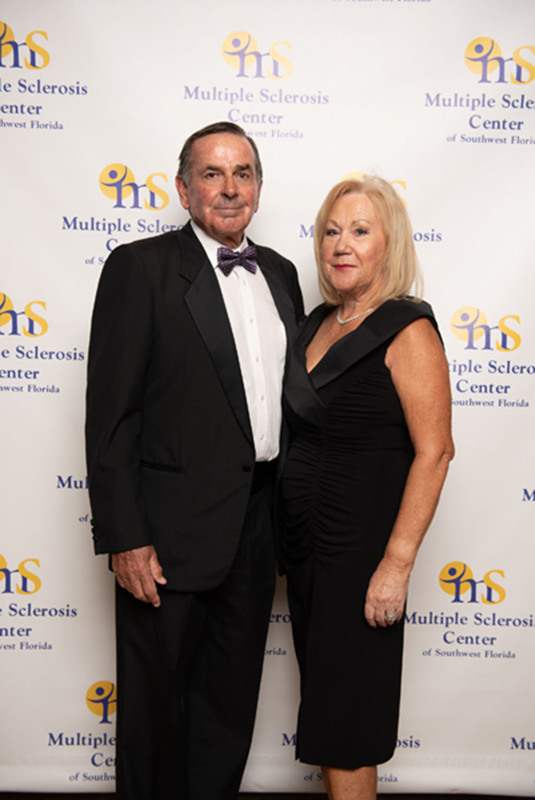 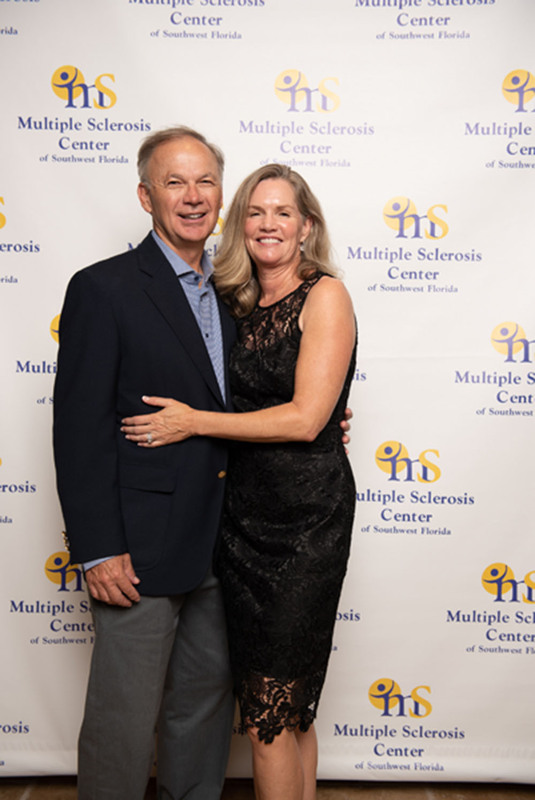 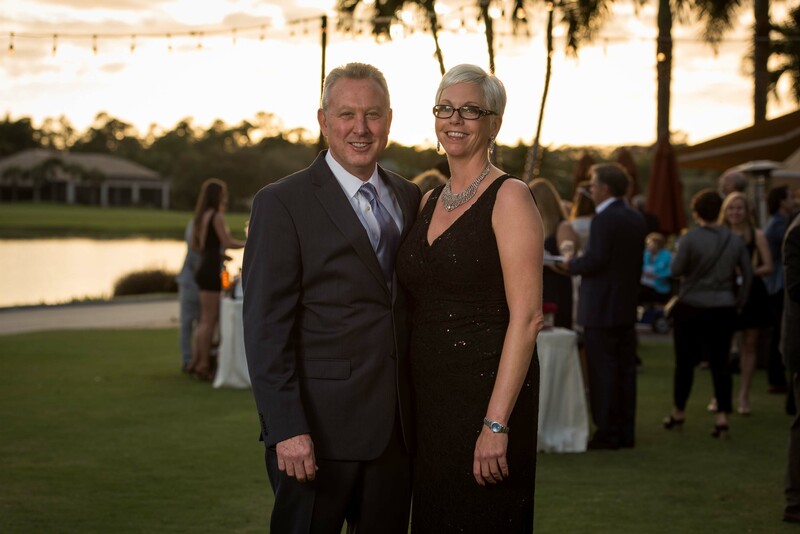 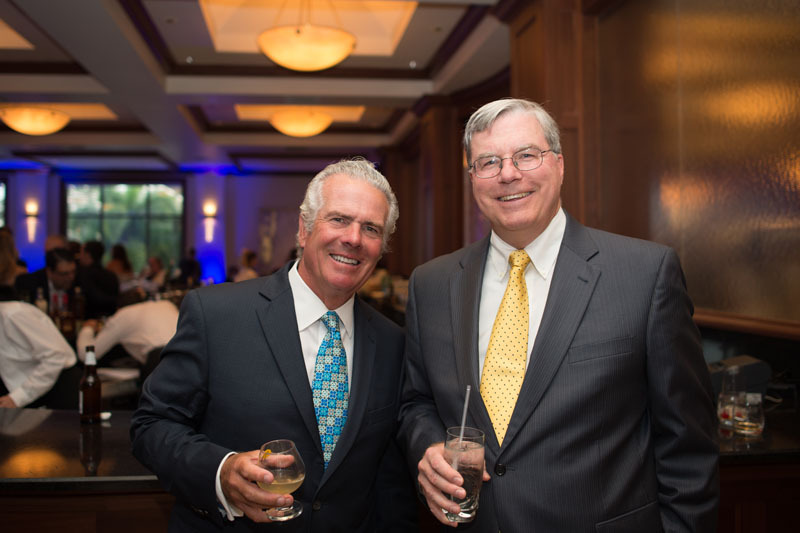 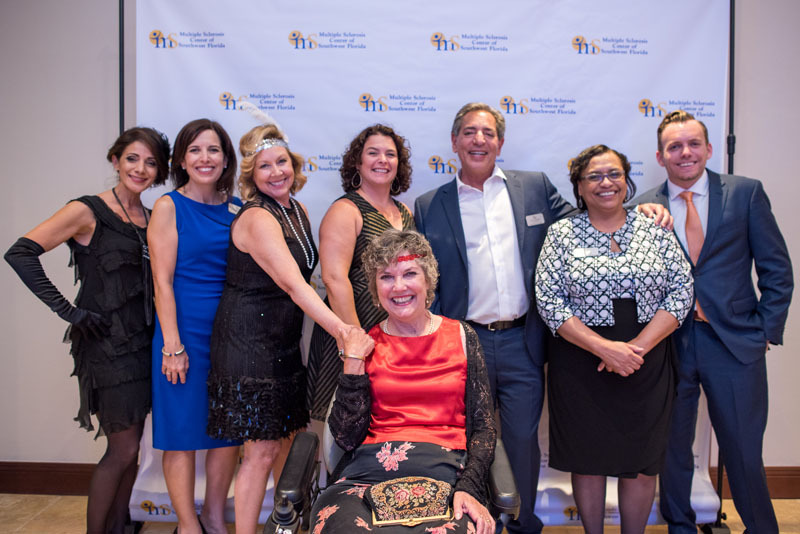 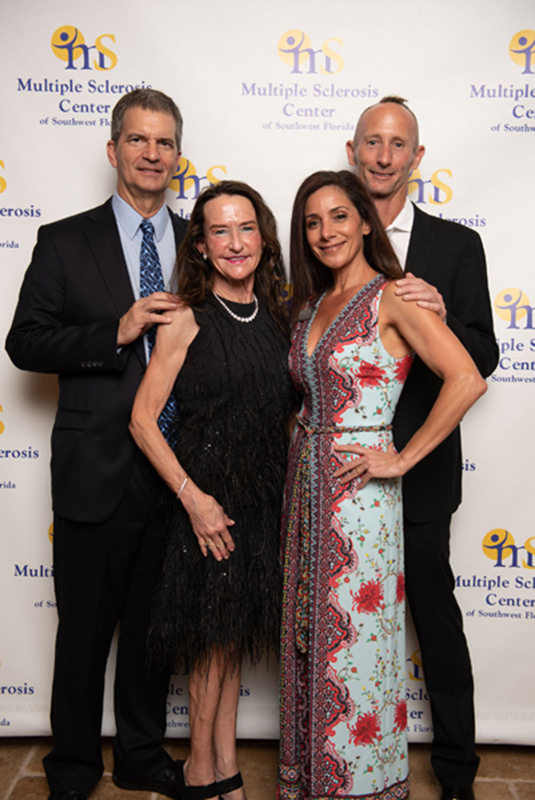 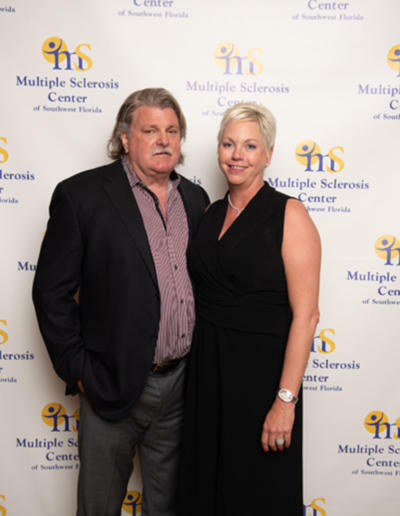 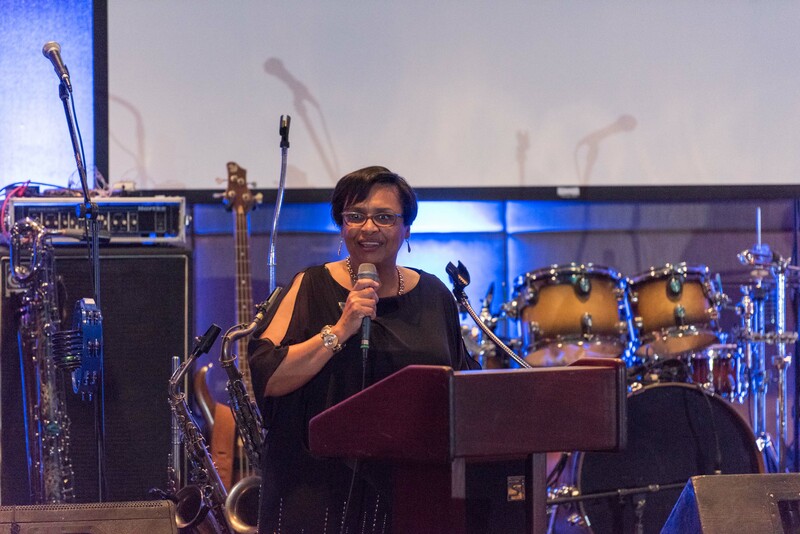 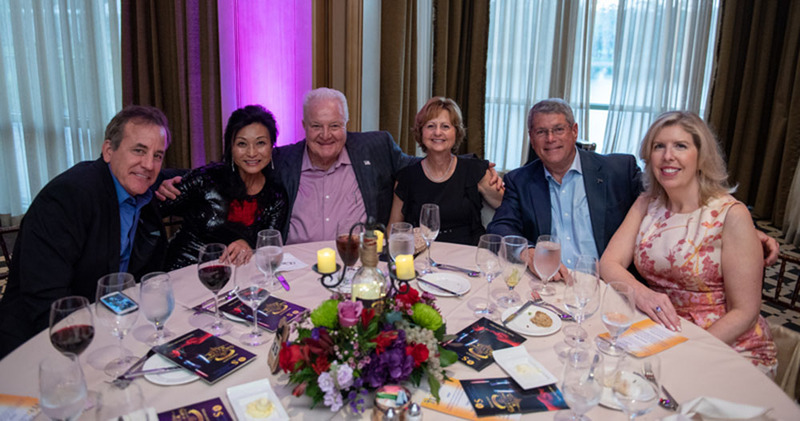 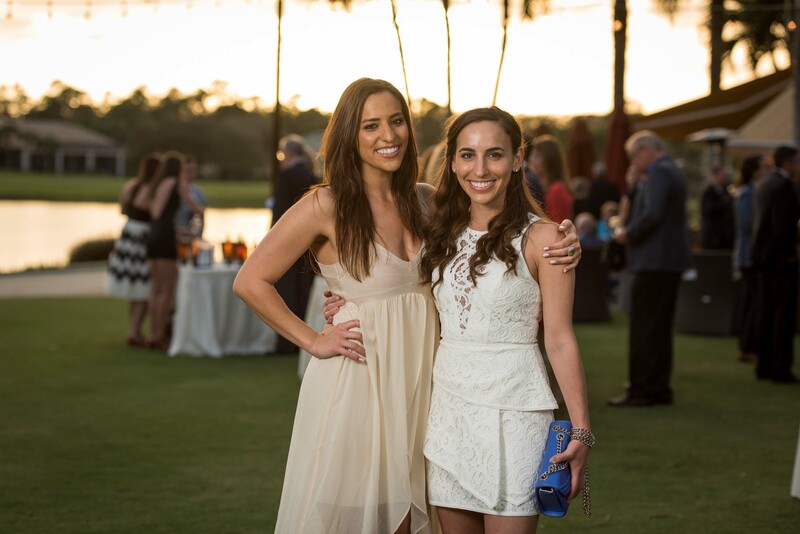 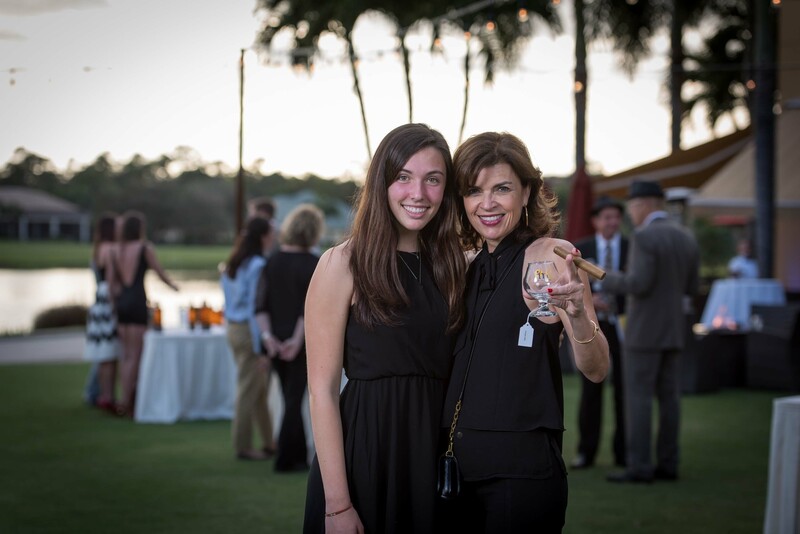 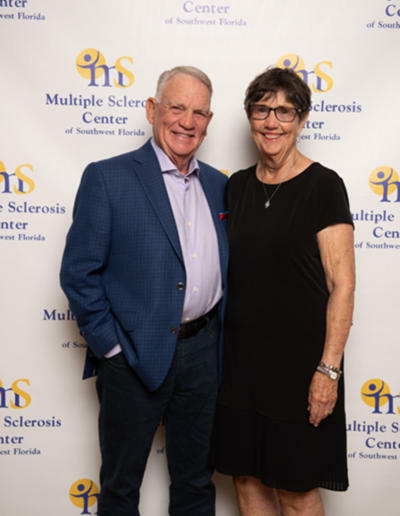 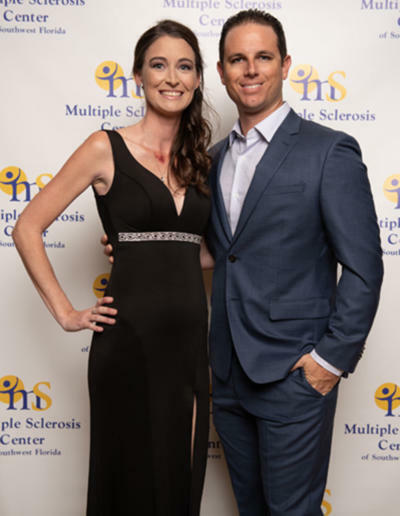 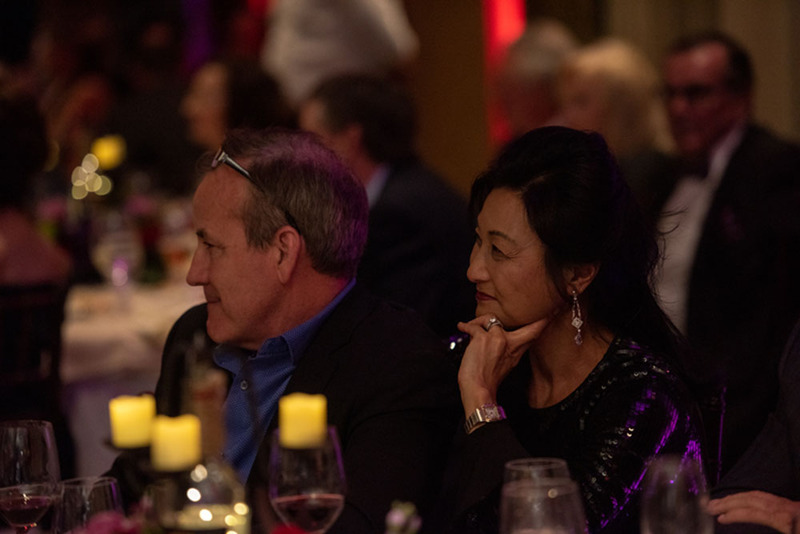 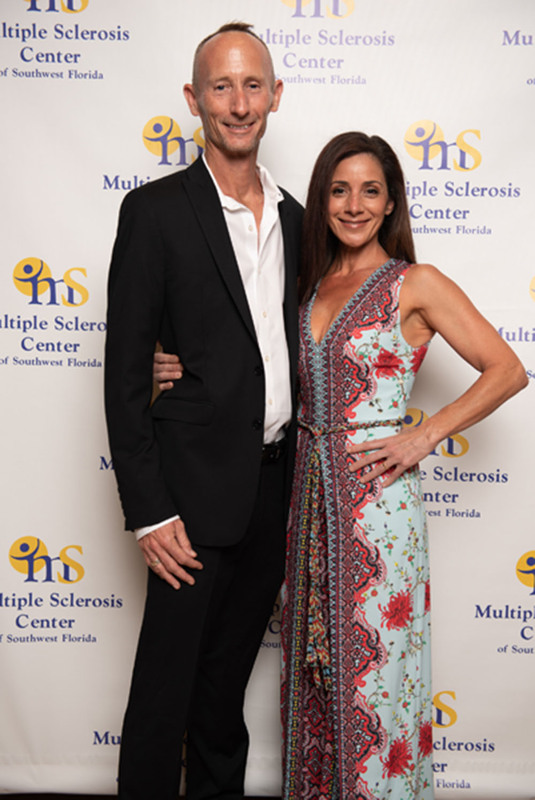 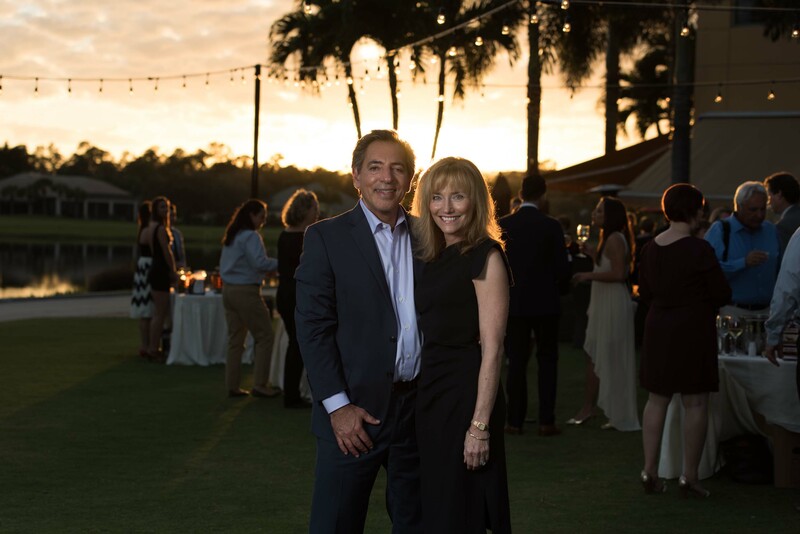 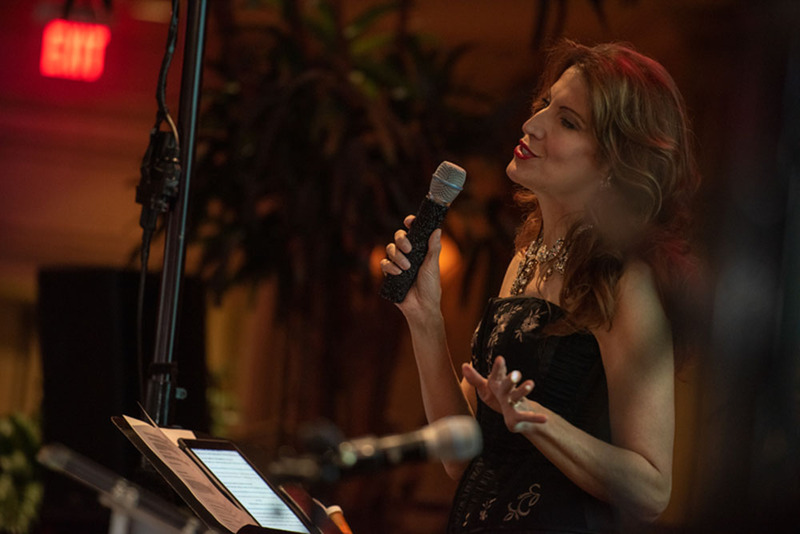 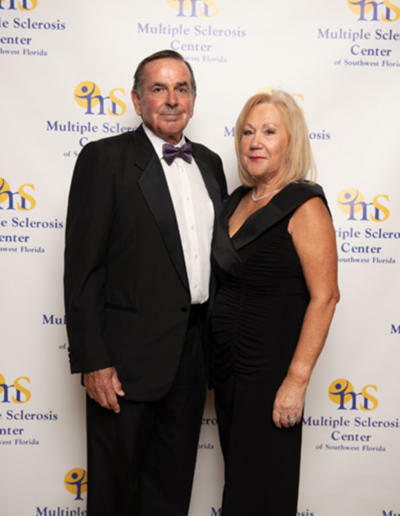 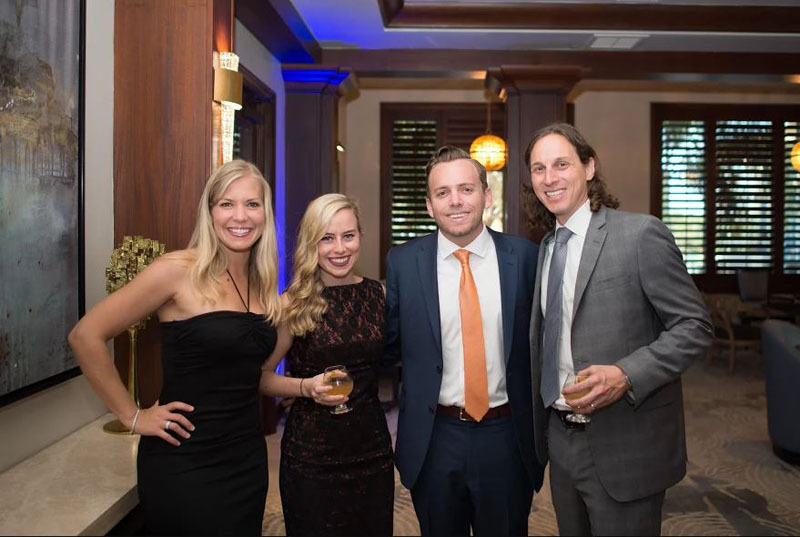 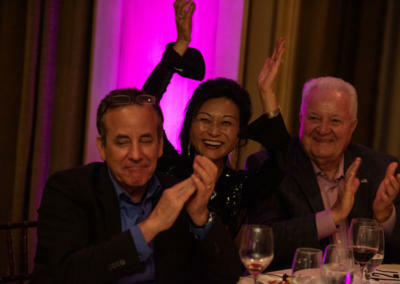 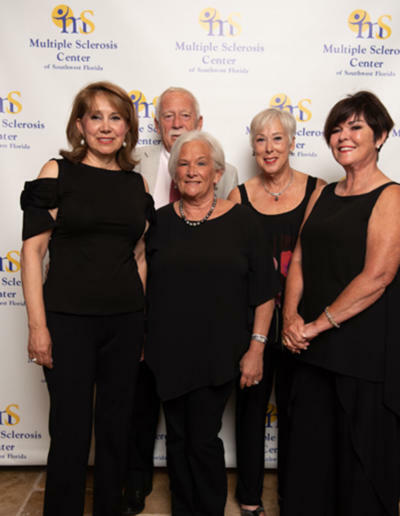 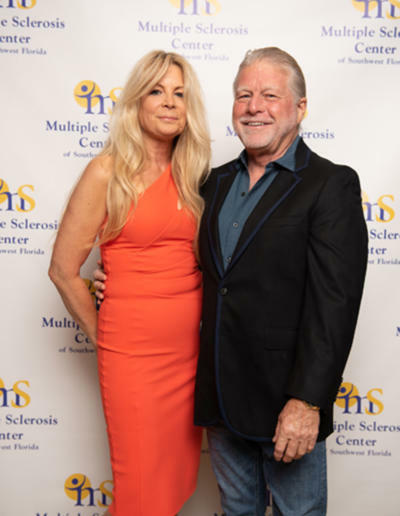 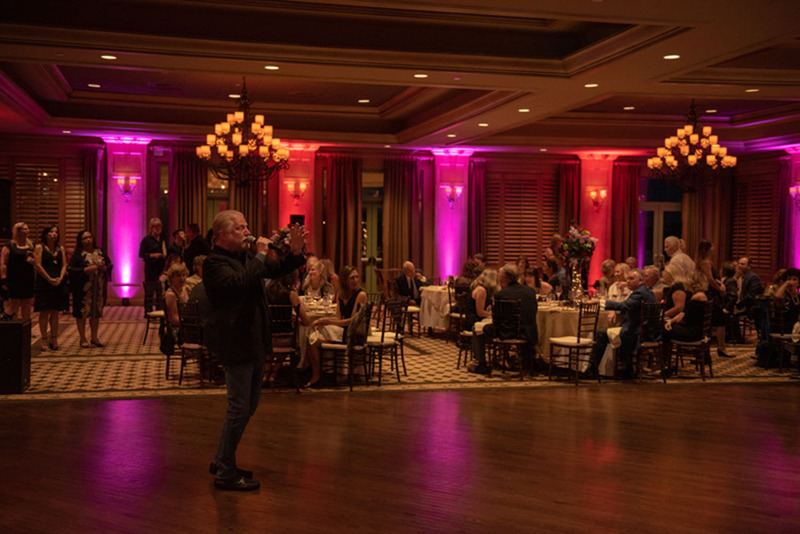 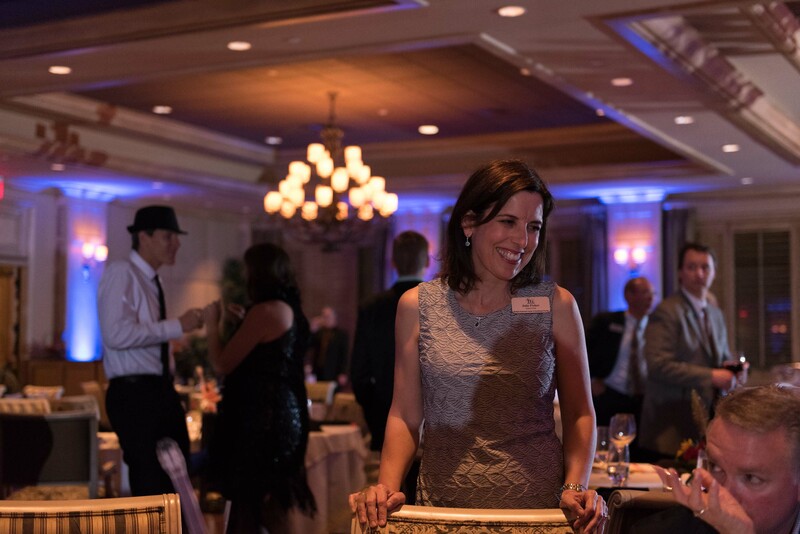 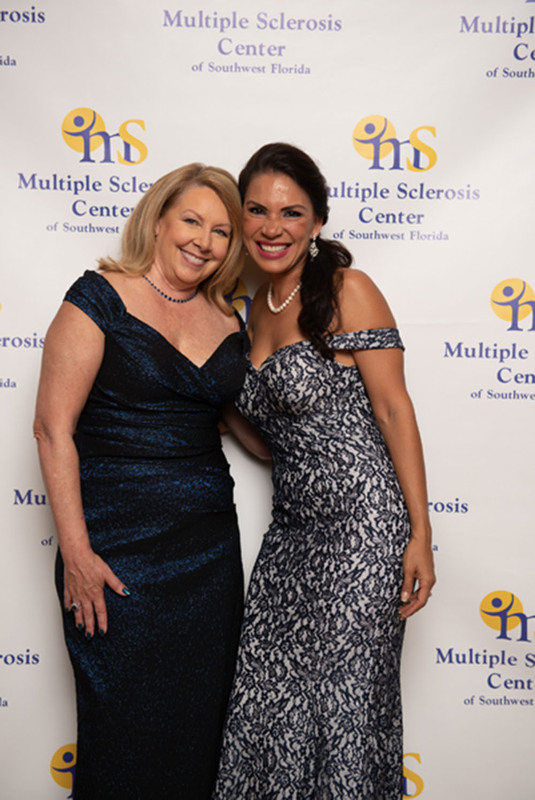 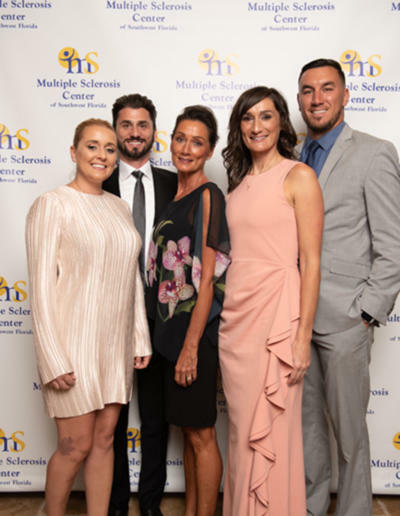 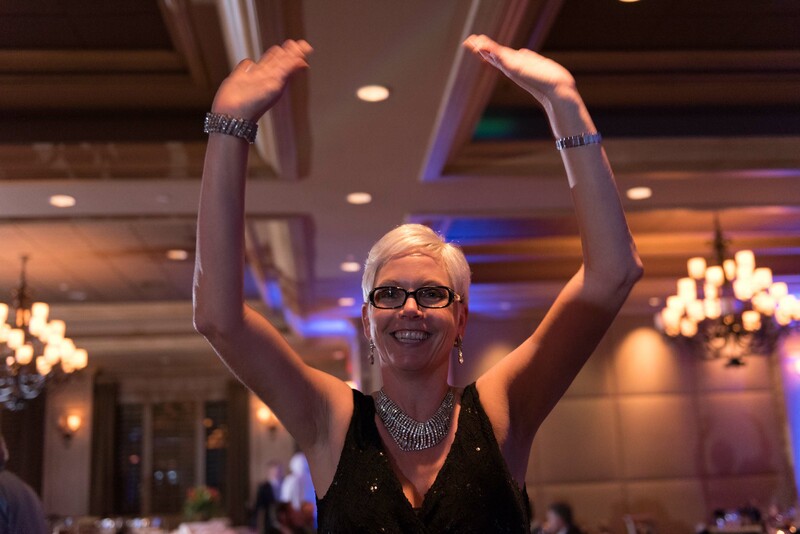 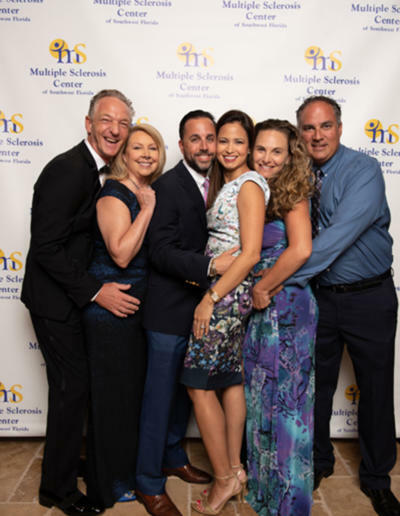 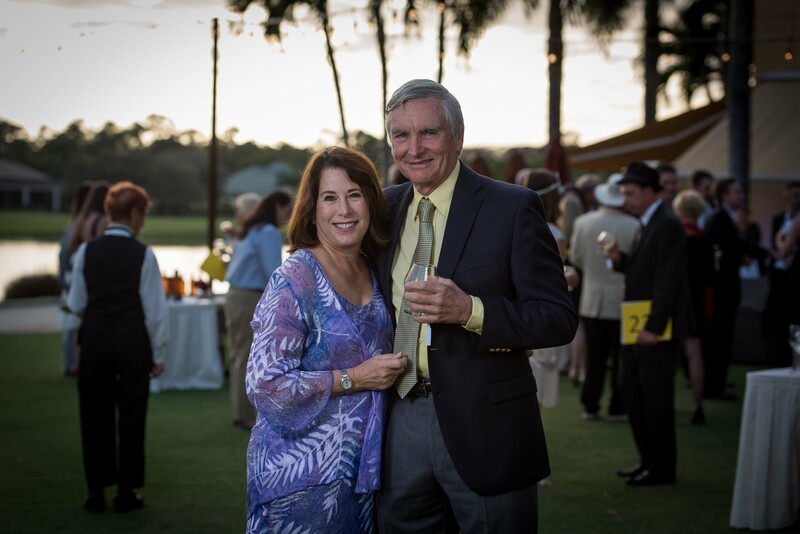 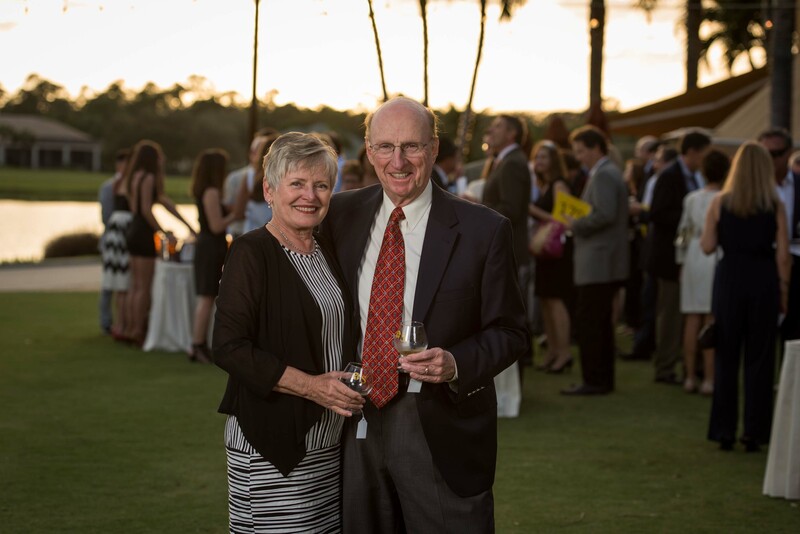 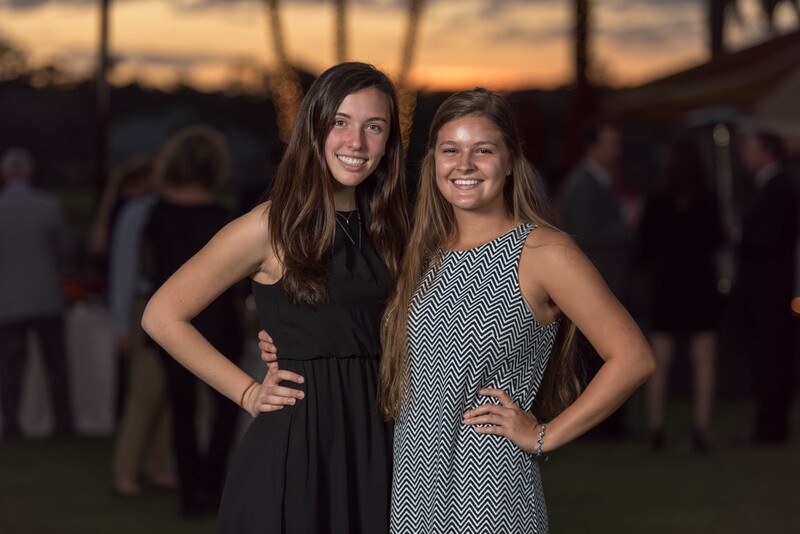 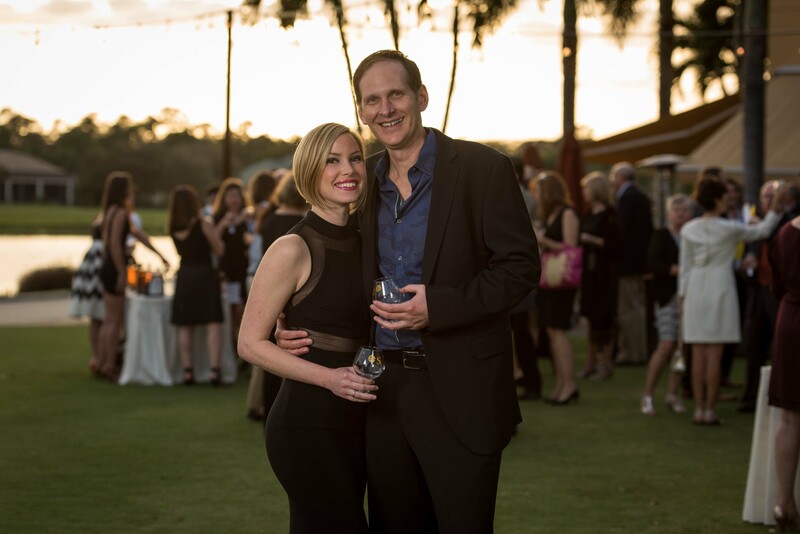 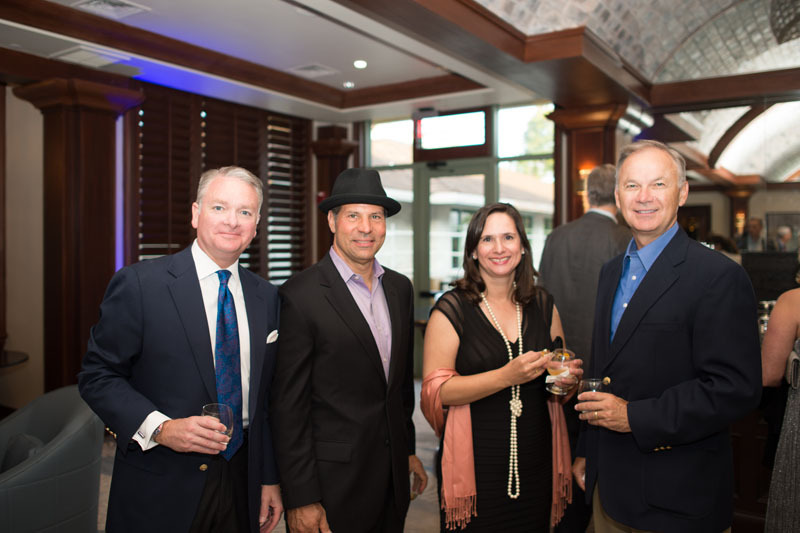 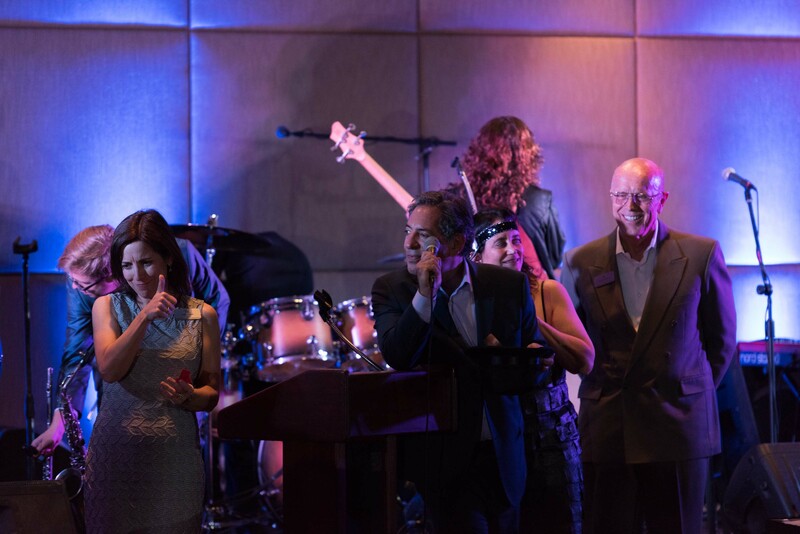 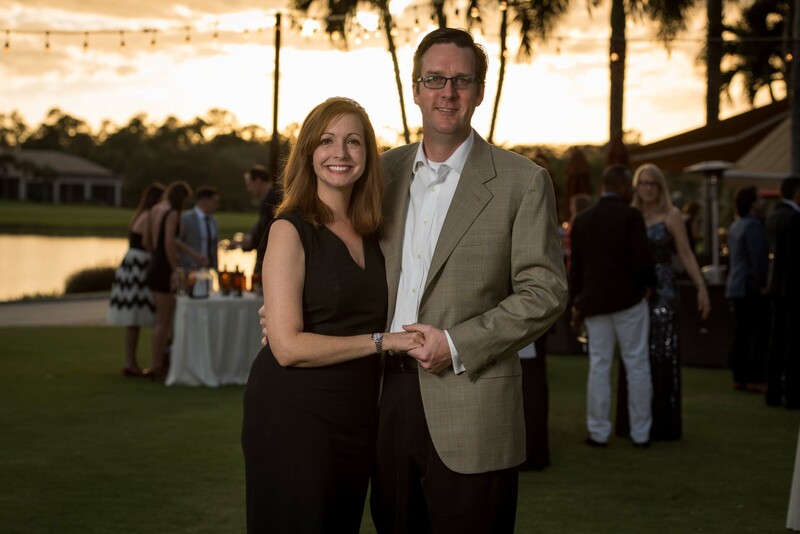 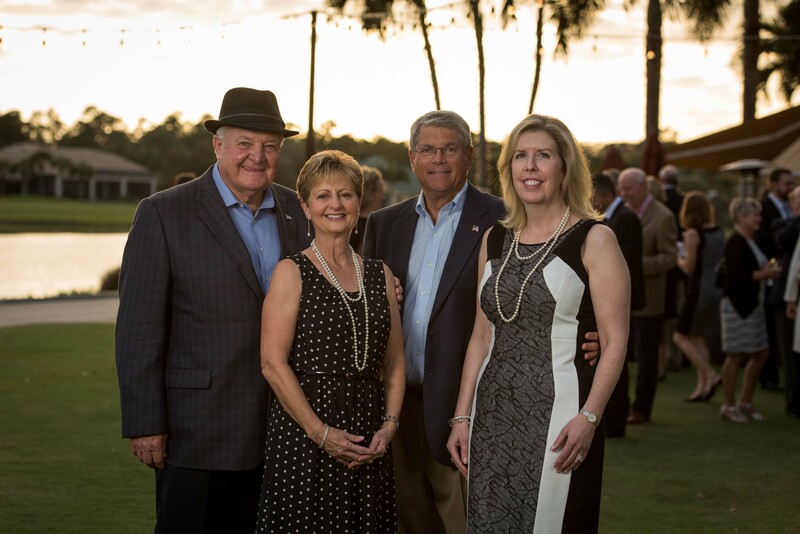 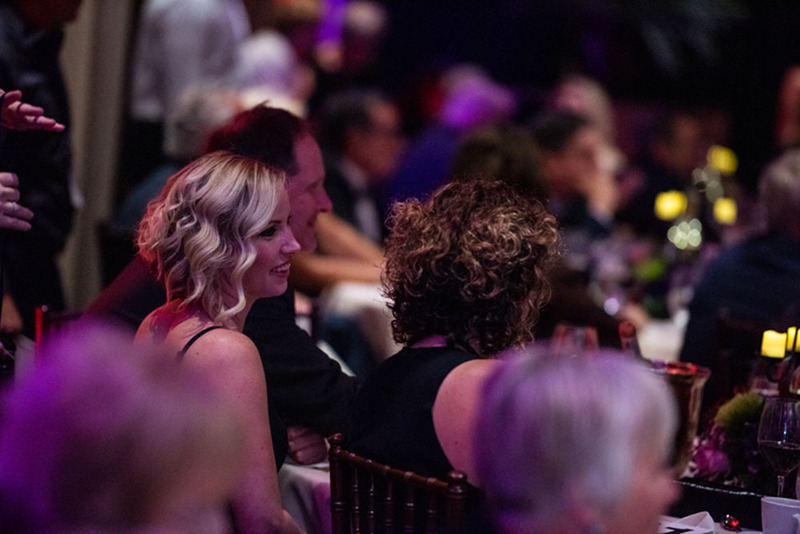 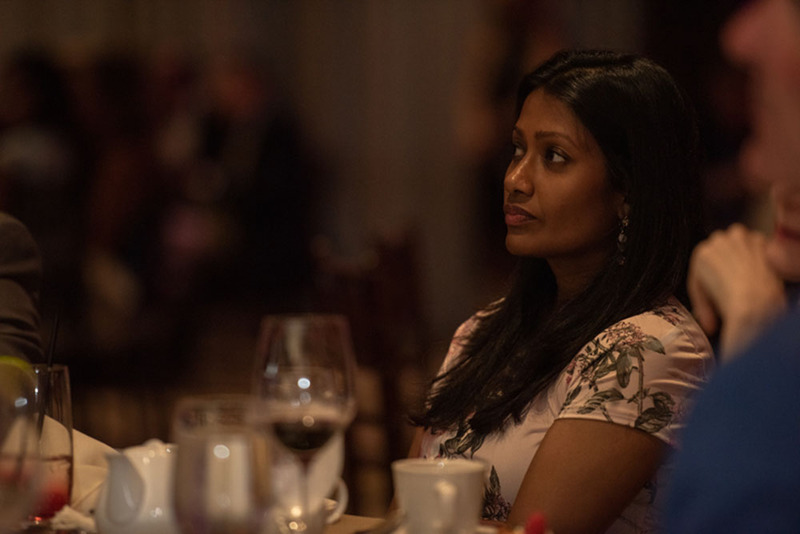 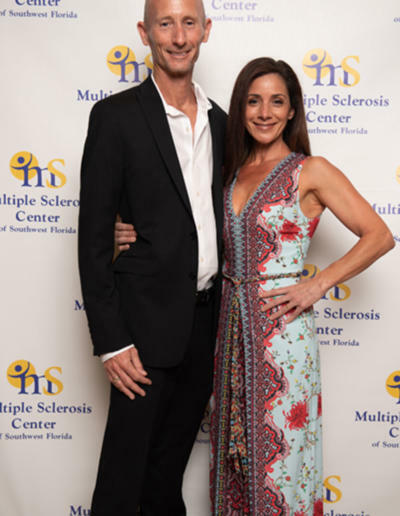 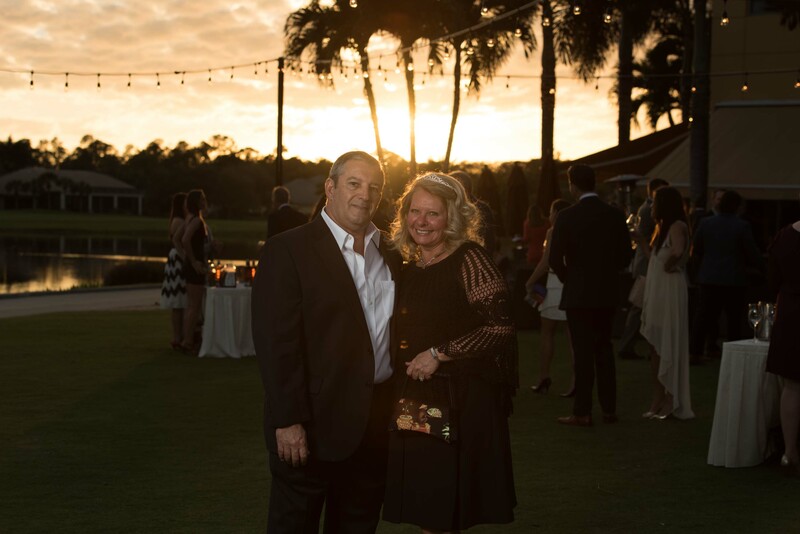 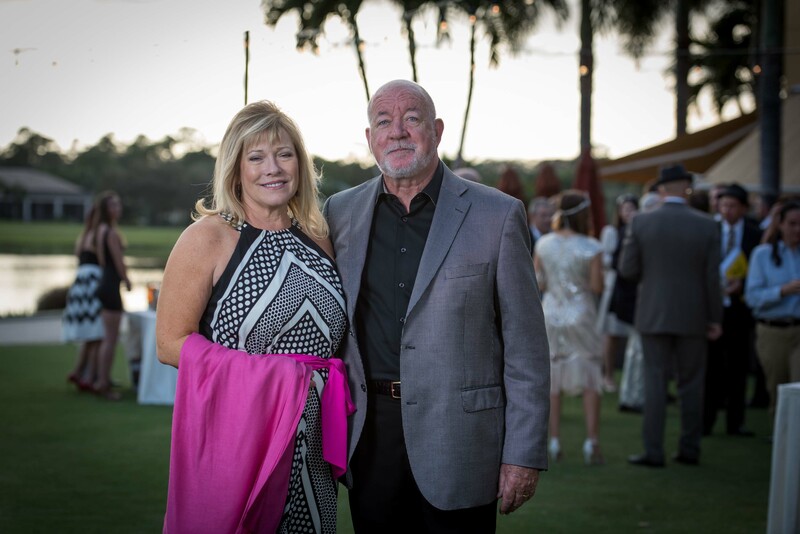 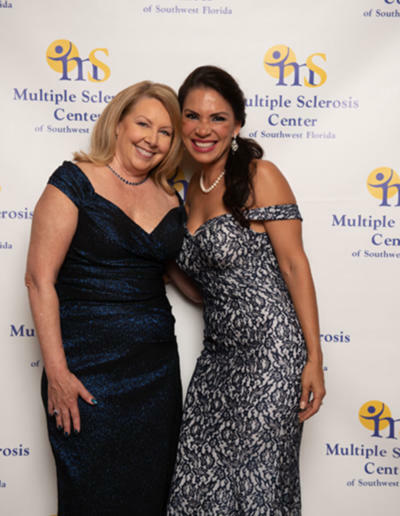 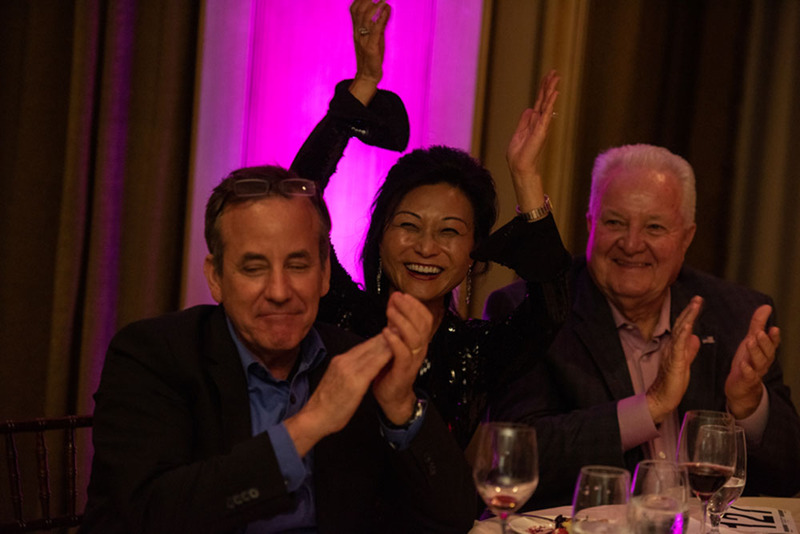 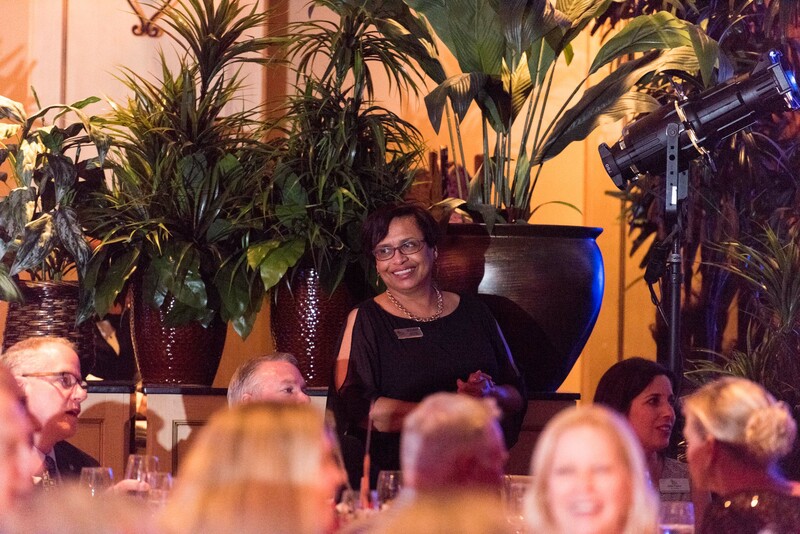 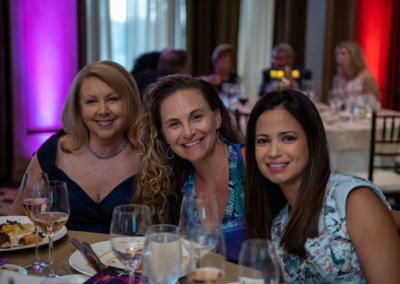 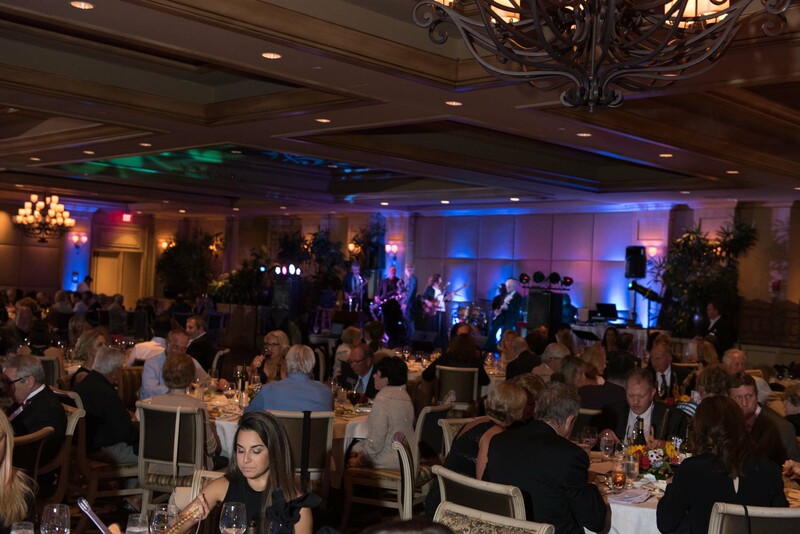 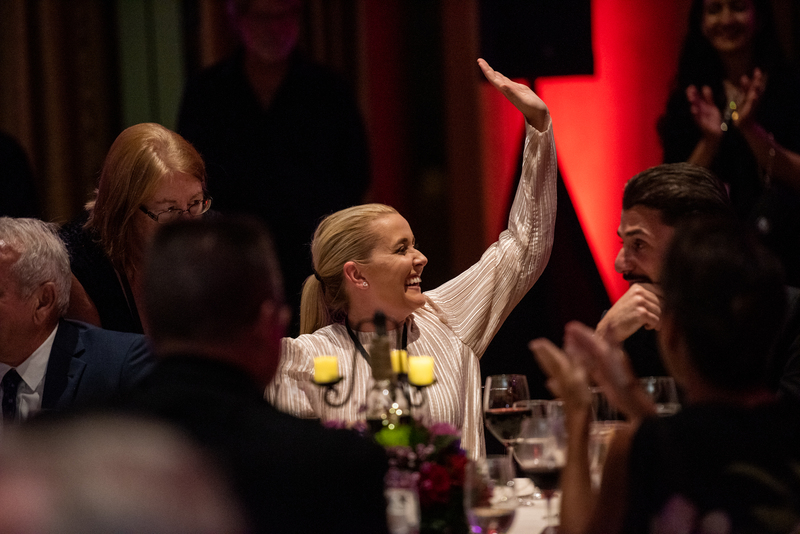 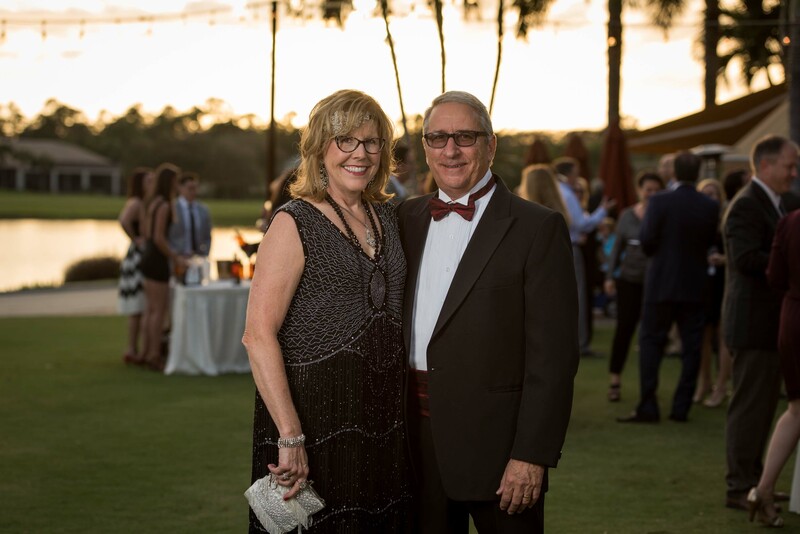 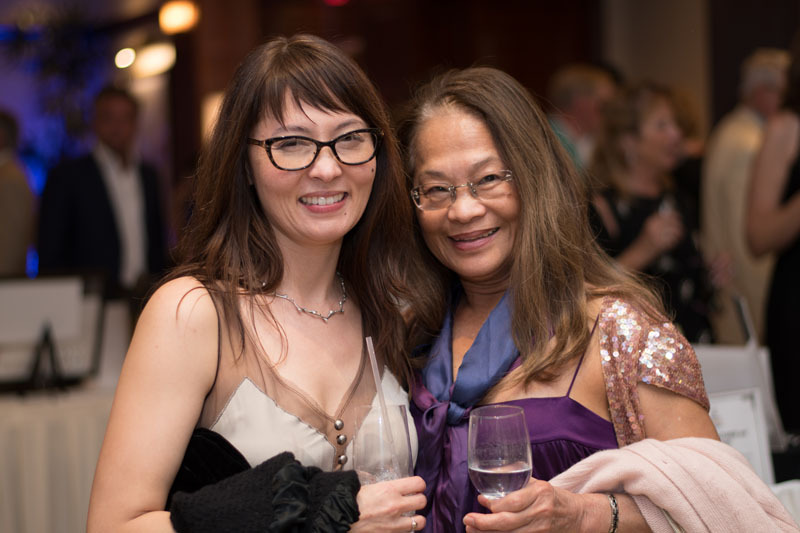 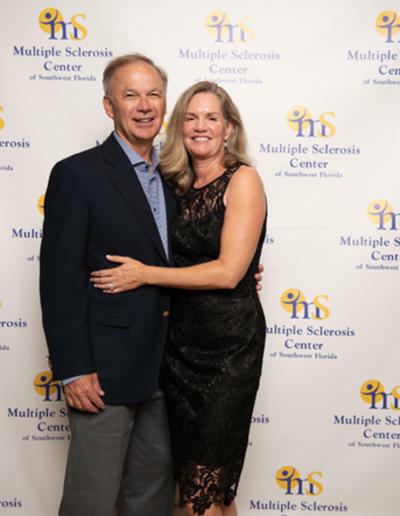 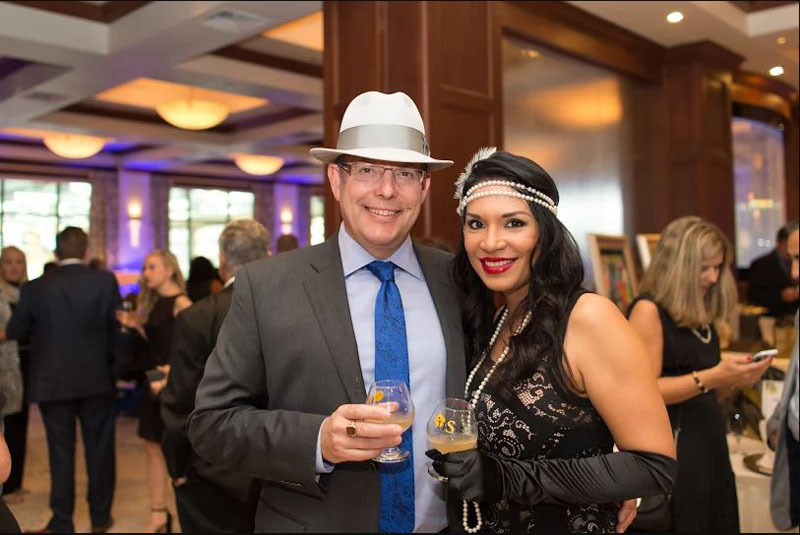 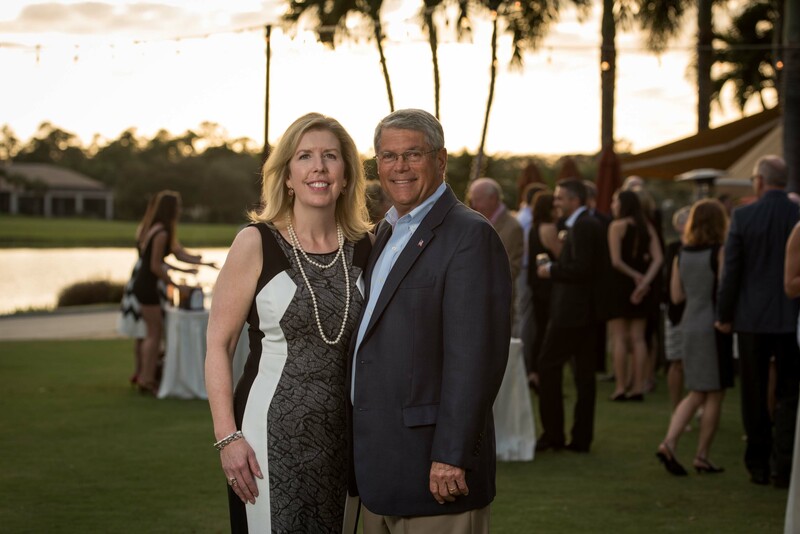 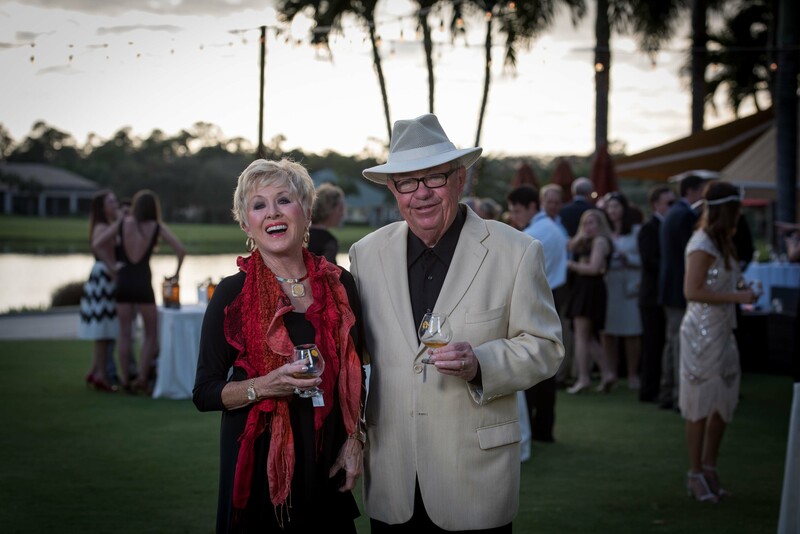 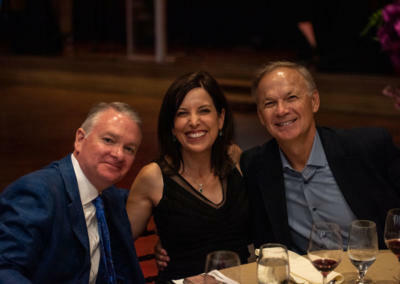 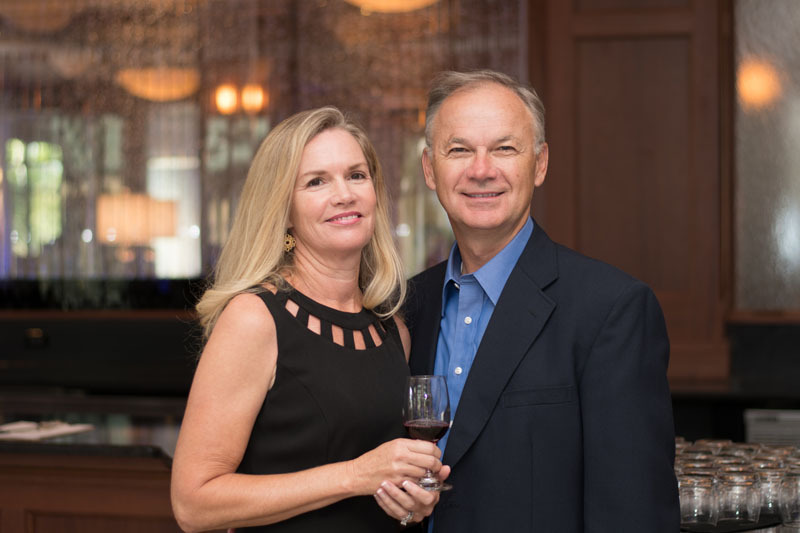 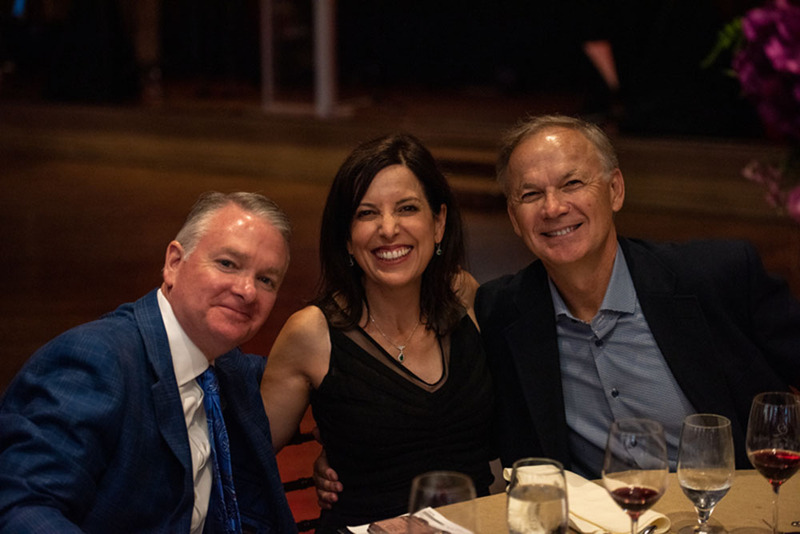 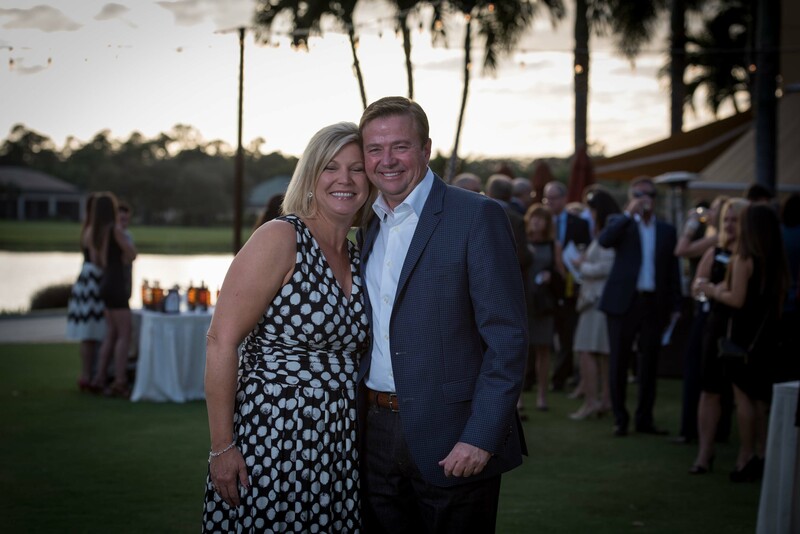 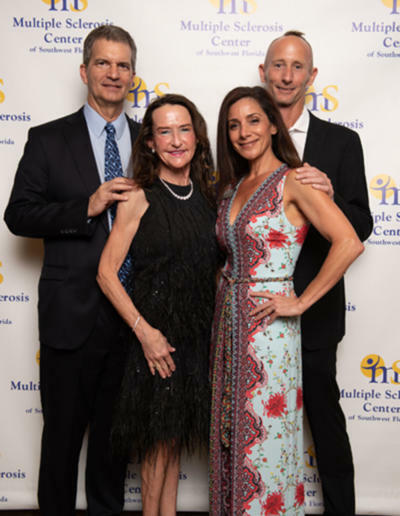 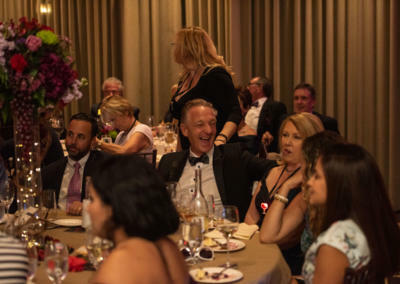 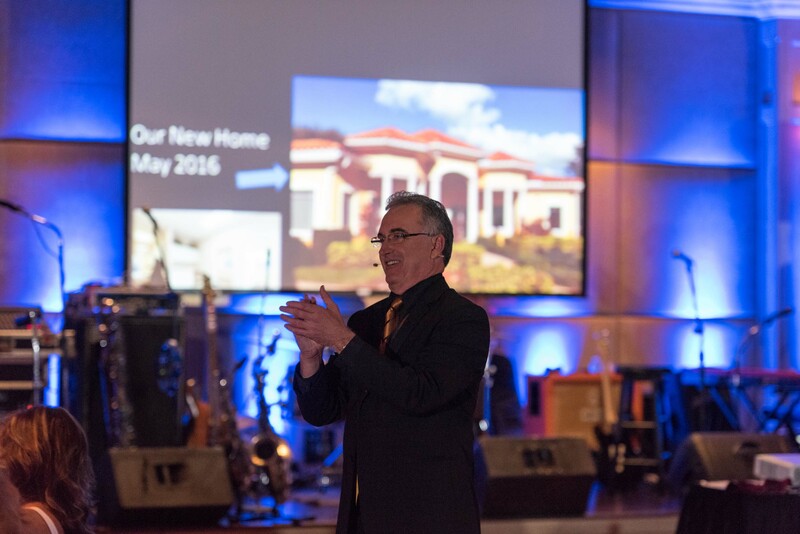 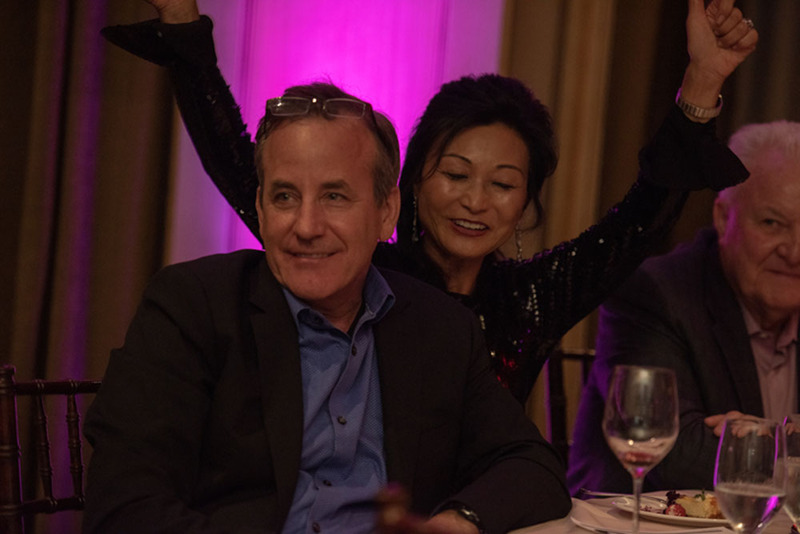 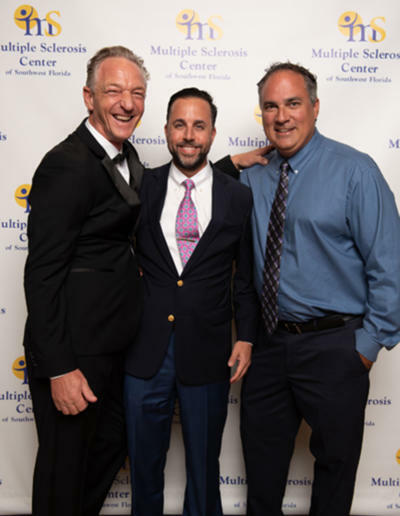 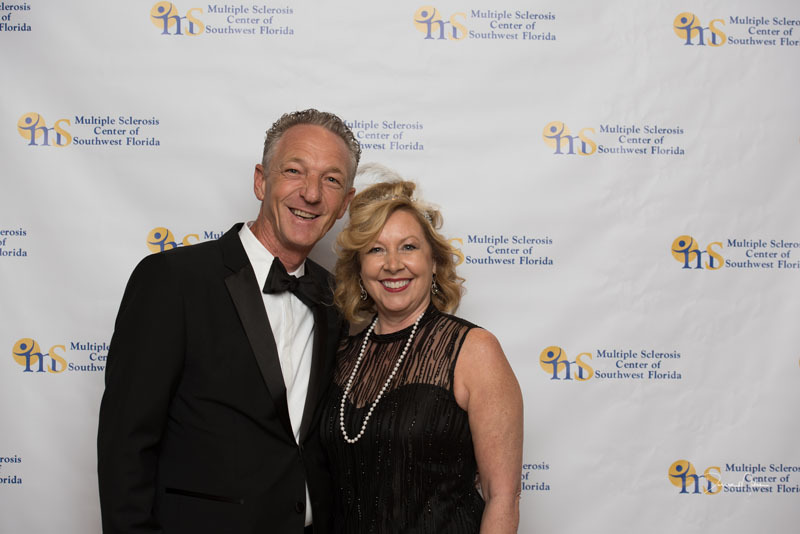 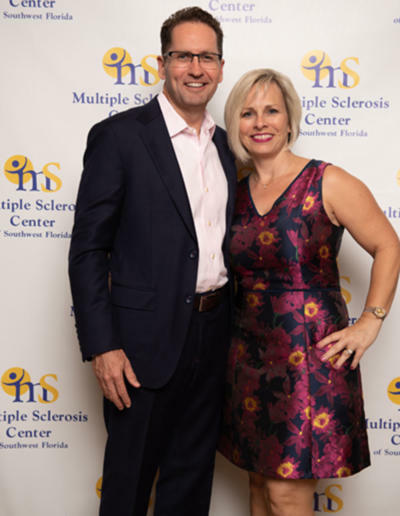 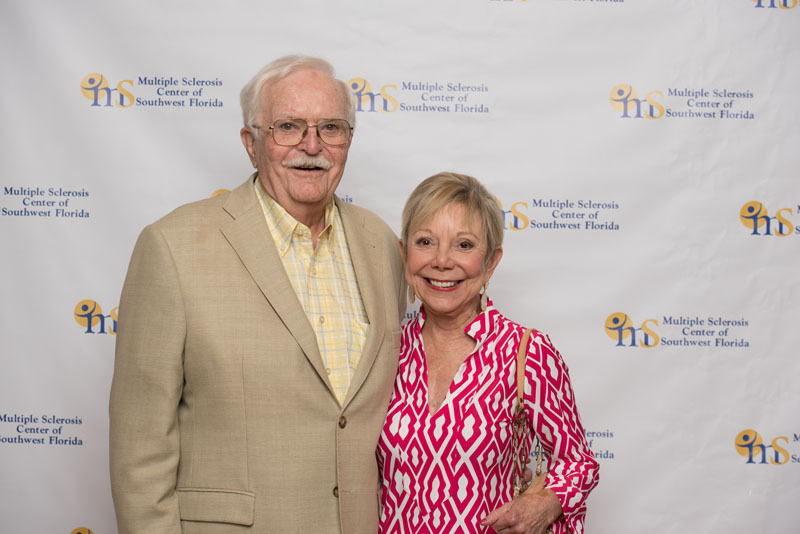 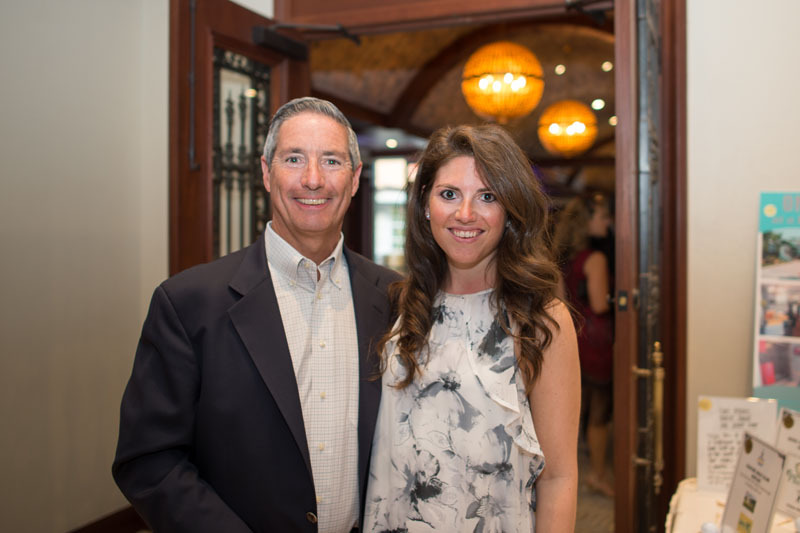 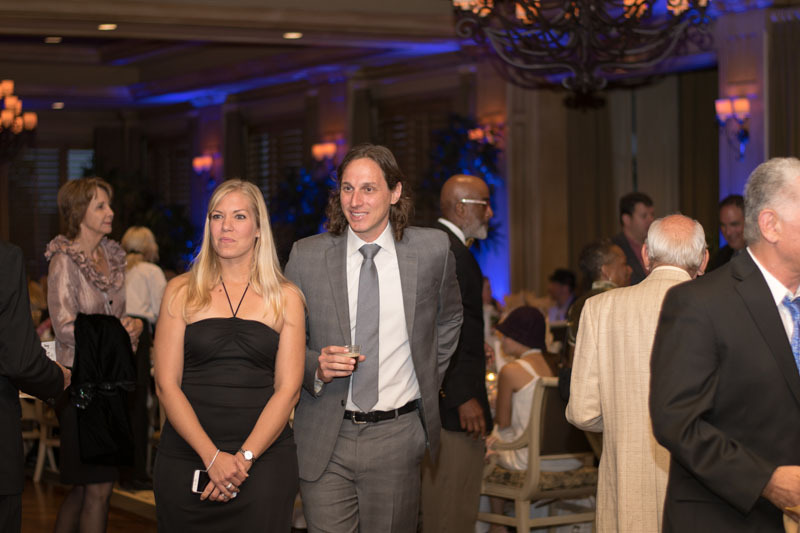 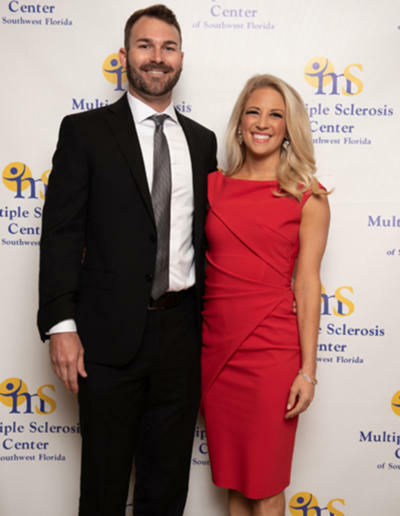 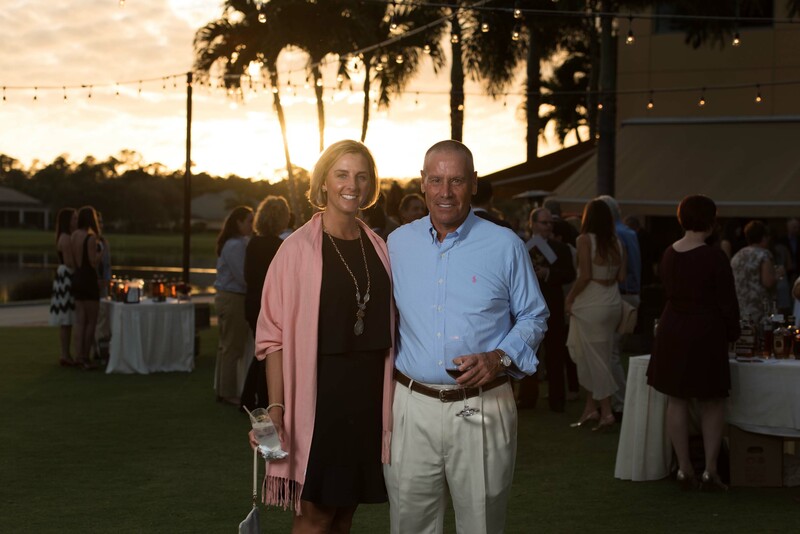 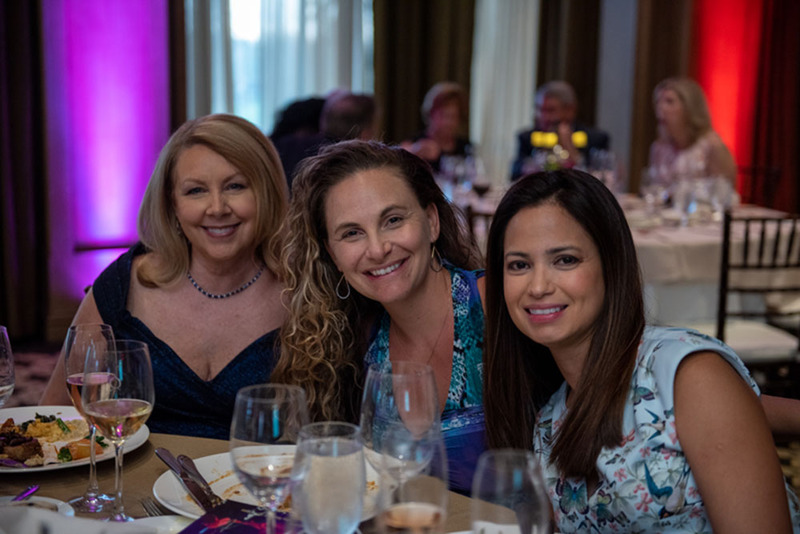 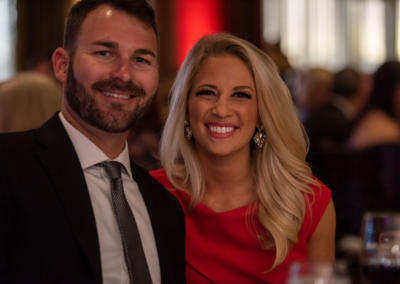 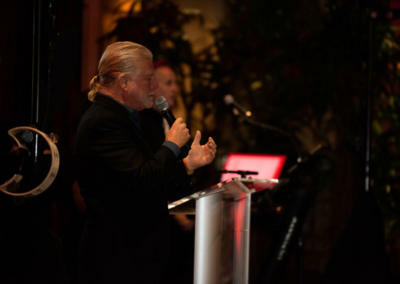 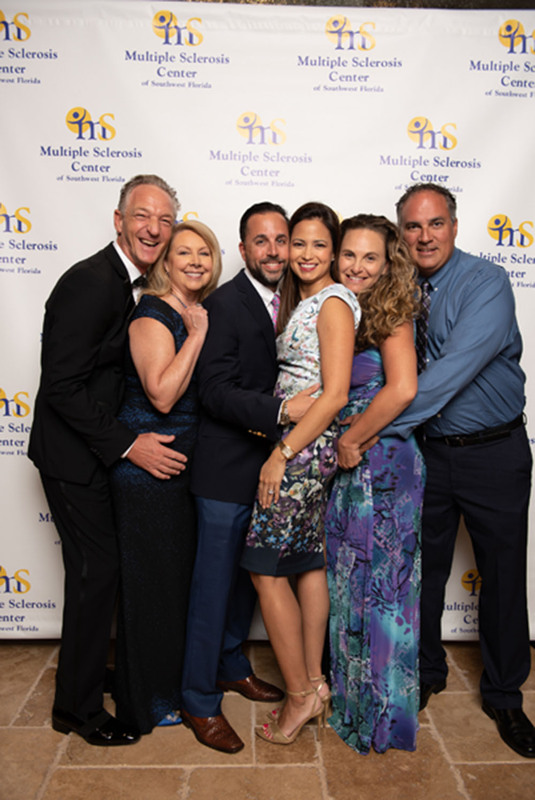 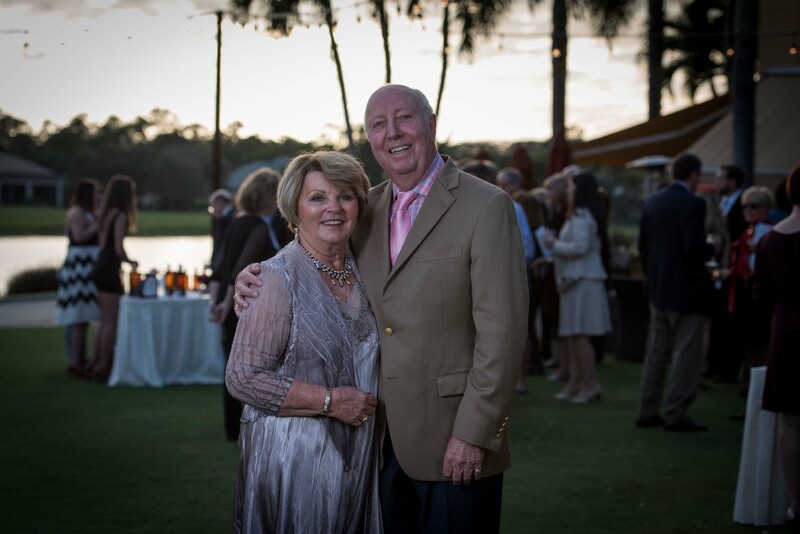 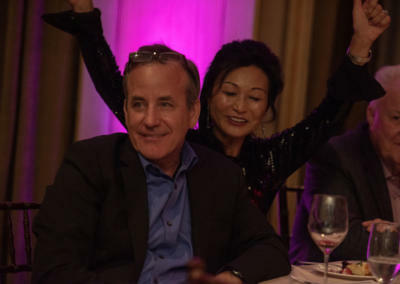 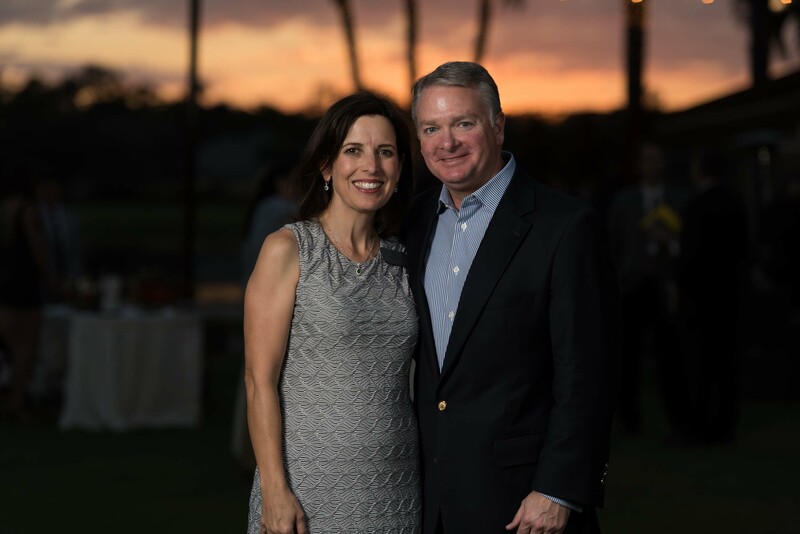 NAPLES, FL – “A Vintage Affair: Night of a Thousand Wines” lived up to its billing on March 10, 2019, at the gala fundraiser for the Multiple Sclerosis Center of Southwest Florida held at Quail West Golf & Country Club. 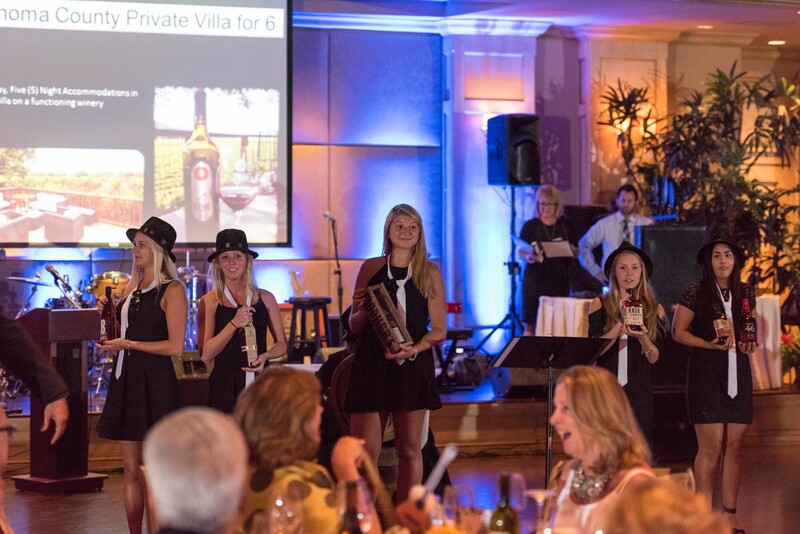 Old World vineyard décor including wine barrels and vintage trellises set the stage for an evening of dinner, dancing and bidding. 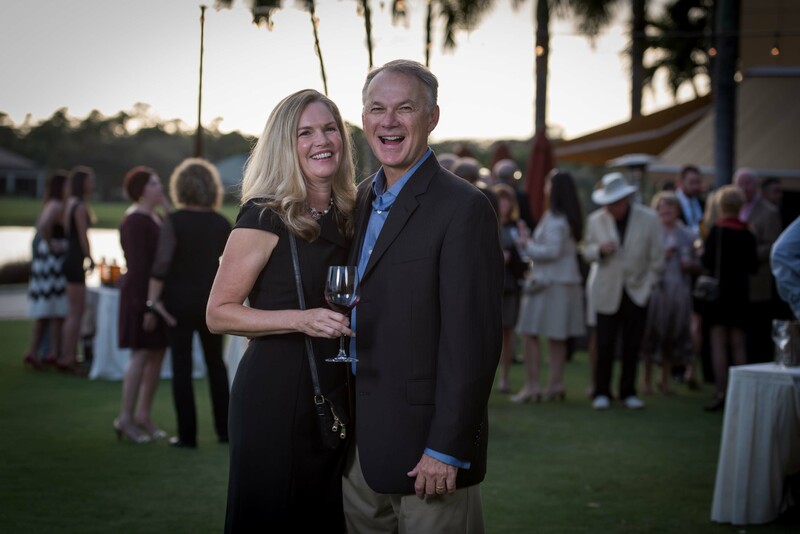 A wine tasting on the outdoor patio as the sun set featured music by guitarist Tom E. Gordon, pianist Doug Williams and generous pours of wines from Italy, Spain, France and the Napa Valley. 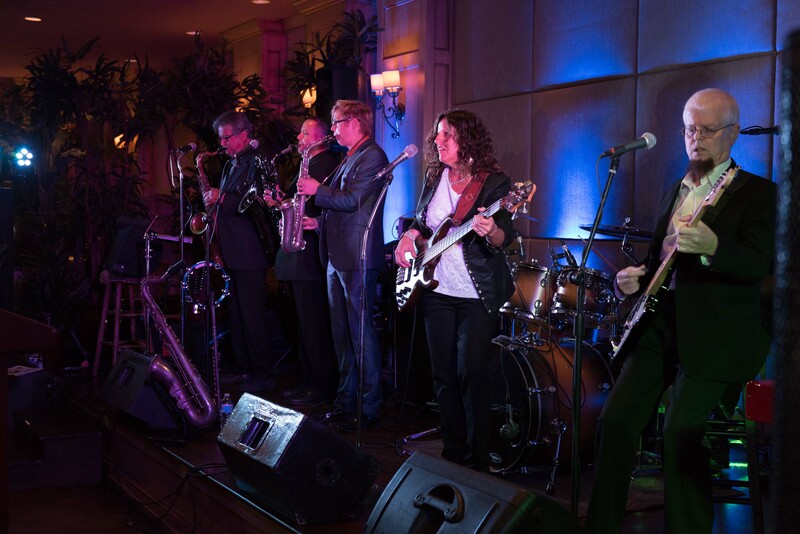 Musical group Billy Dean & Dawn also entertained. 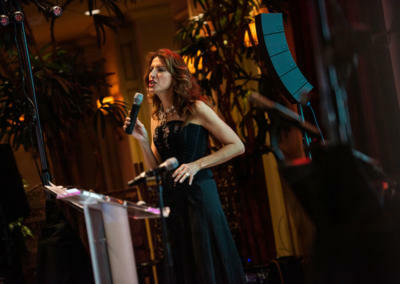 Emcee was WINK TV anchorwoman Amanda Hall. Auctioneer was Jon Finstrom. 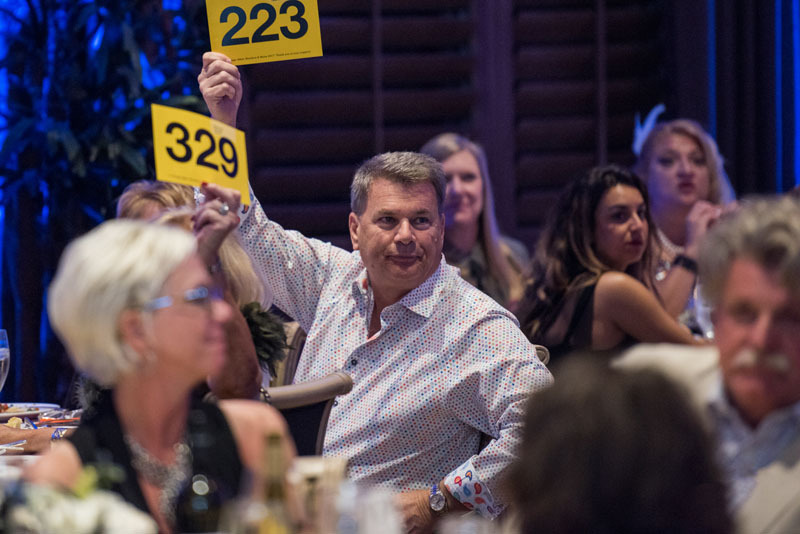 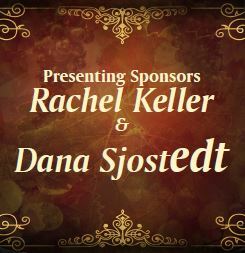 Dozens of wines and wine country trips were auctioned, contributing to the evening’s fundraising total of $260,000. 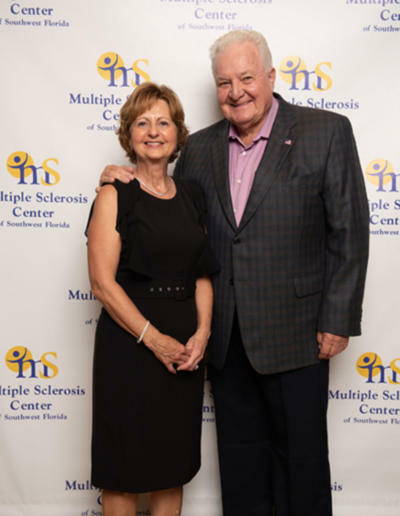 The proceeds will benefit programs of the nonprofit MS Center. 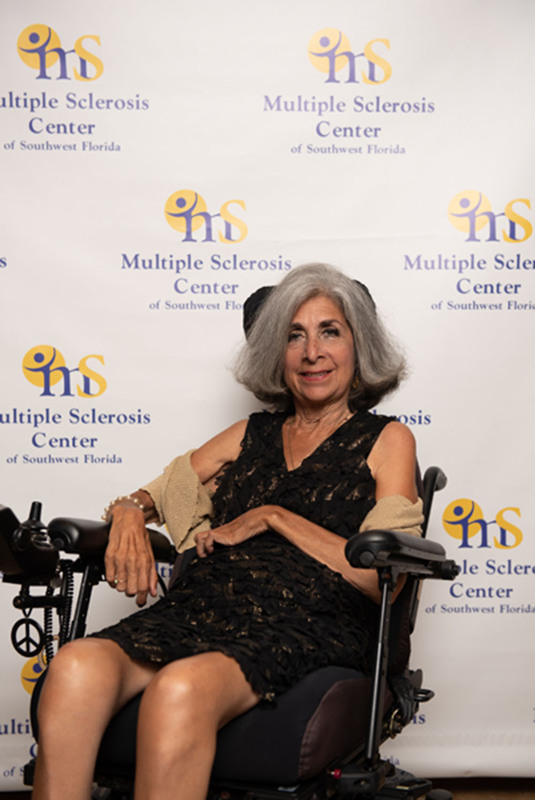 The MS Center has services and classes in several locations throughout Southwest Florida, including therapeutic exercise classes for MS, art classes, counseling, educational seminars and more. New social groups are forming this year for clients to meet new friends and join in fun activities. 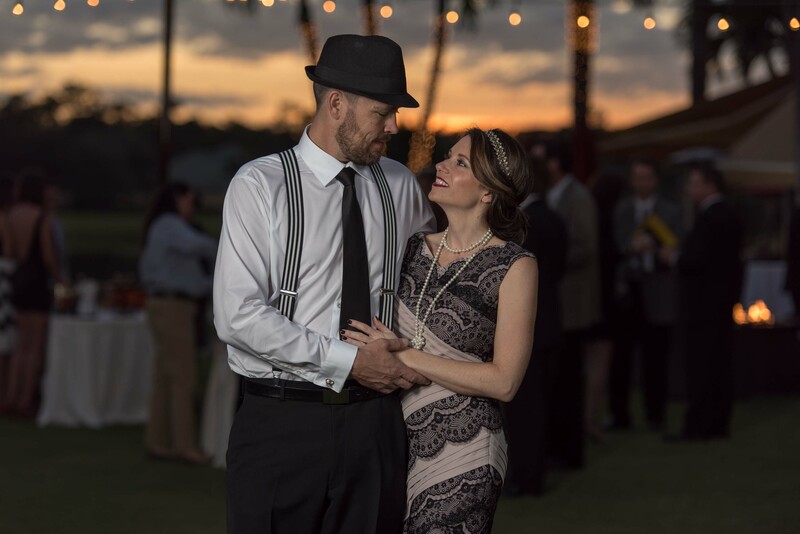 What is Old Hollywood style? 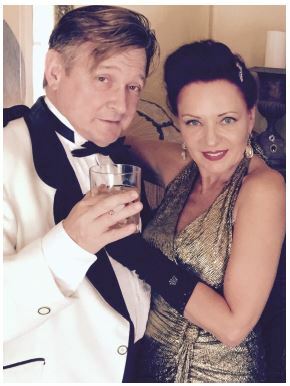 For men: slicked-back hair, parted in the middle; pencil-thin mustaches; top hats and canes; double-breasted, fitted tuxedoes; white on white suits; ascots; Art Deco patterns on ties; patterned shirts; surprising colors, like deep burgundy and deep green (on women, too). 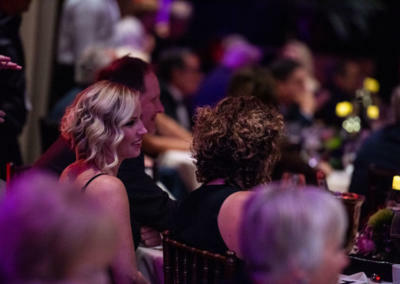 For women: gold and silver dresses and accessories; velvet capes; fur; sequins; feathers; gowns that drape; dresses with low backs; satin and silk; beaded clutch bags; fairly short hair kept close to the head in waves; gloves and hats and plenty of accessories. 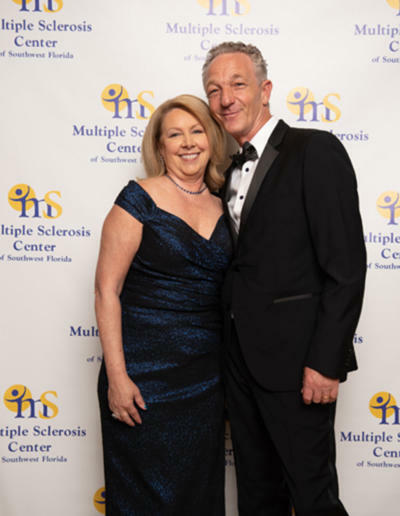 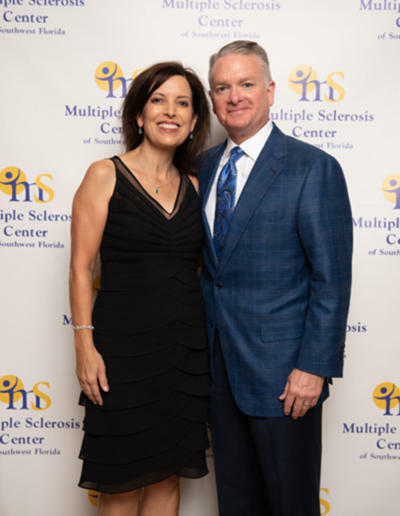 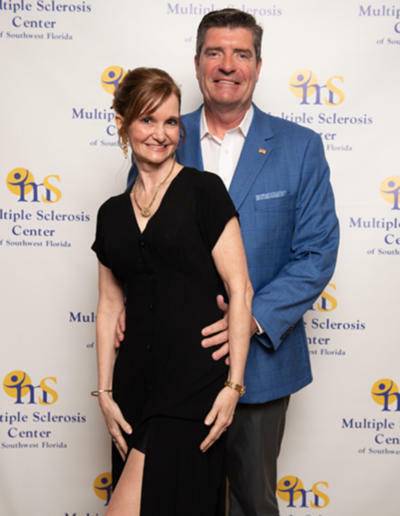 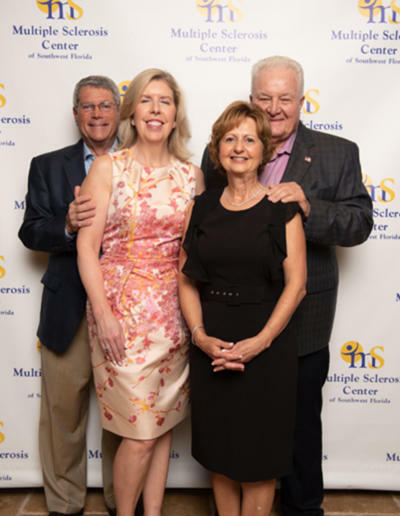 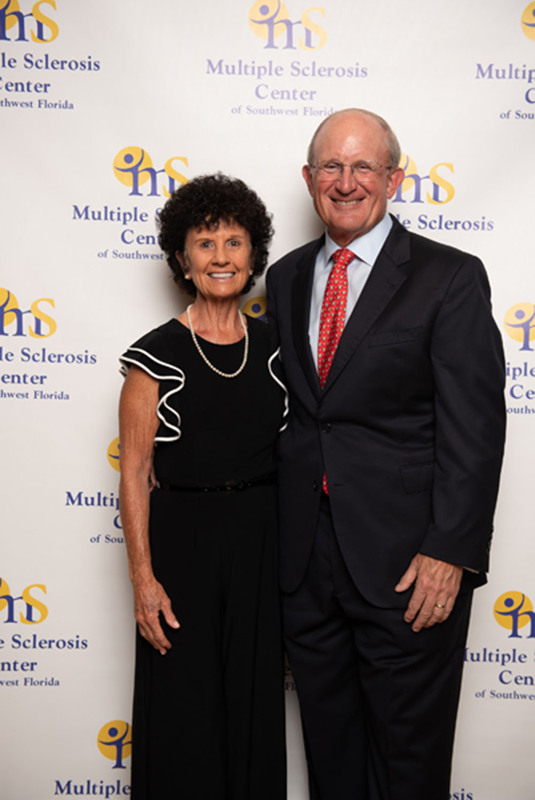 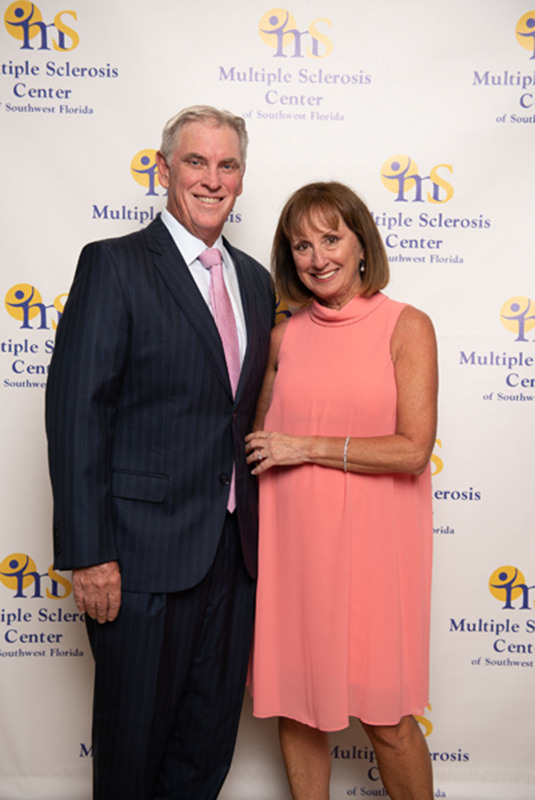 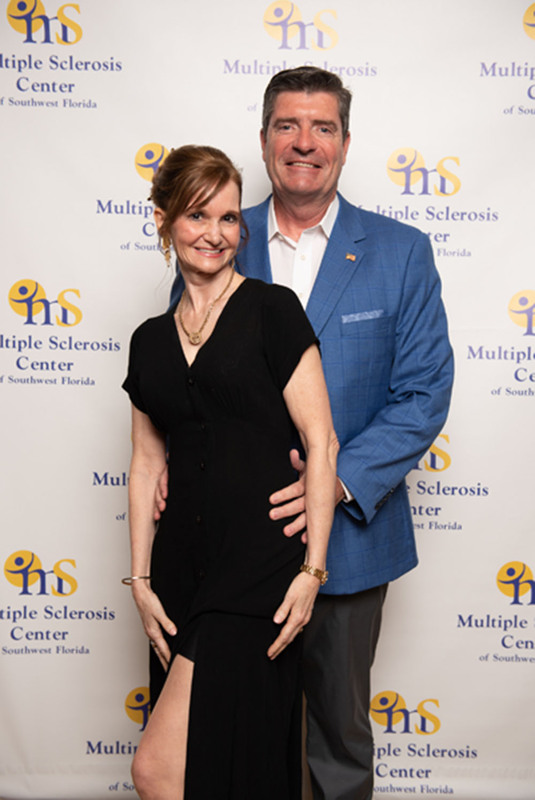 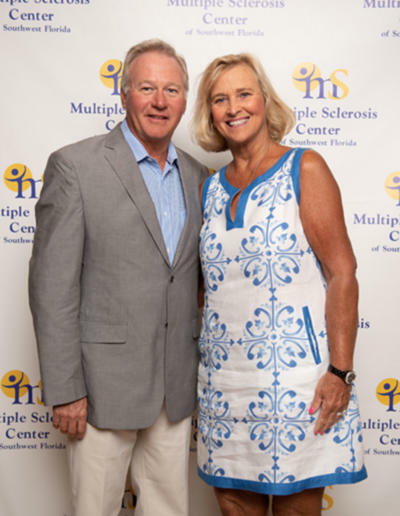 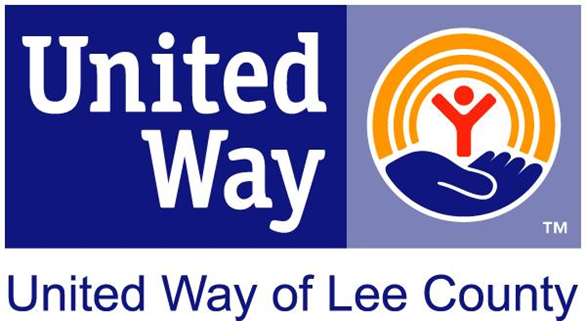 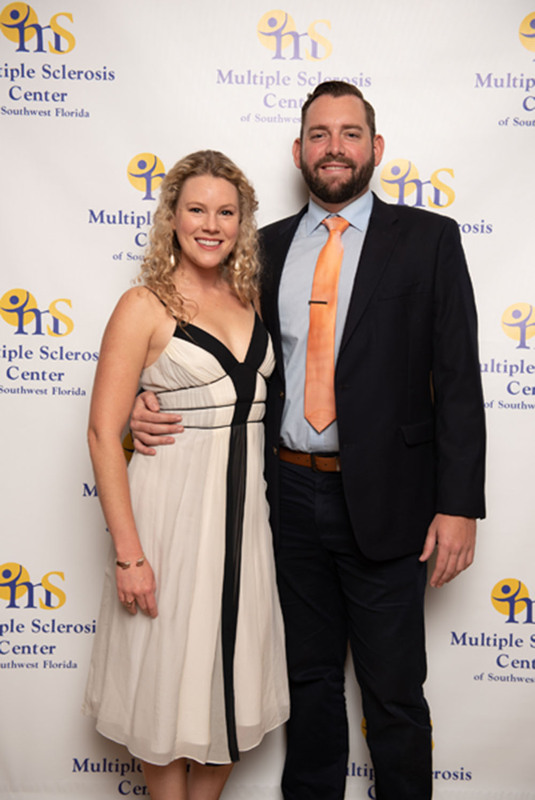 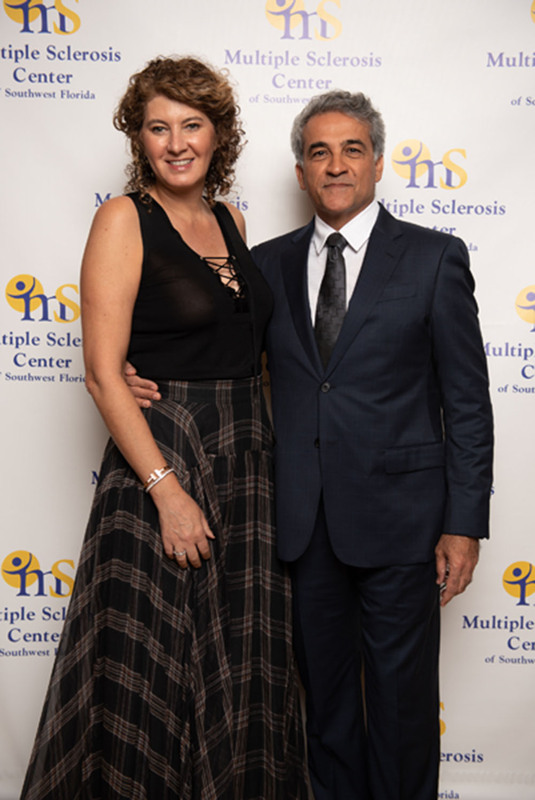 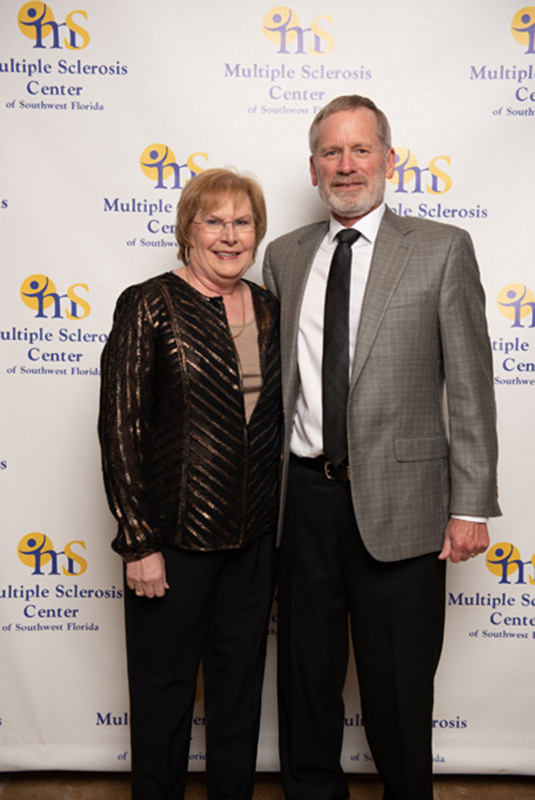 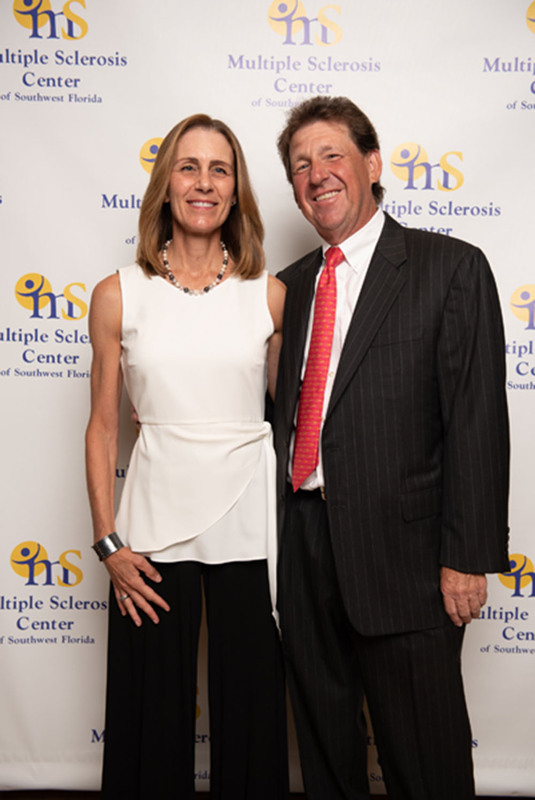 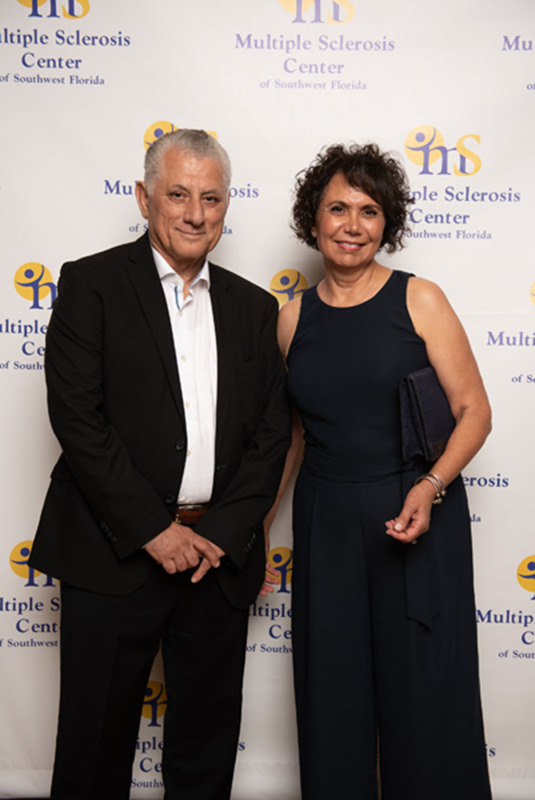 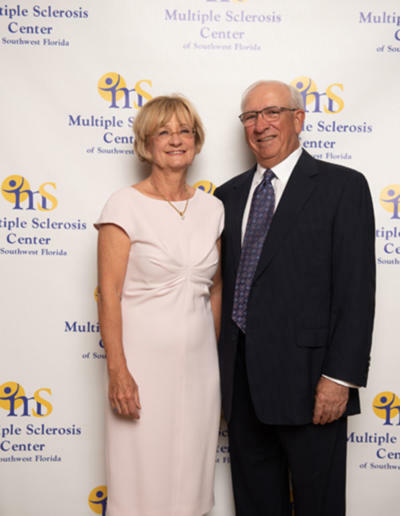 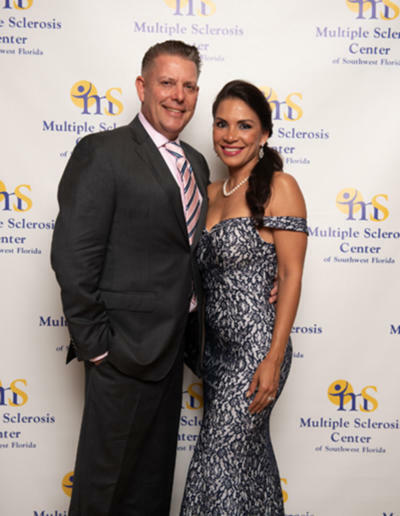 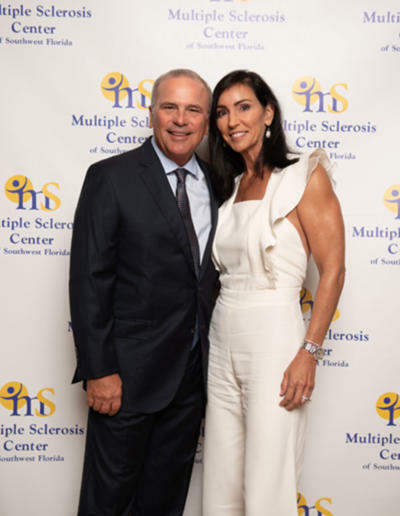 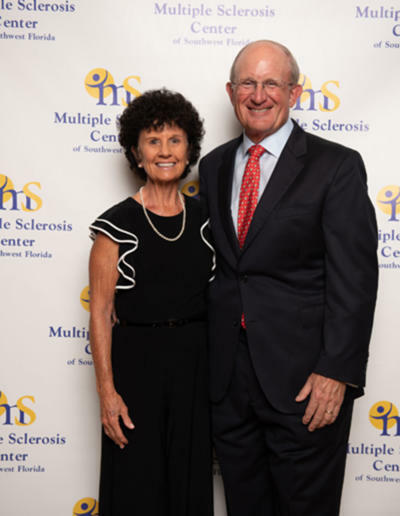 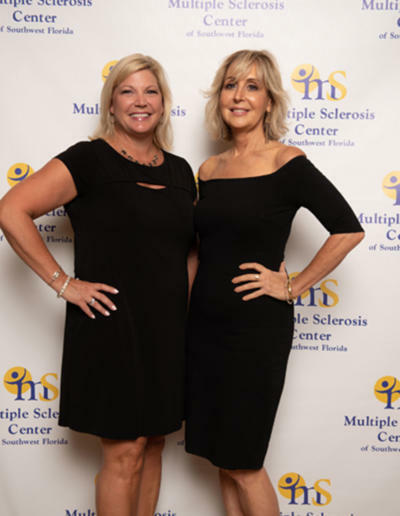 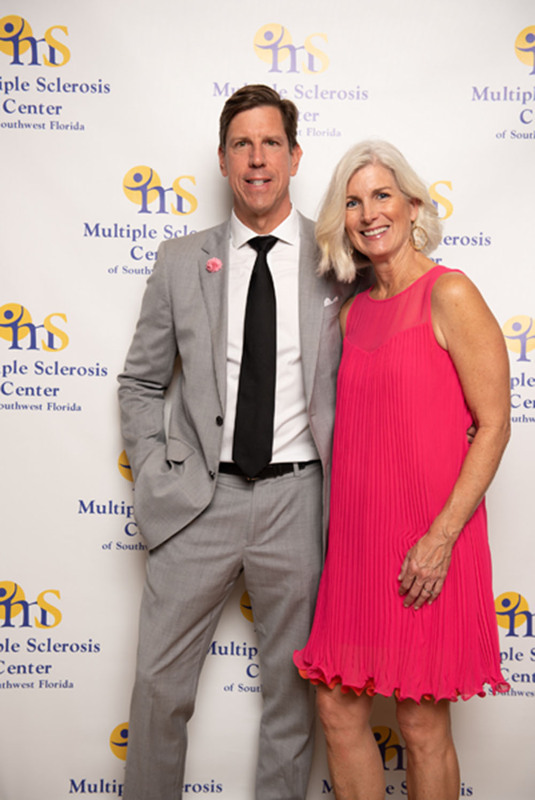 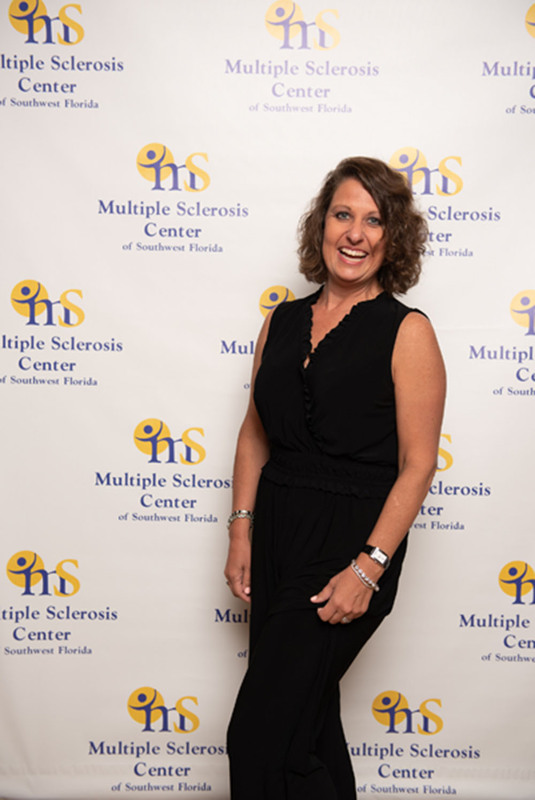 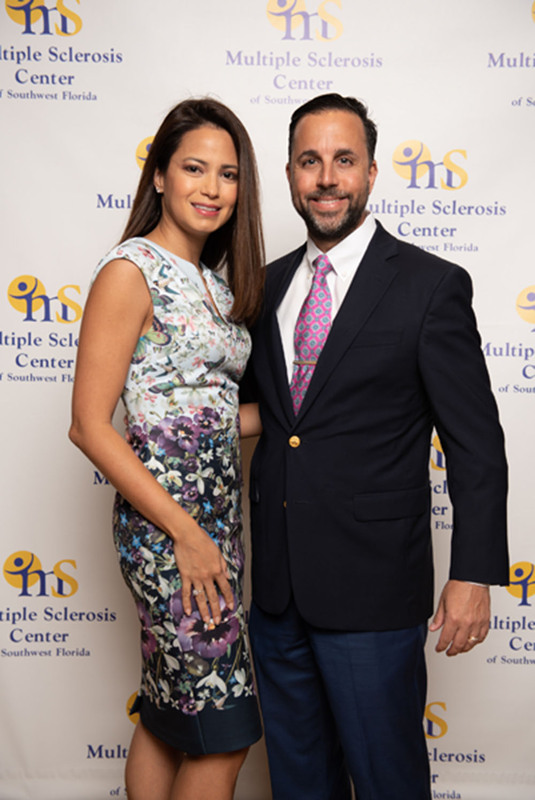 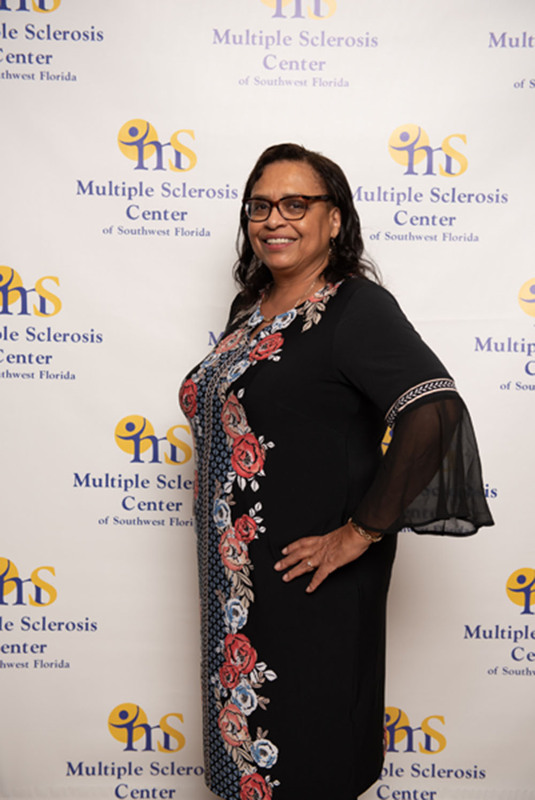 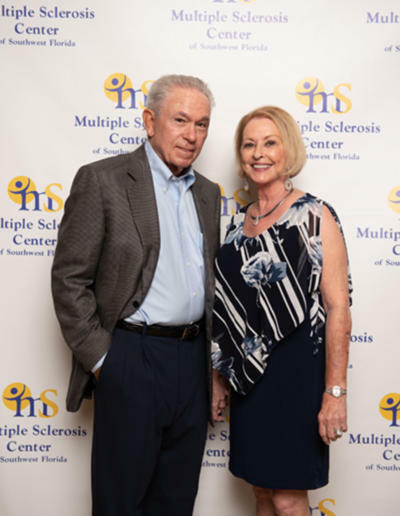 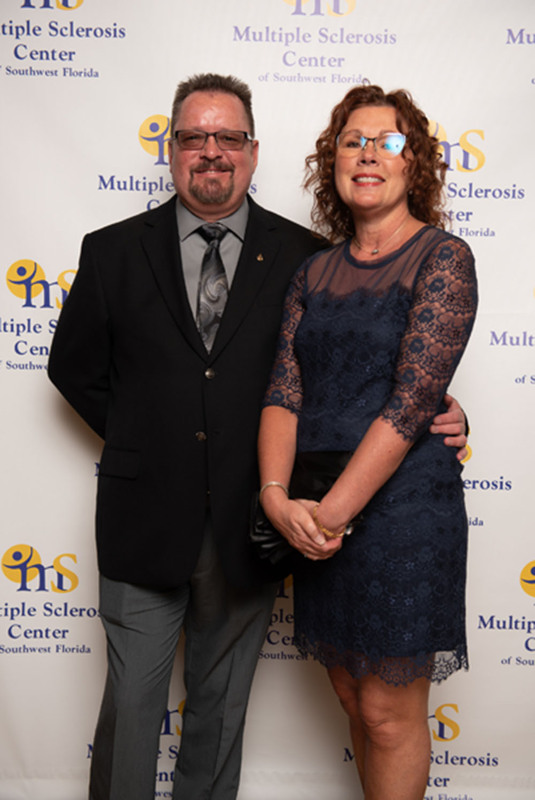 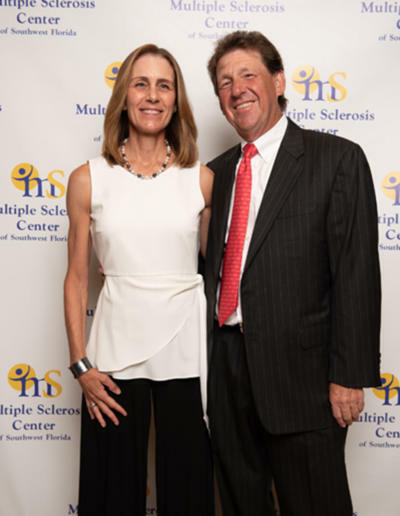 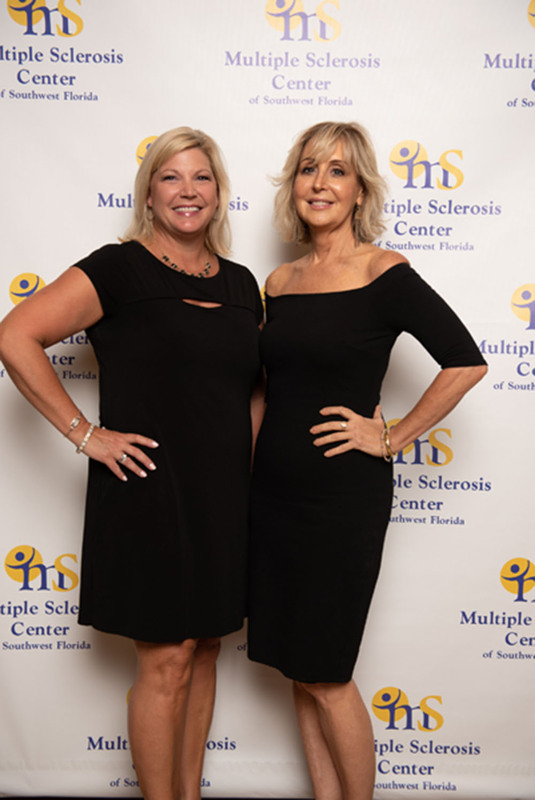 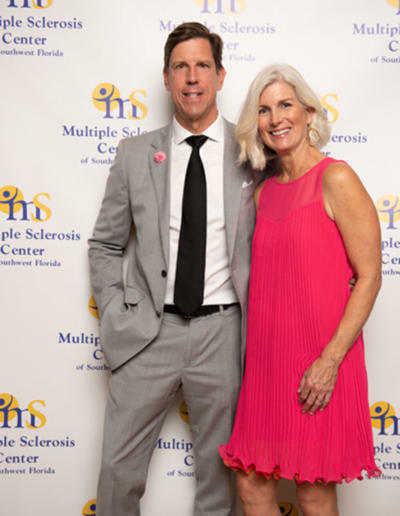 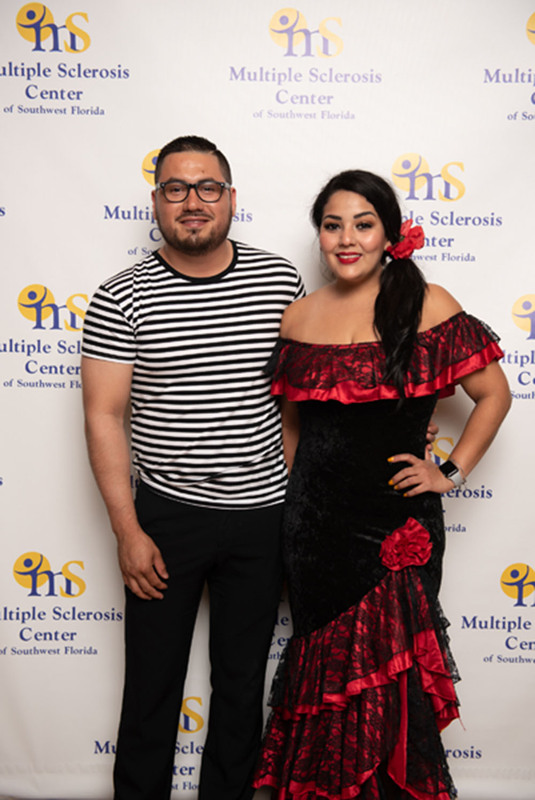 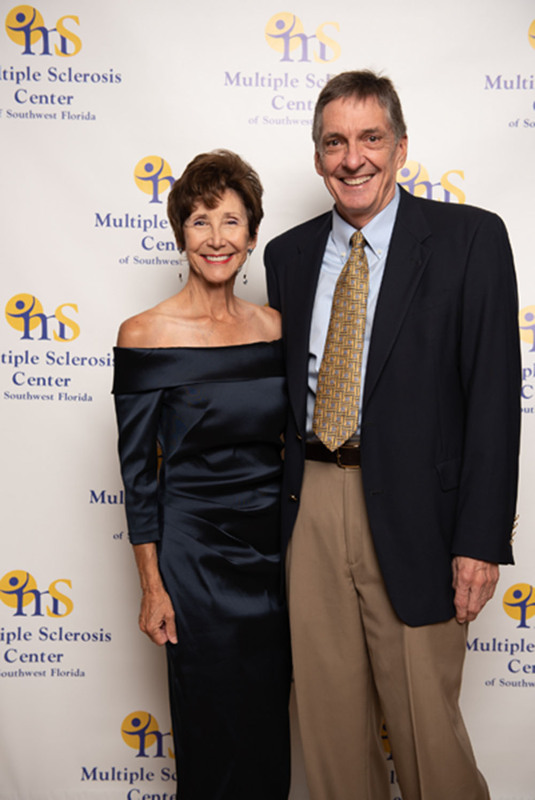 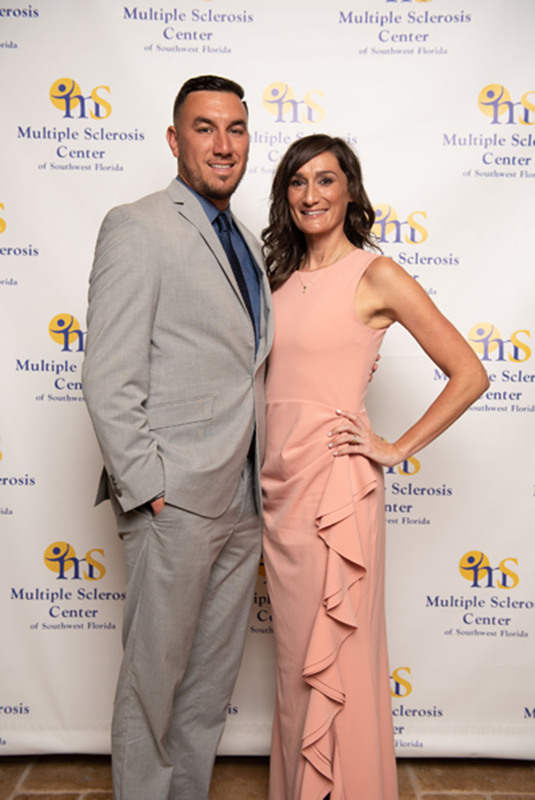 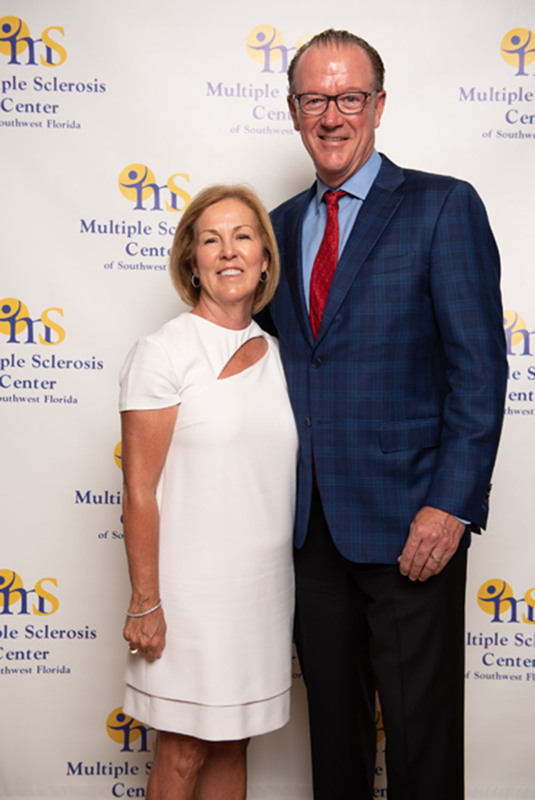 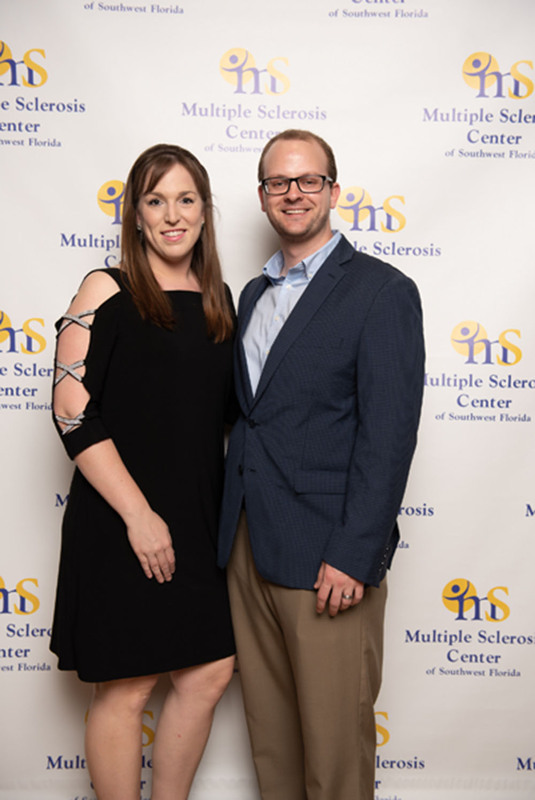 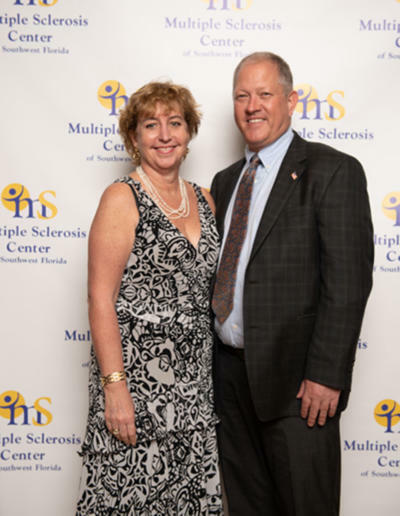 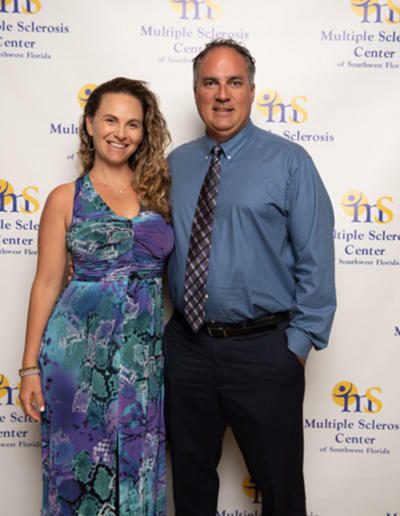 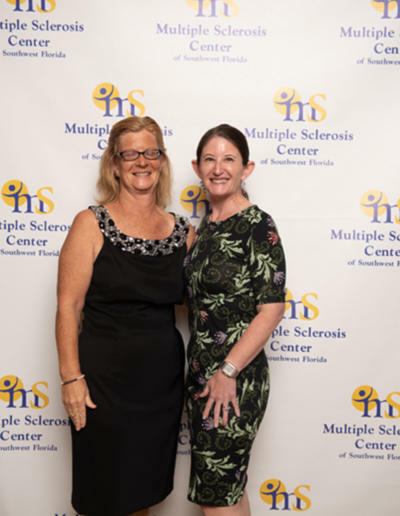 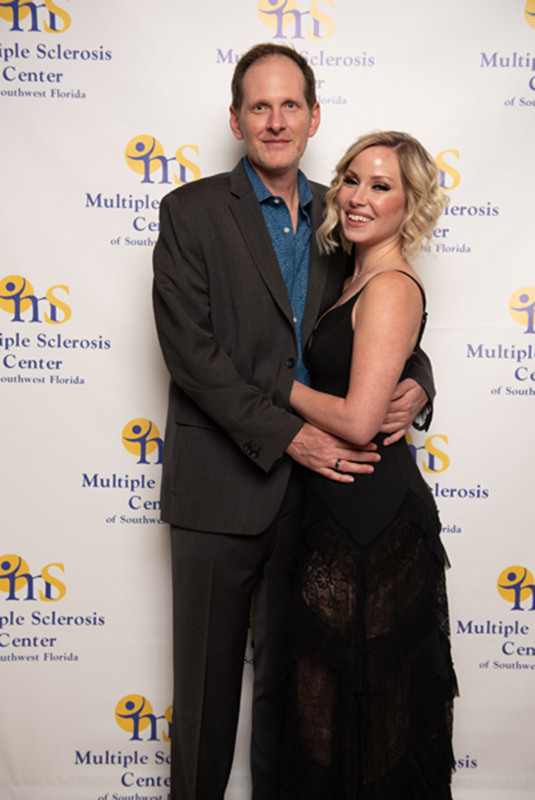 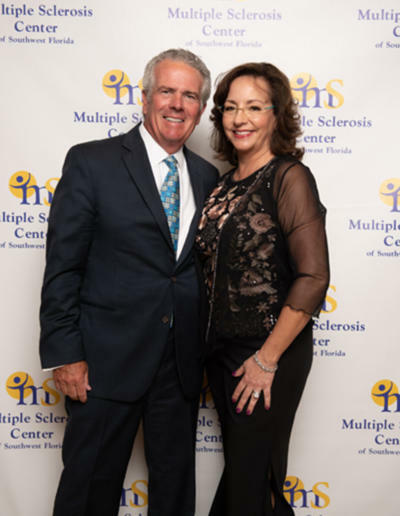 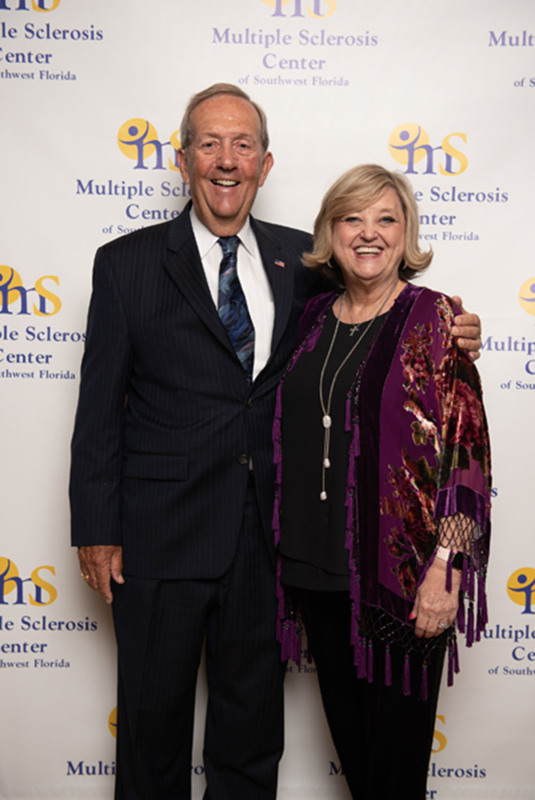 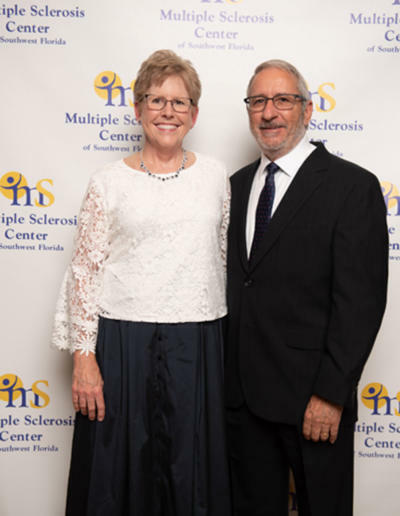 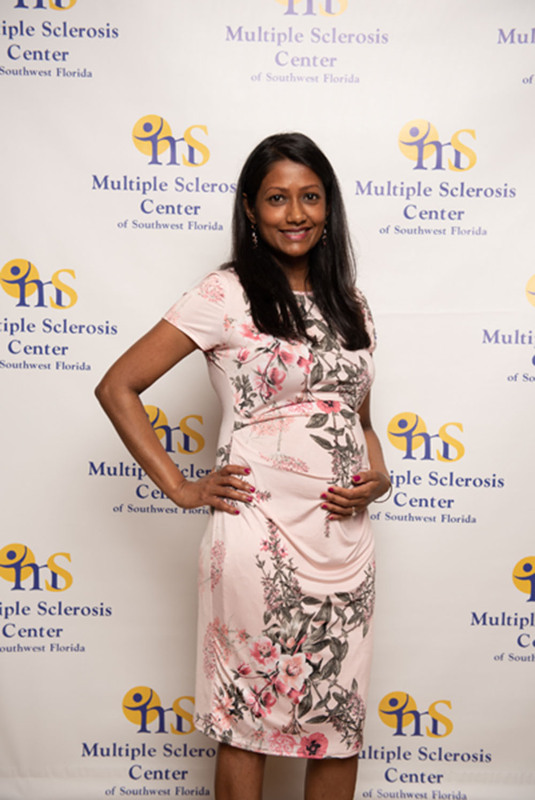 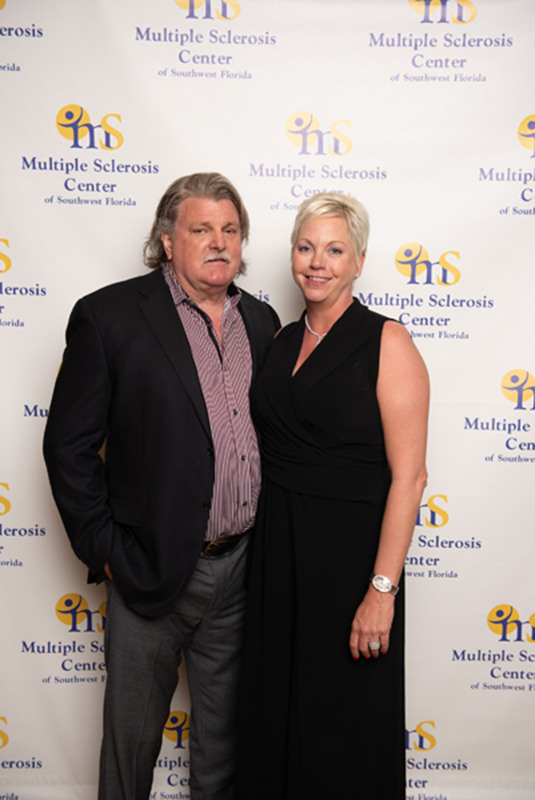 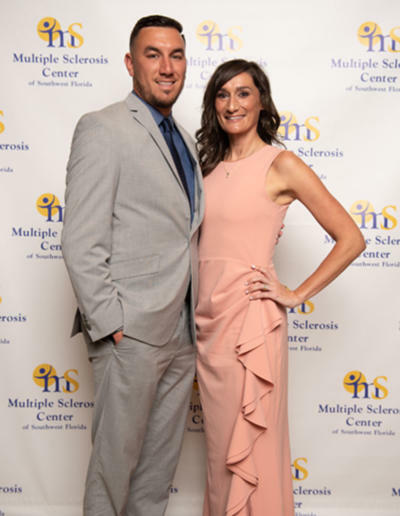 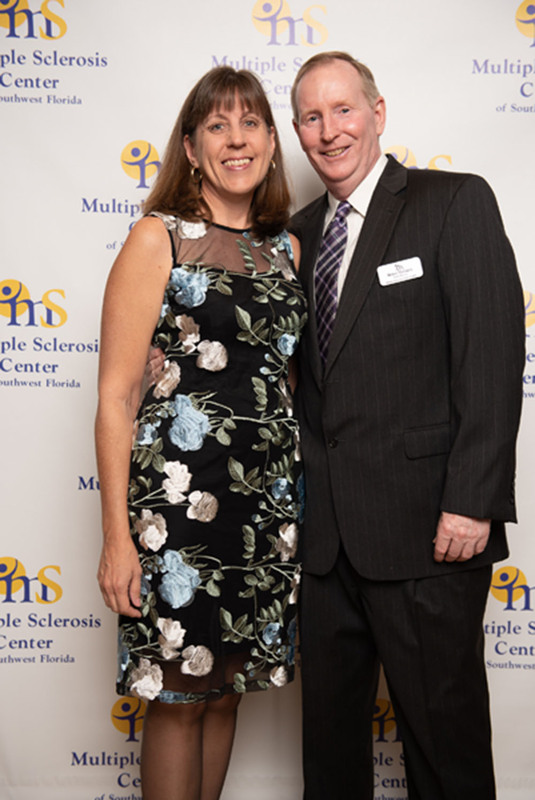 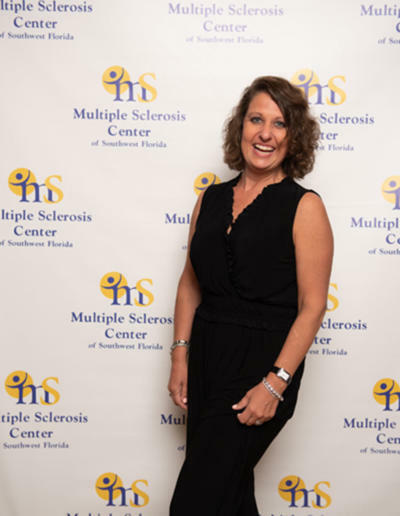 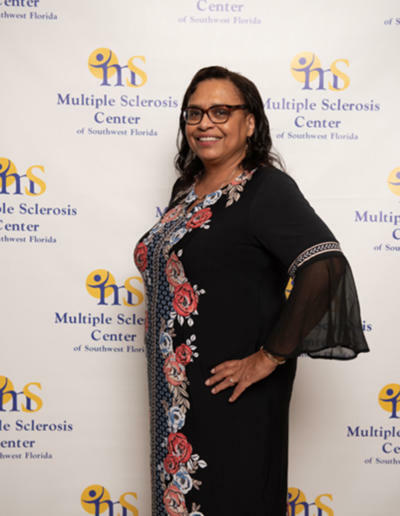 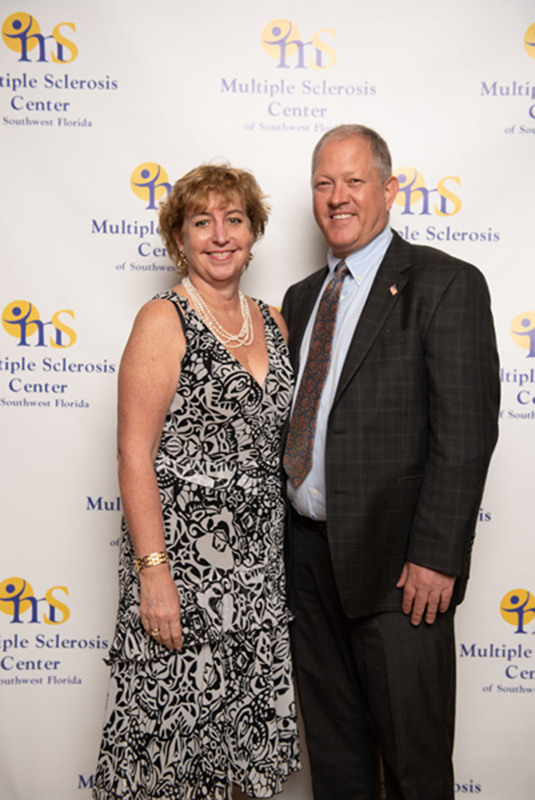 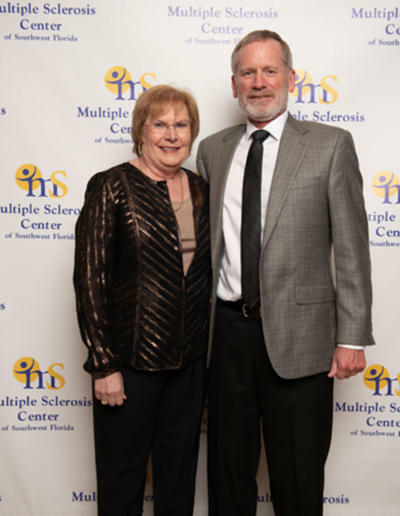 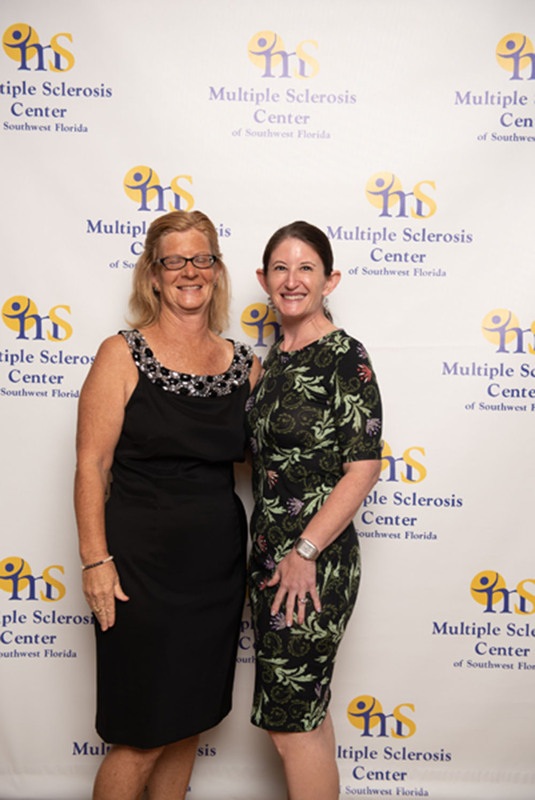 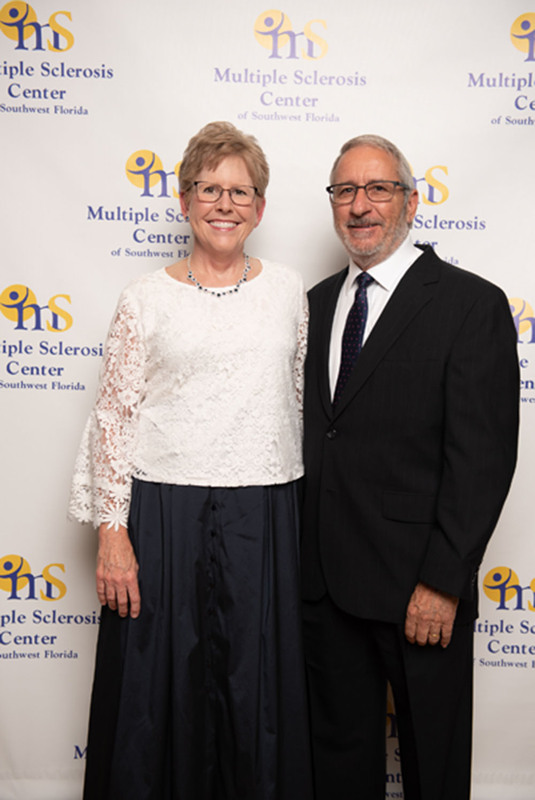 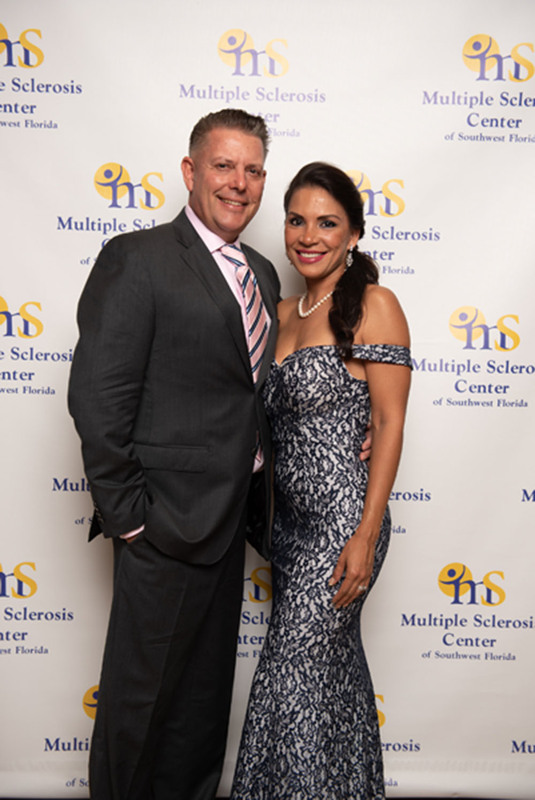 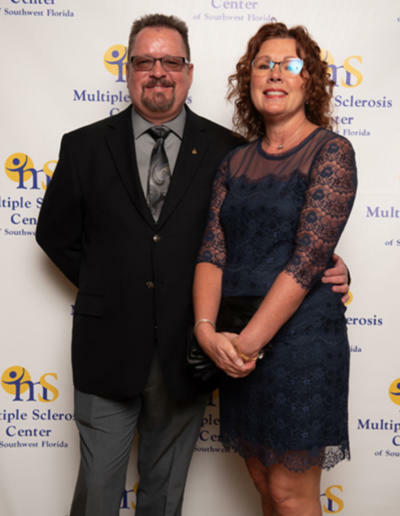 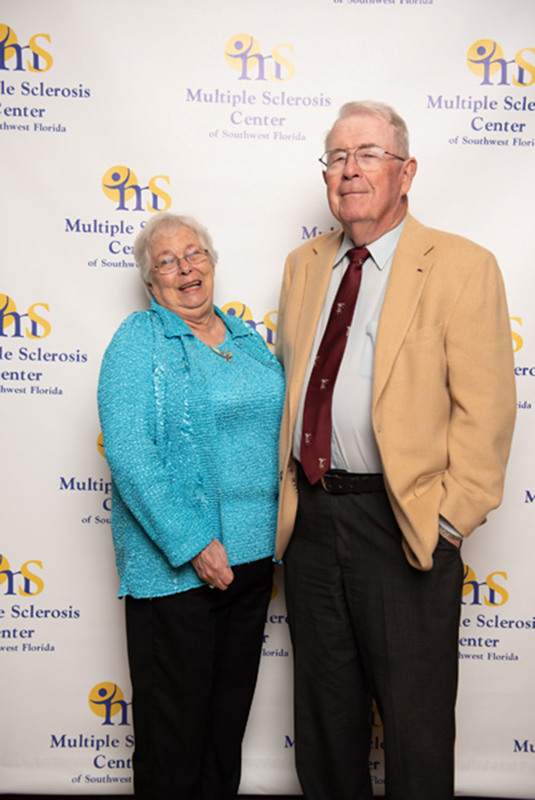 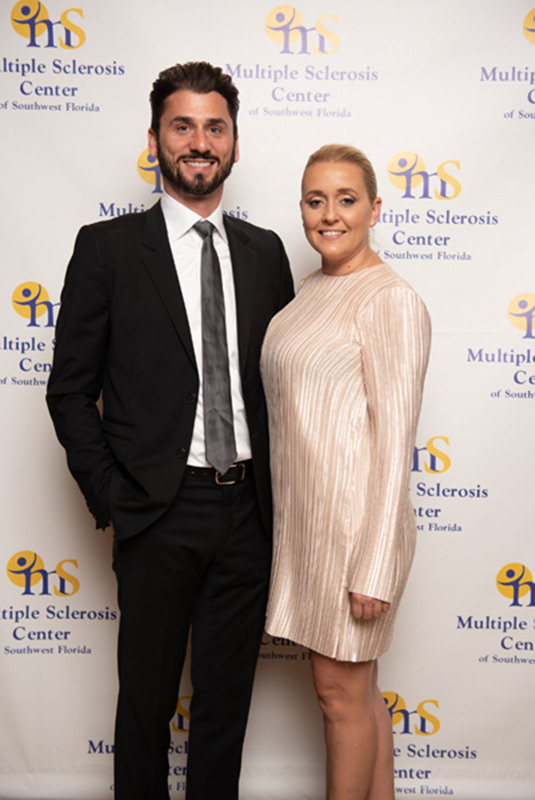 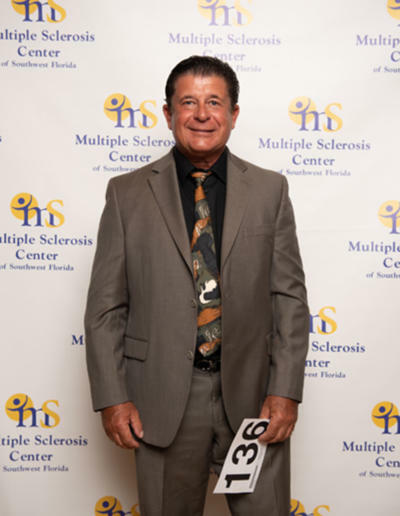 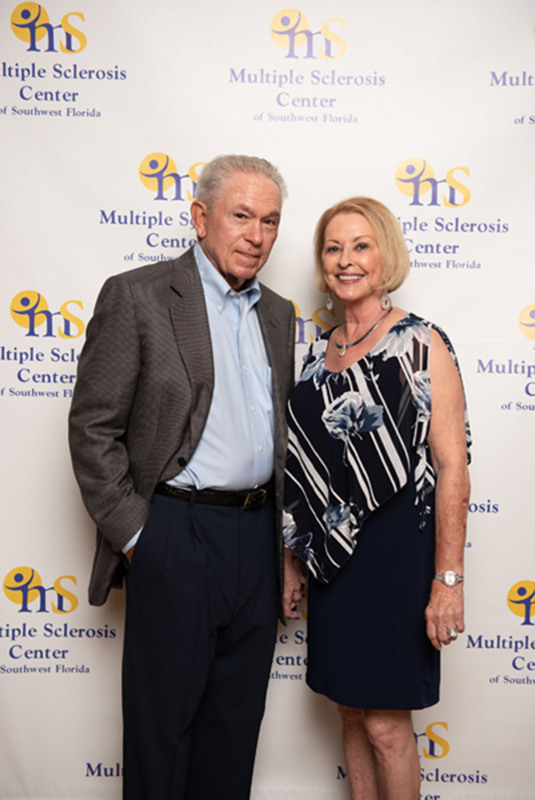 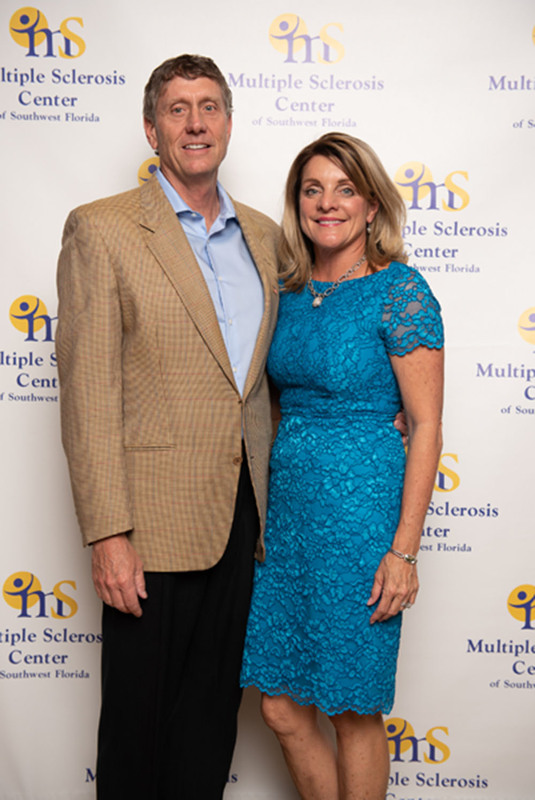 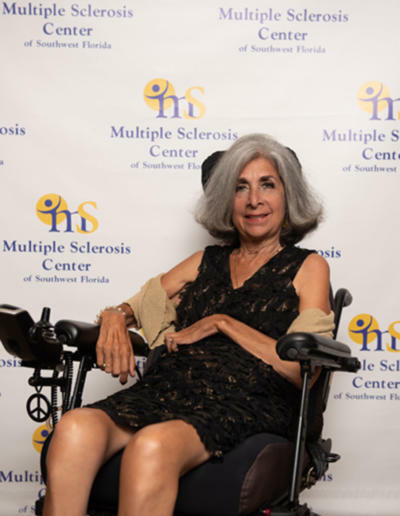 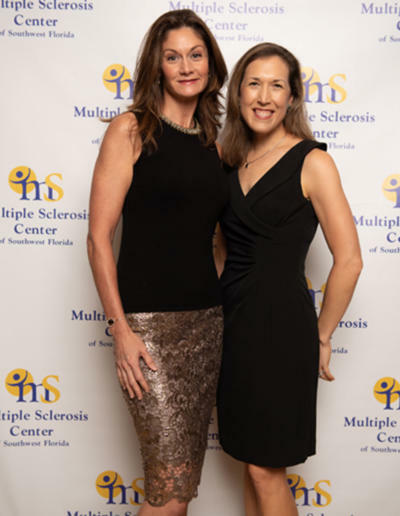 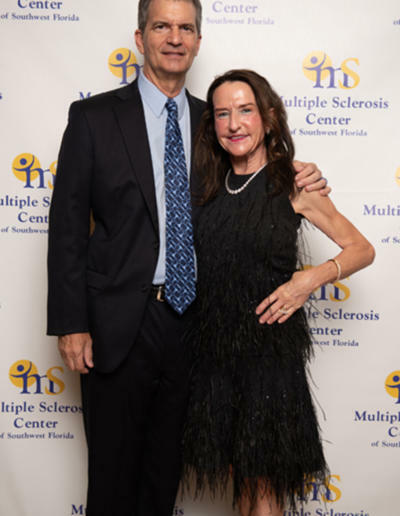 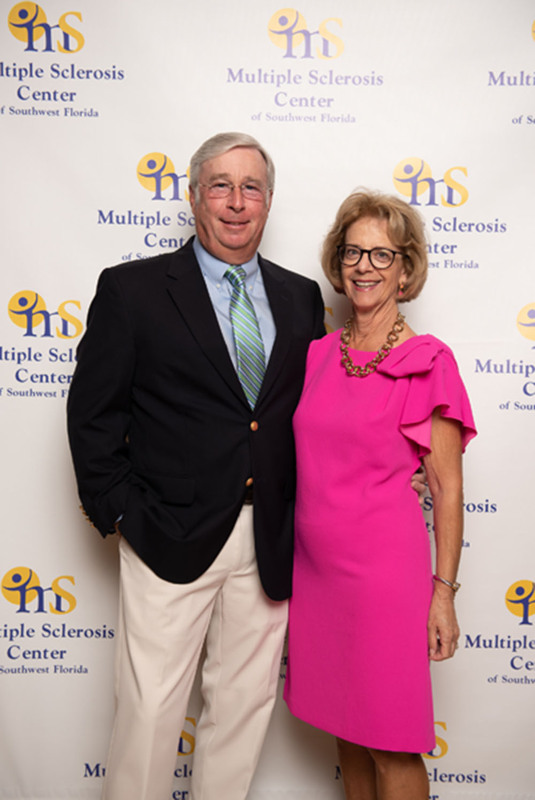 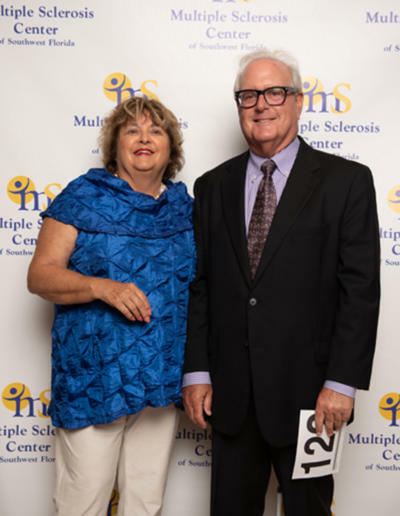 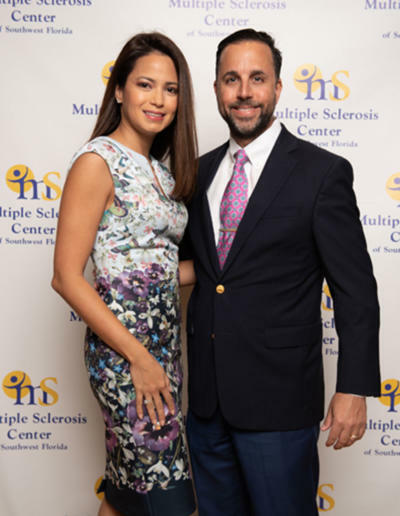 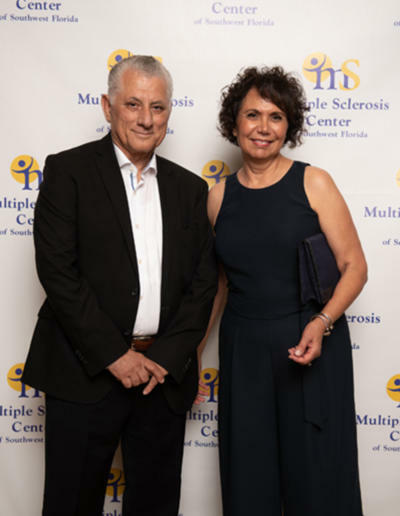 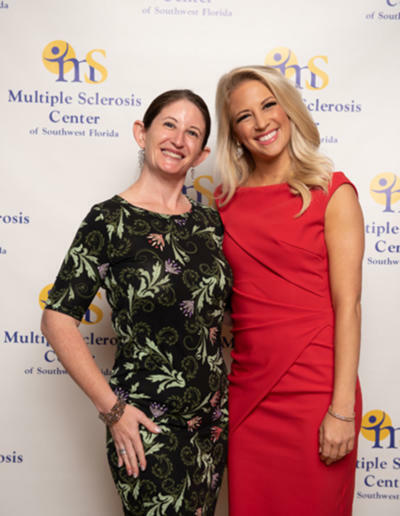 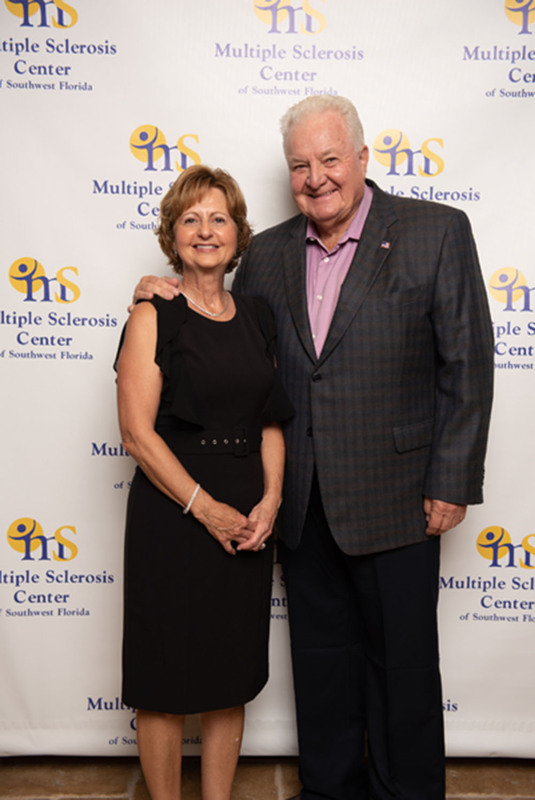 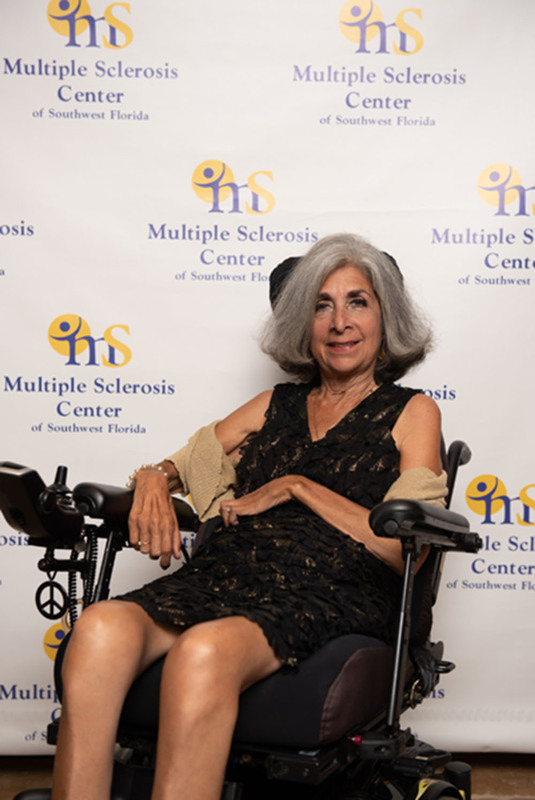 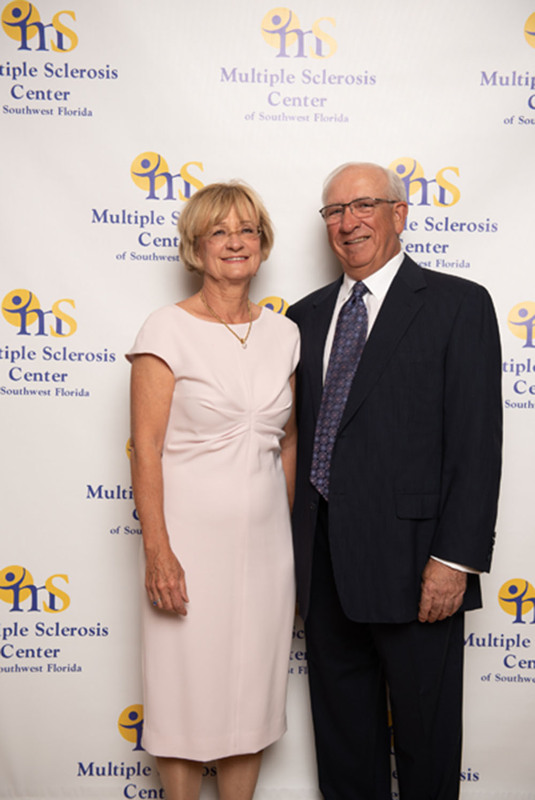 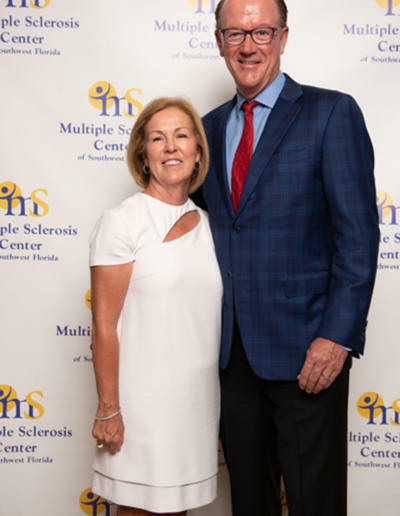 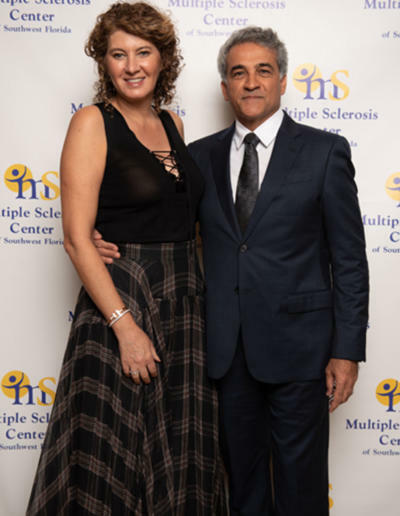 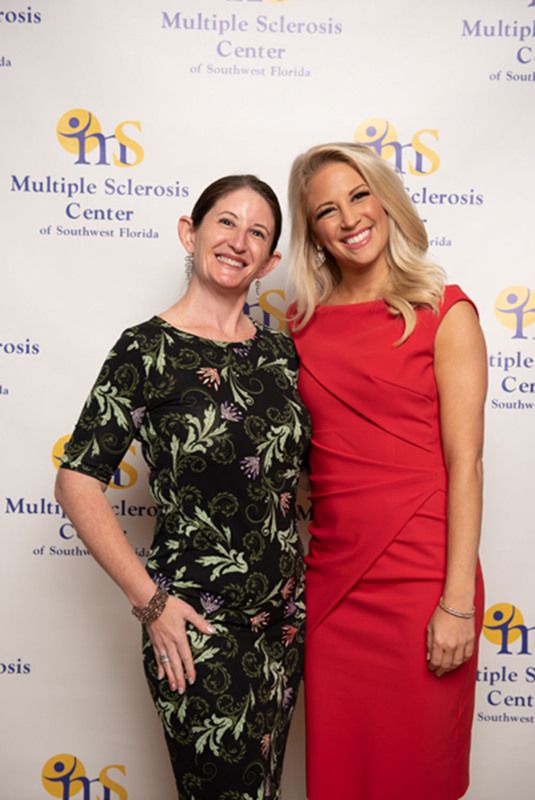 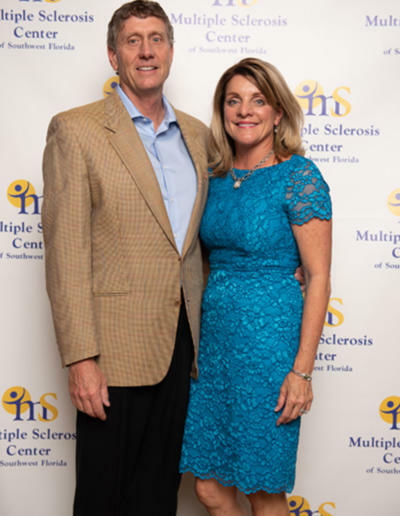 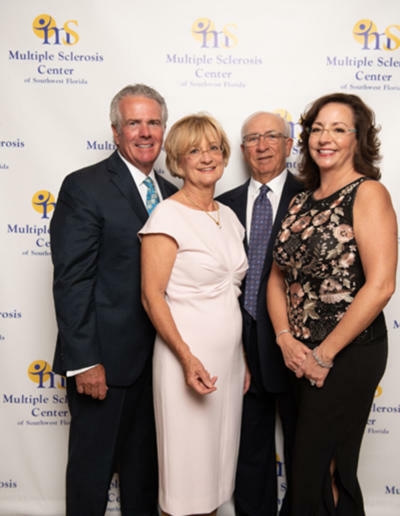 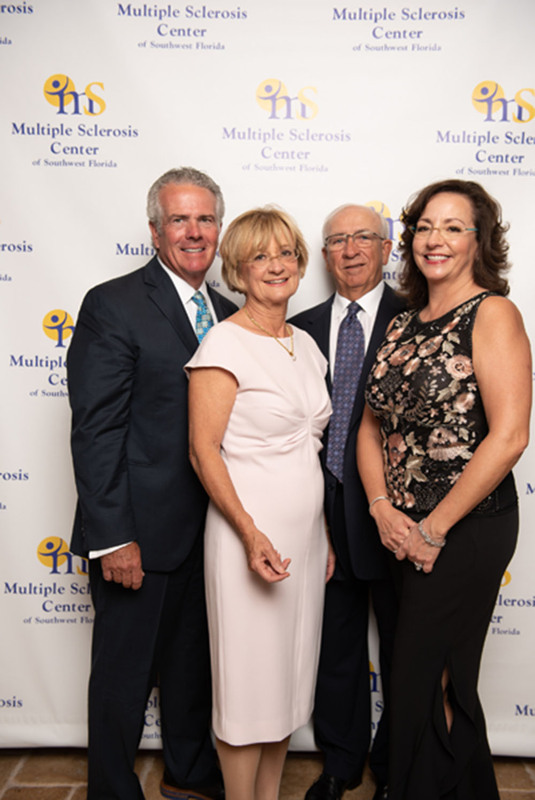 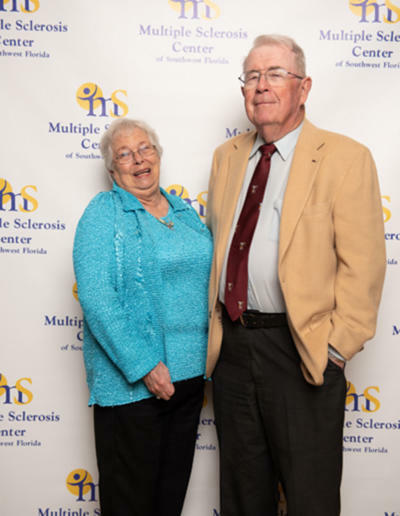 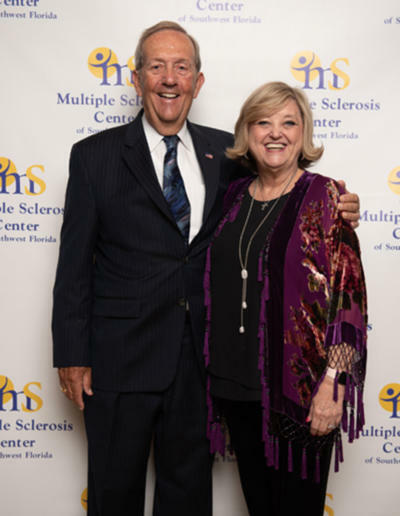 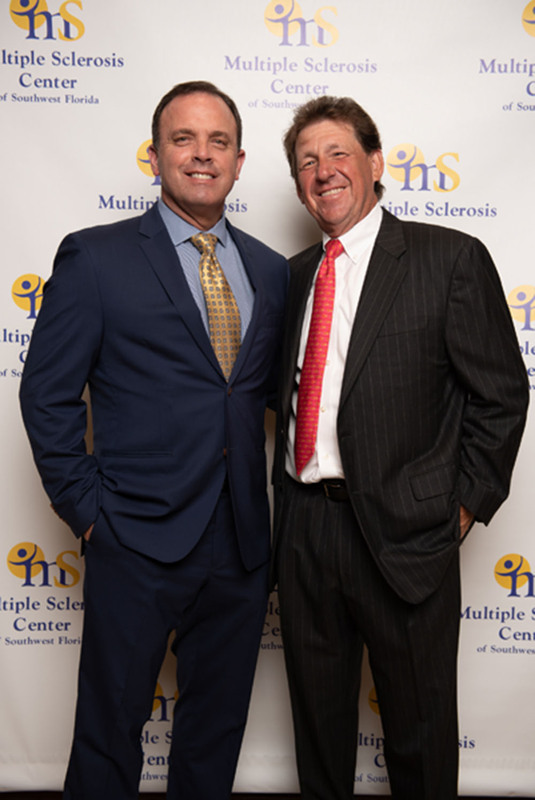 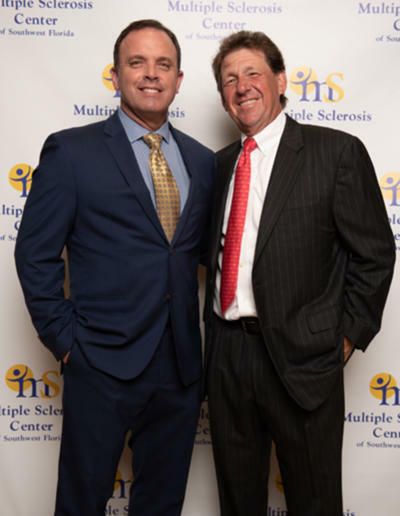 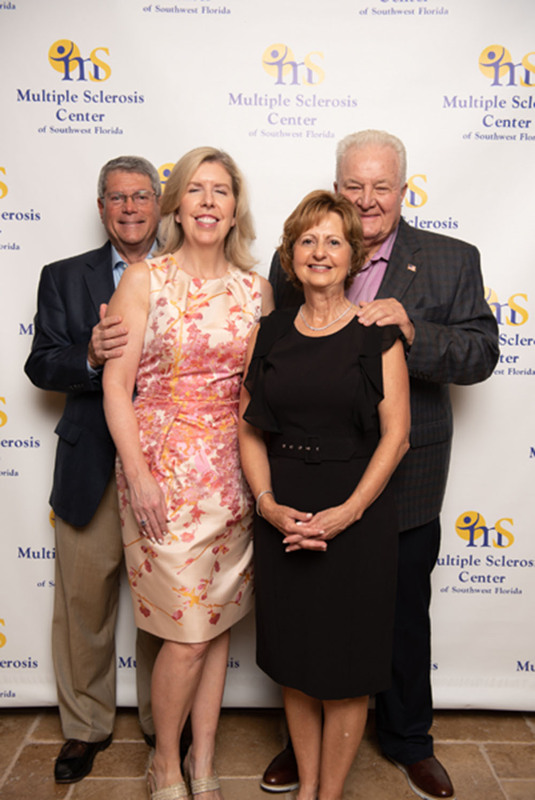 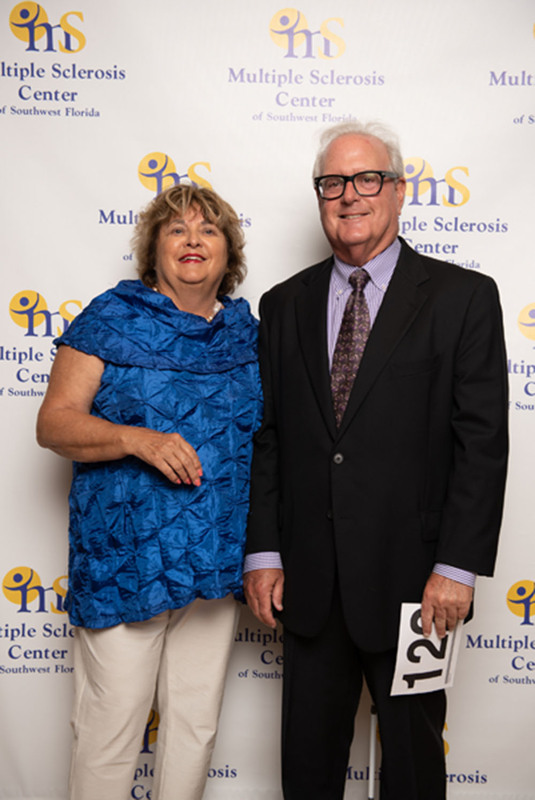 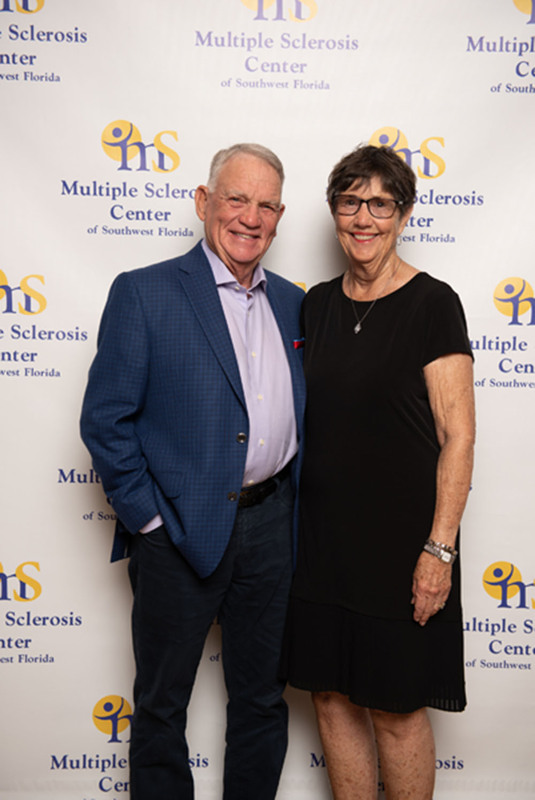 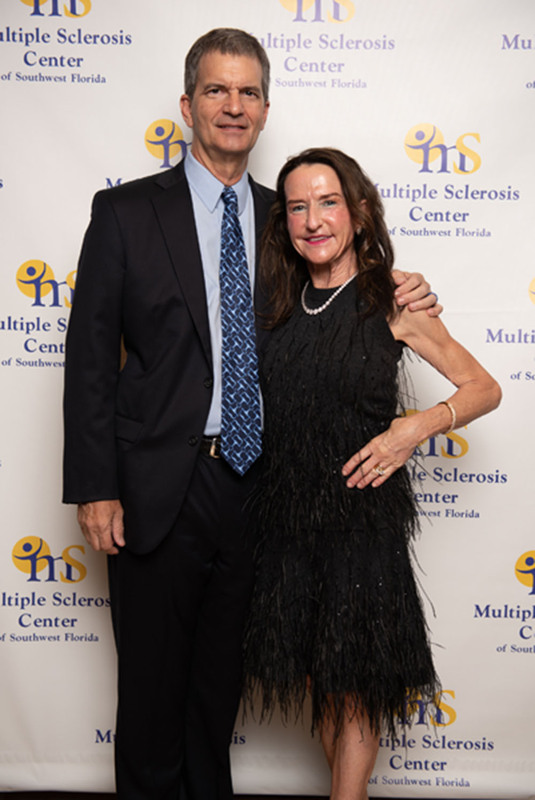 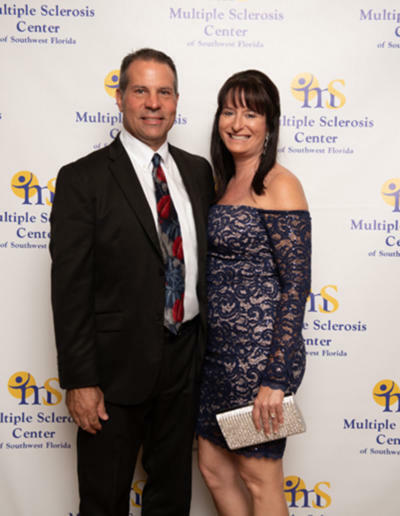 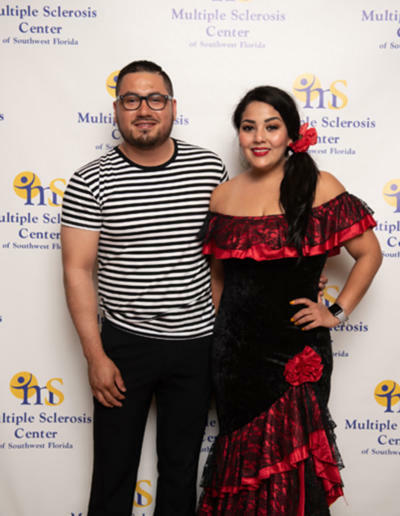 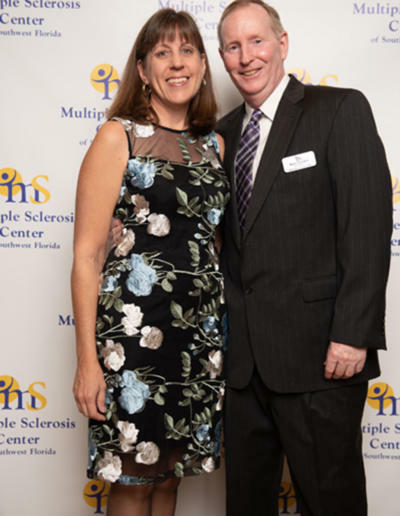 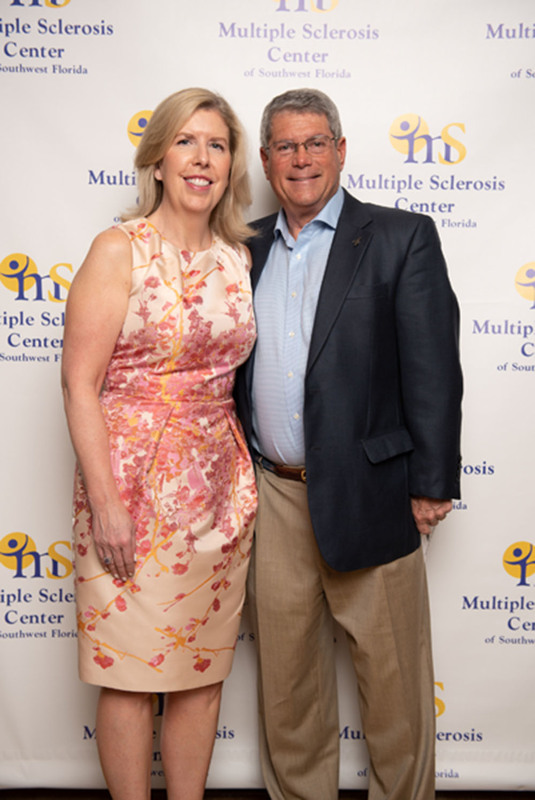 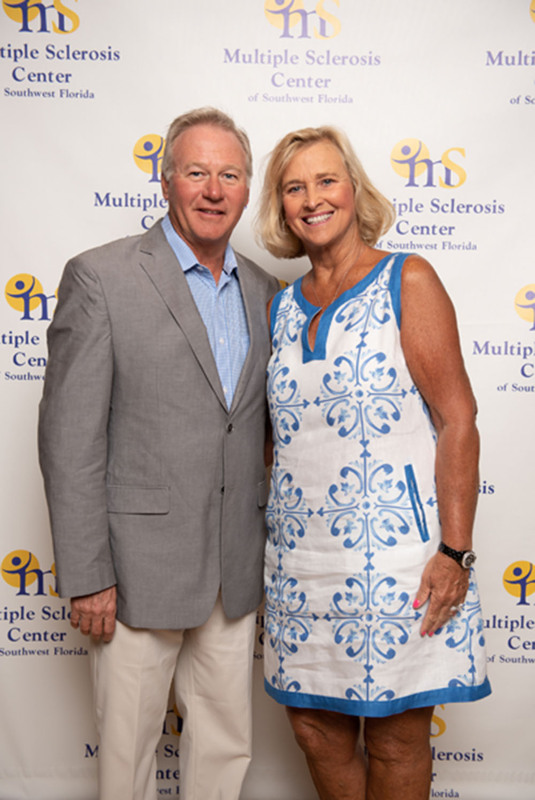 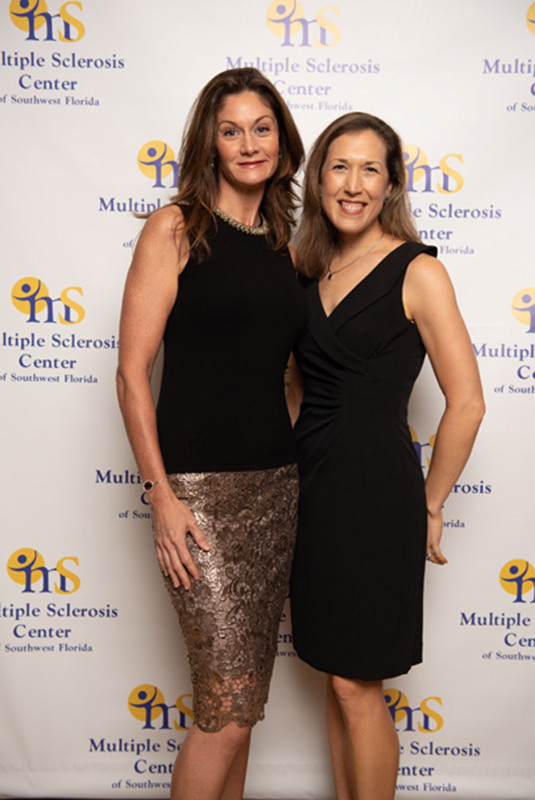 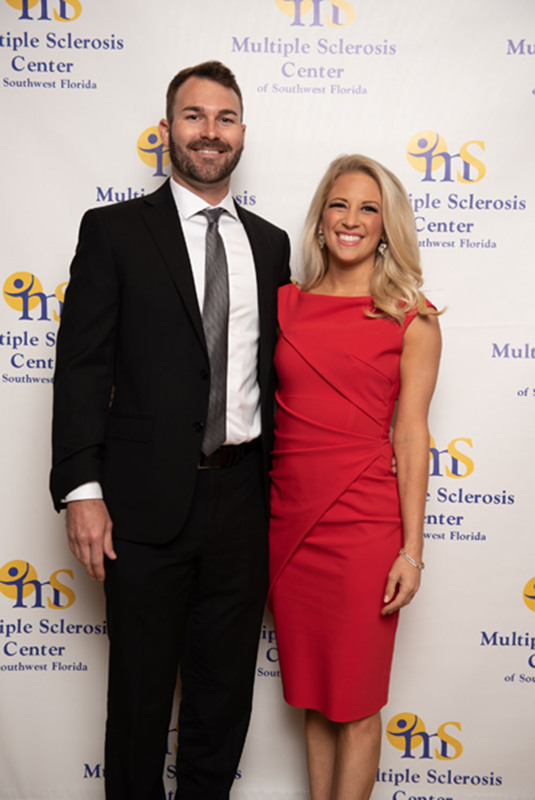 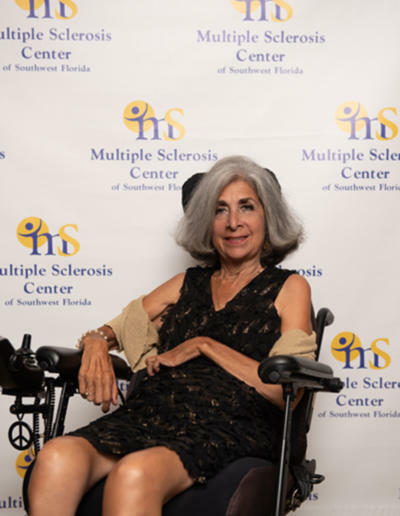 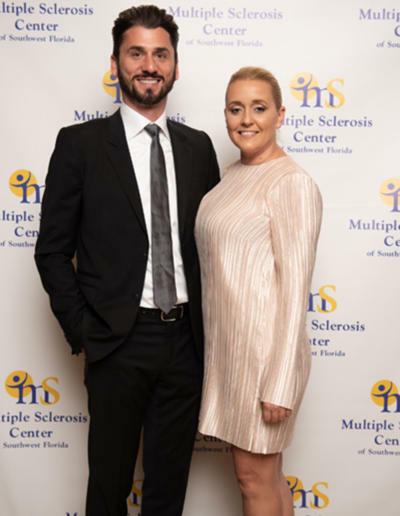 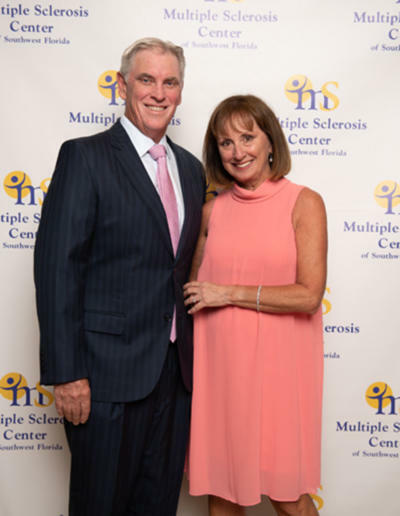 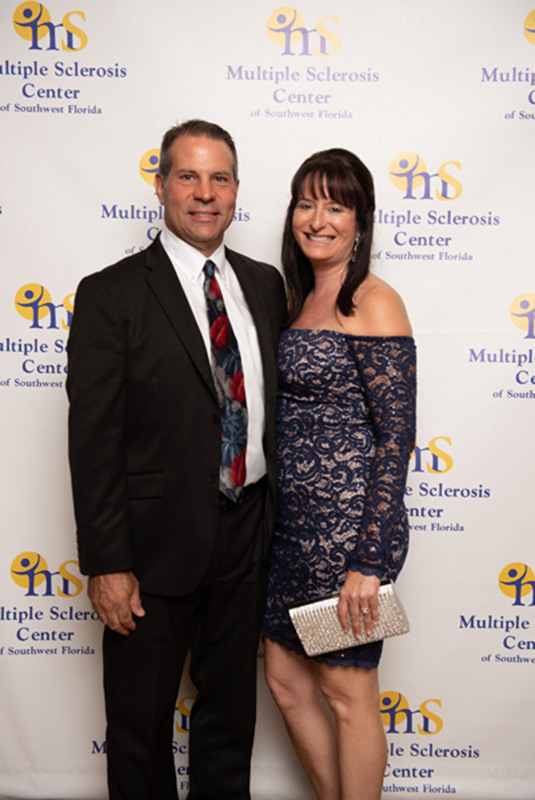 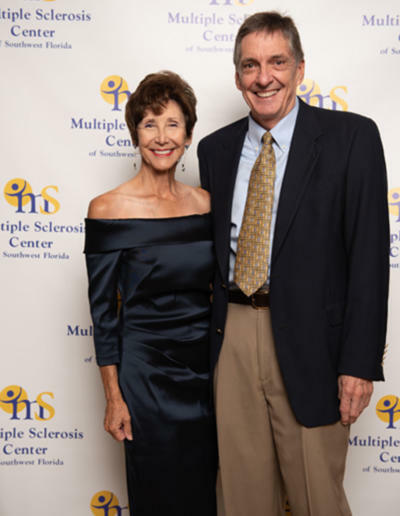 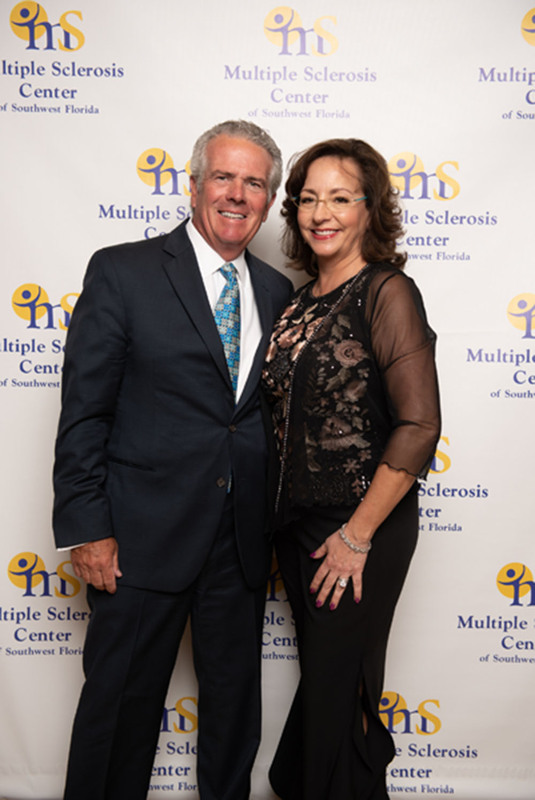 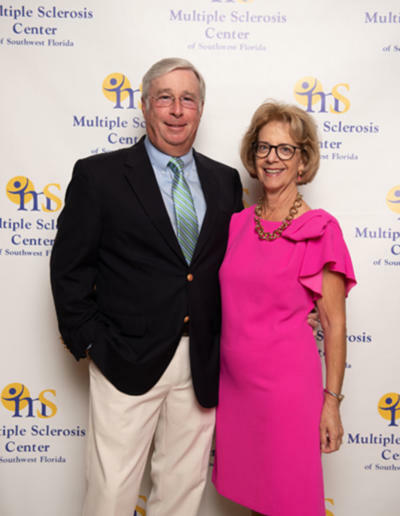 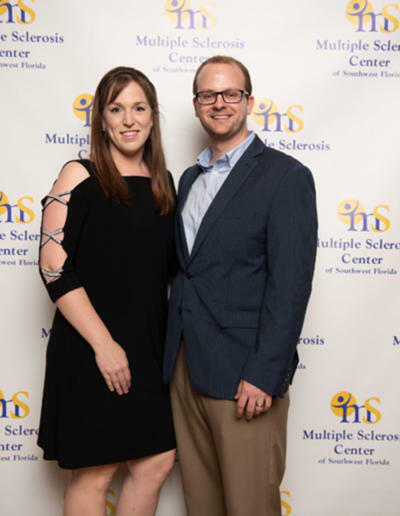 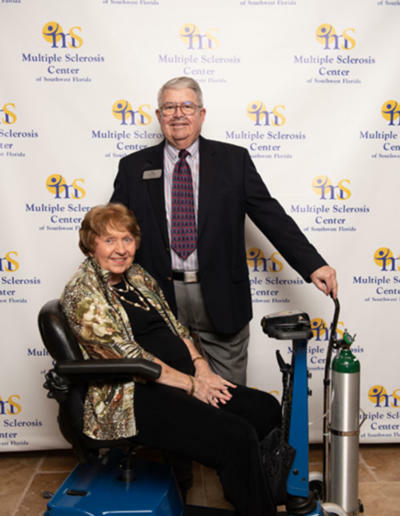 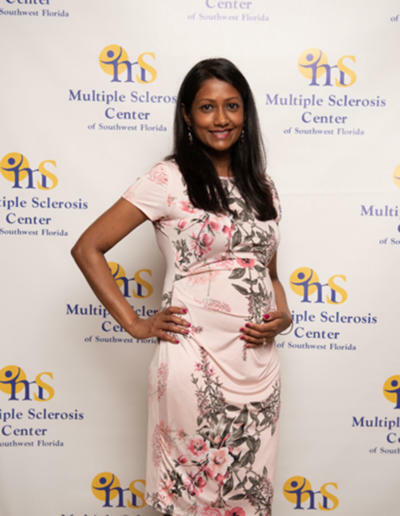 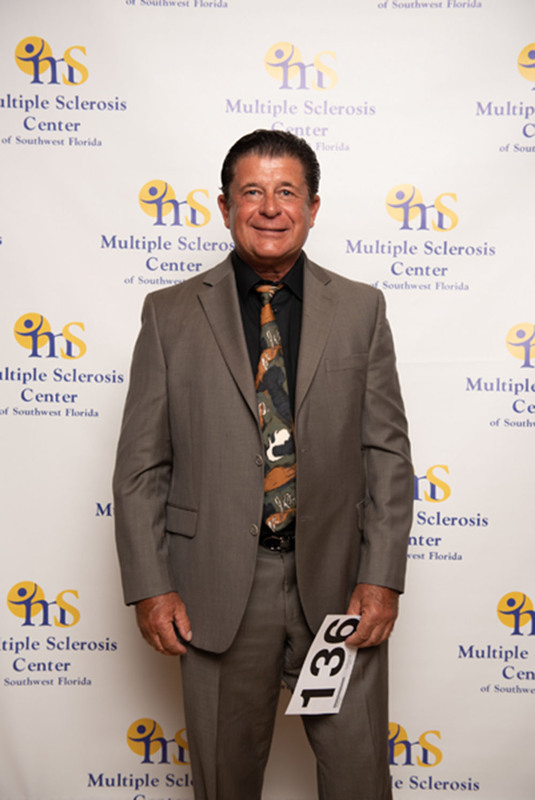 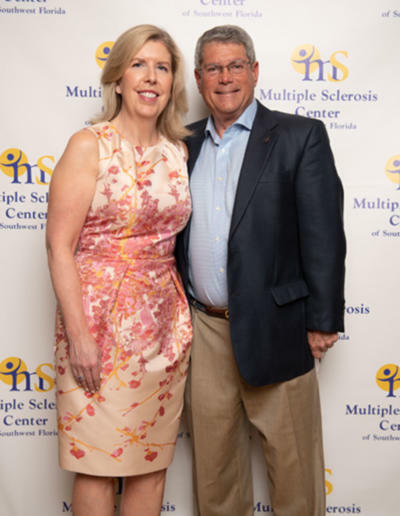 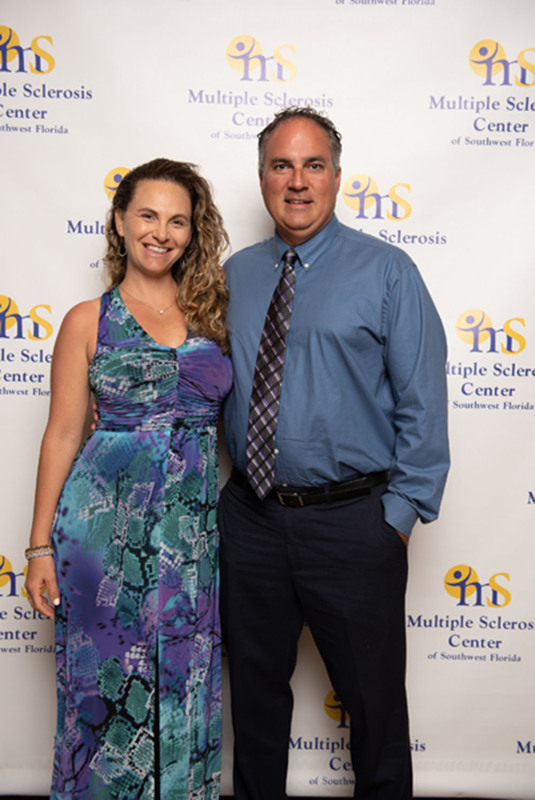 The Multiple Sclerosis Center of Southwest Florida’s (MS Center) mission is to improve the quality of life for people affected by multiple sclerosis. 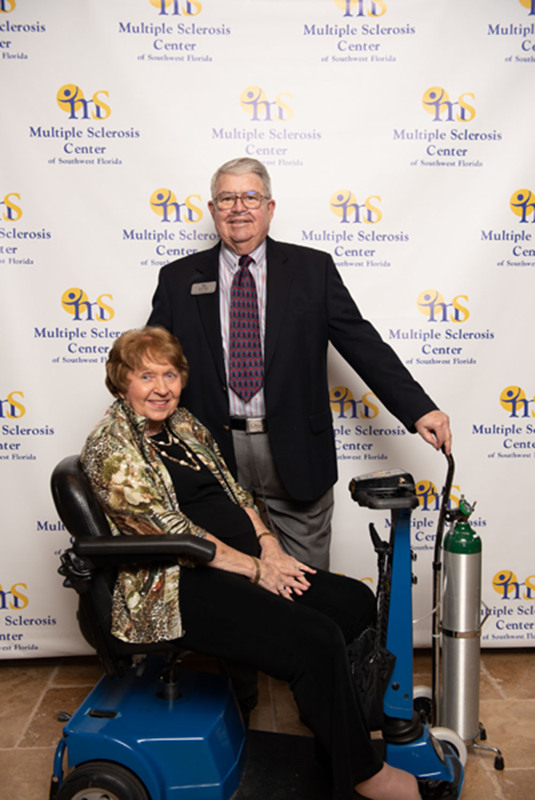 The MS Center provides a comprehensive wellness program designed to help manage pain, improve mobility, and decrease isolation. 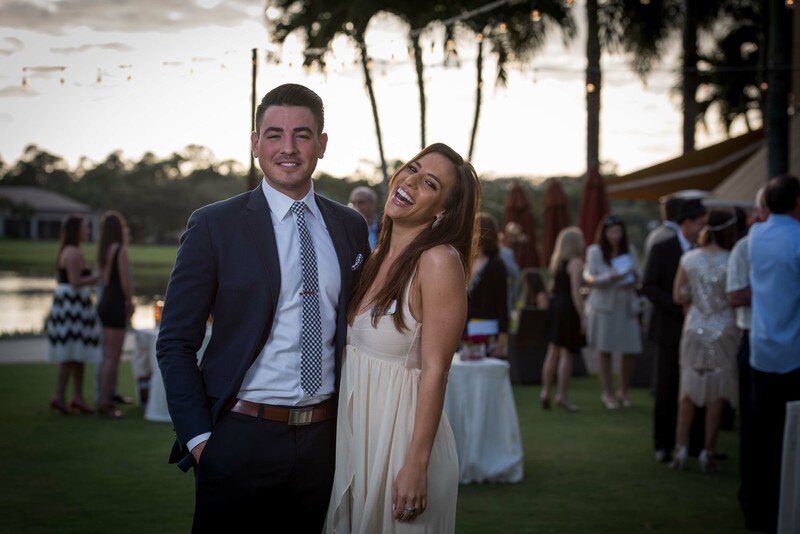 Click here to view the gallery, and use the password blues.